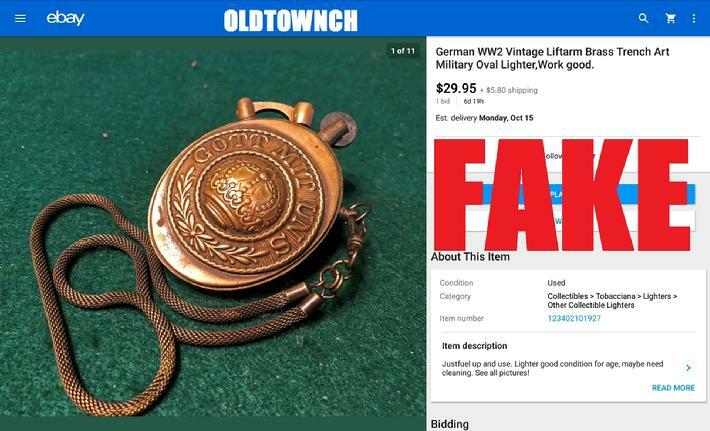 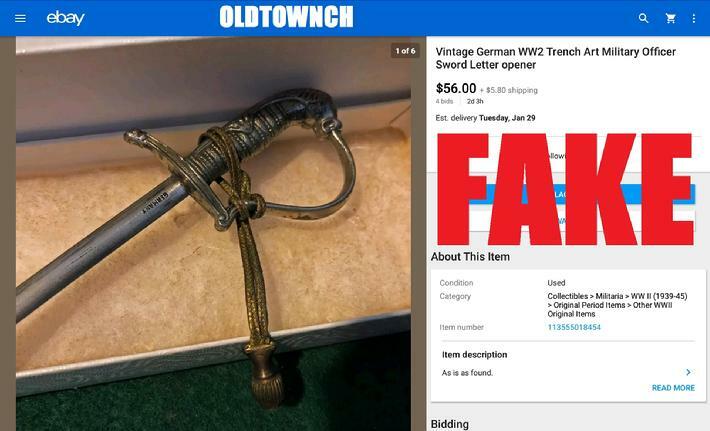 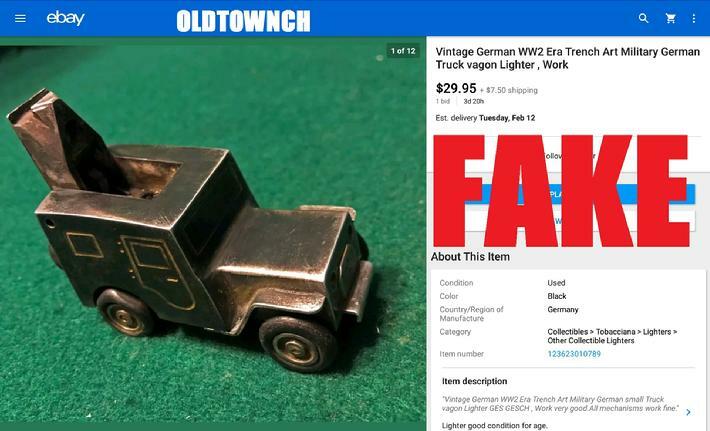 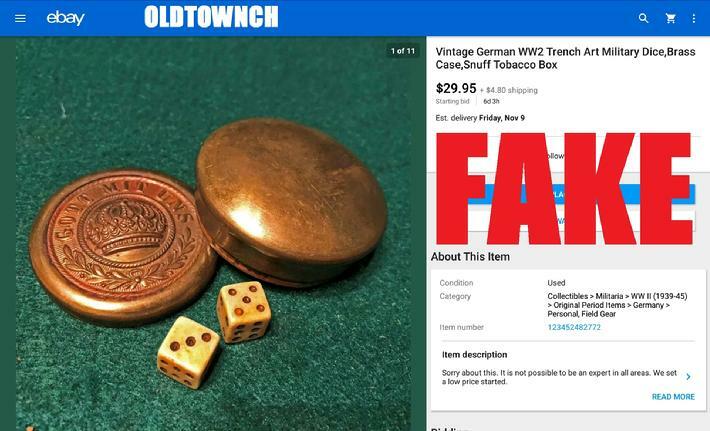 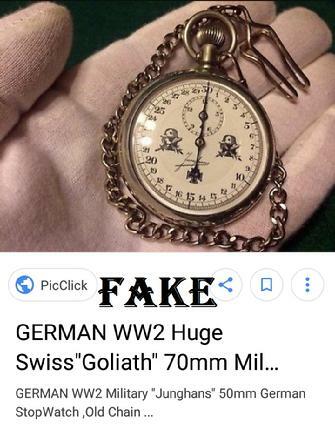 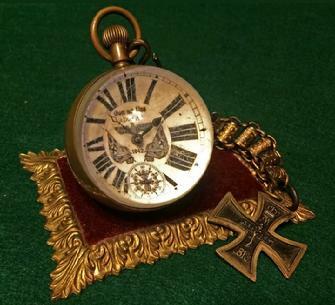 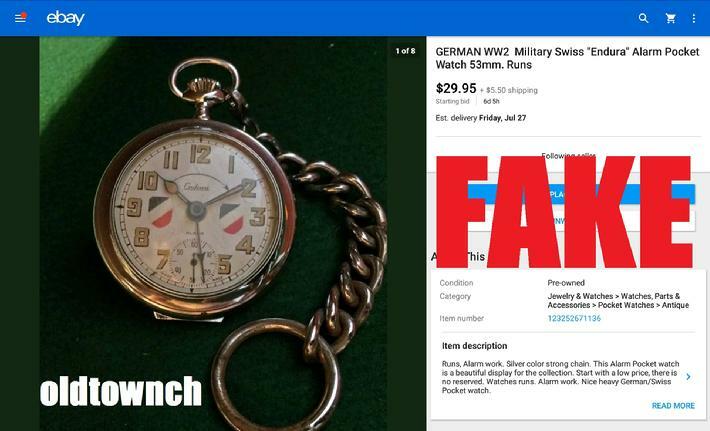 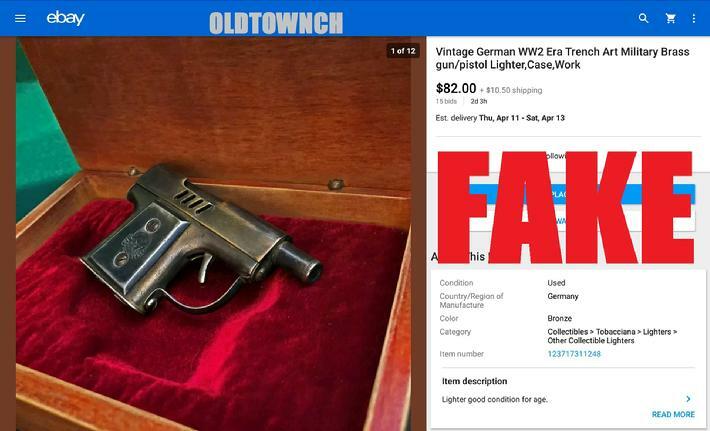 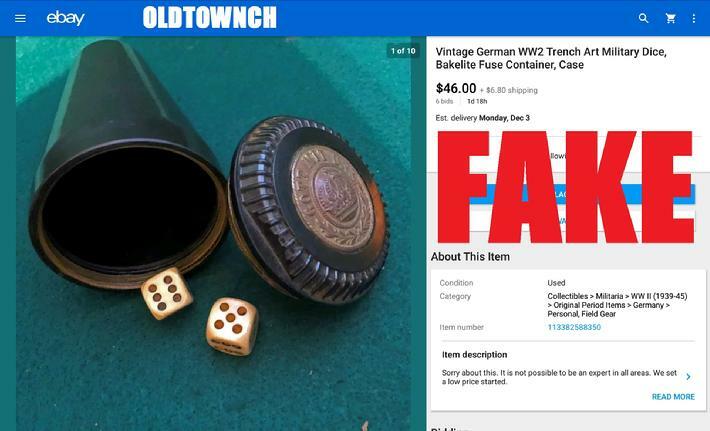 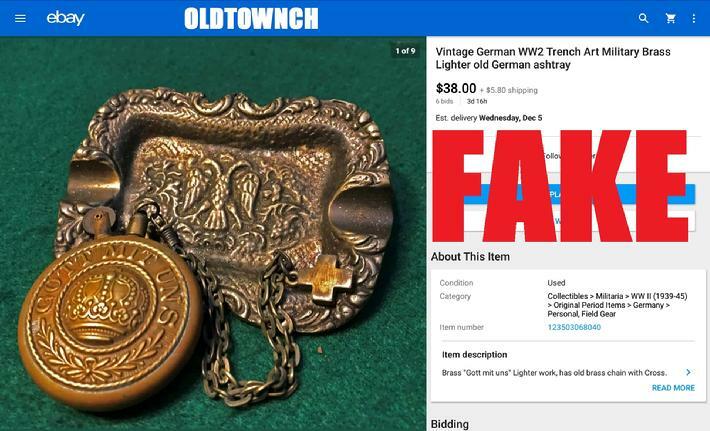 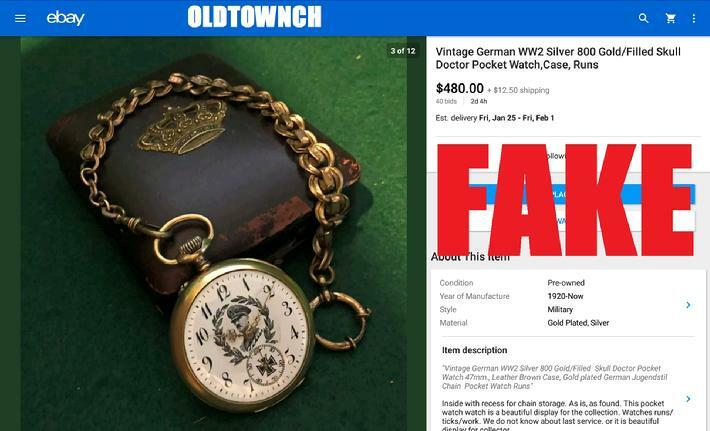 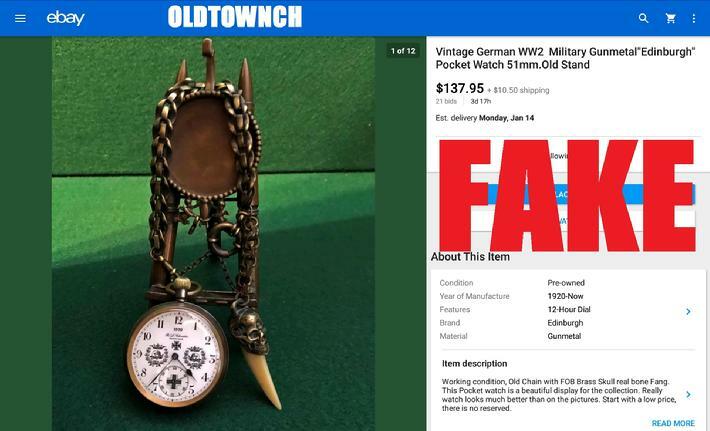 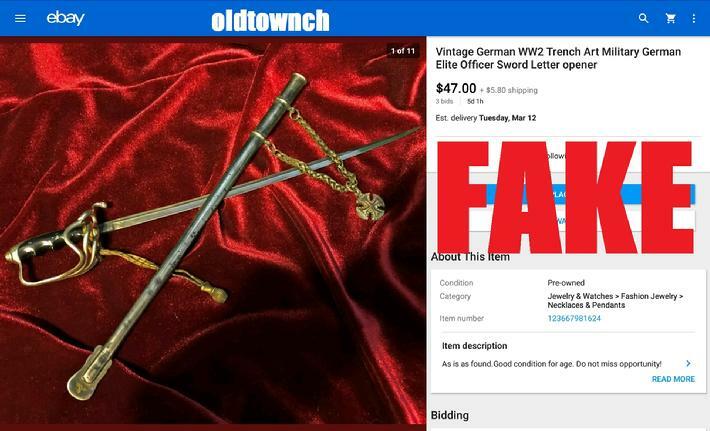 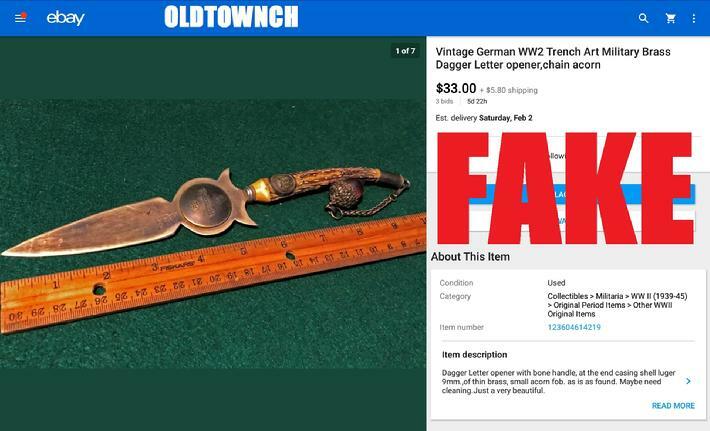 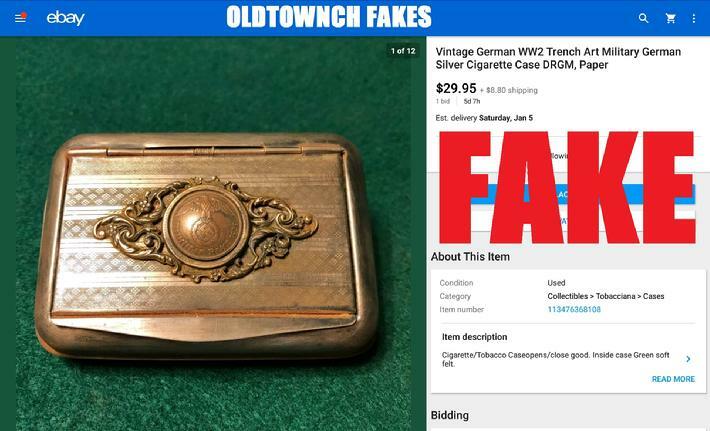 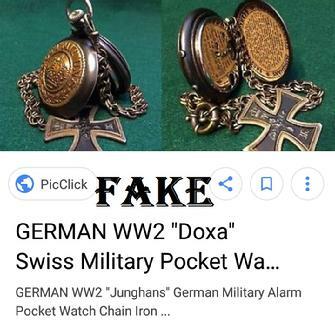 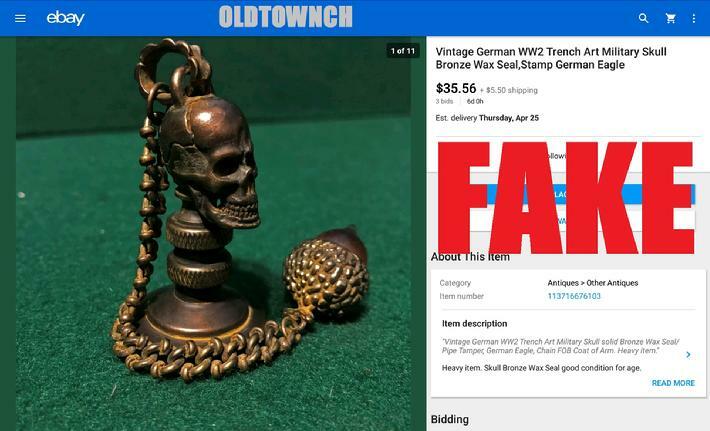 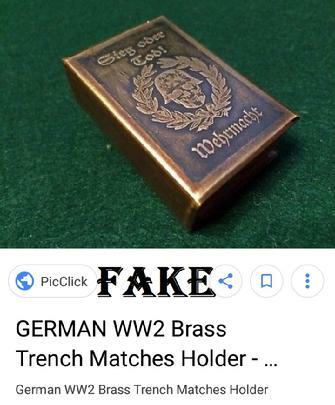 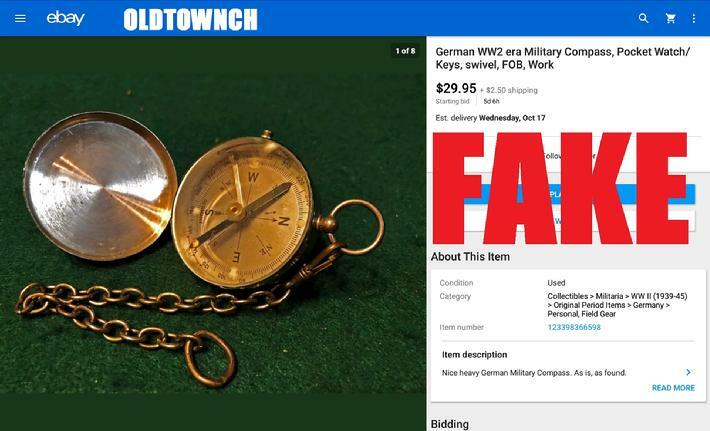 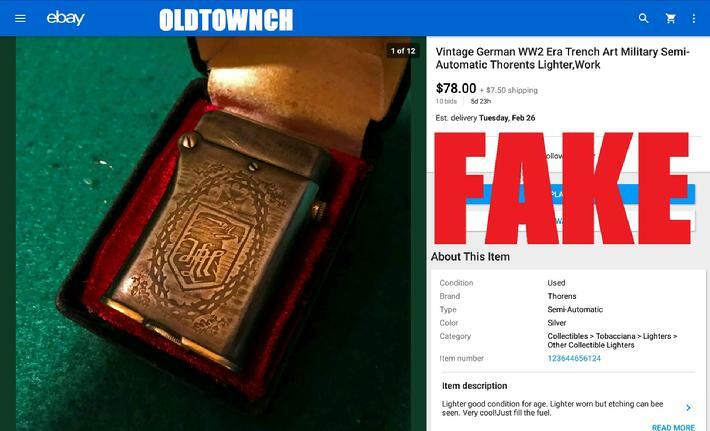 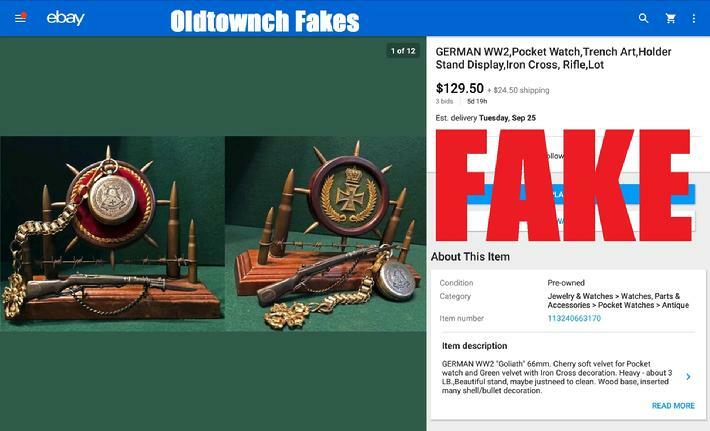 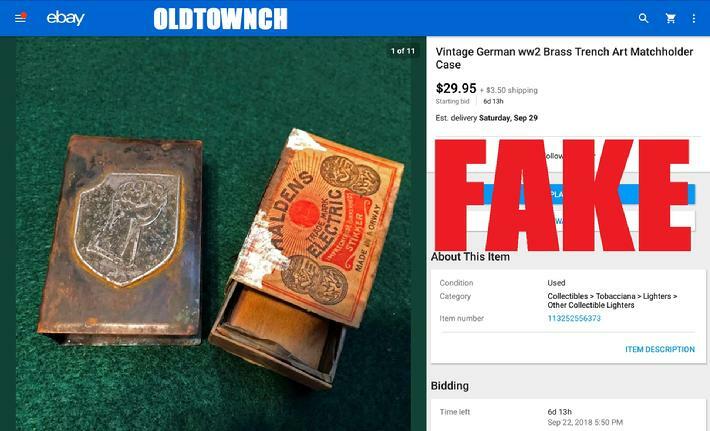 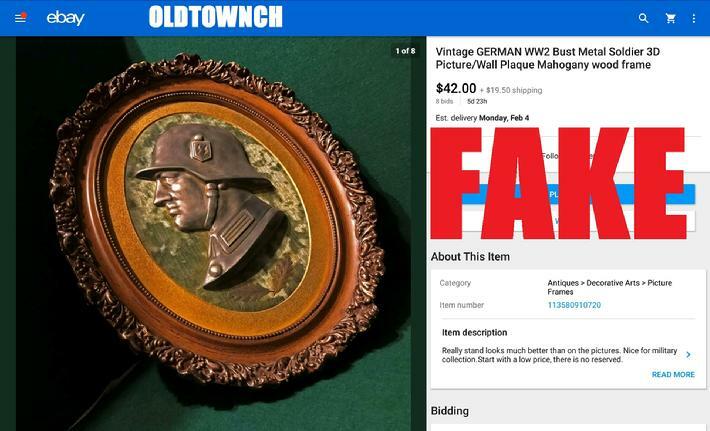 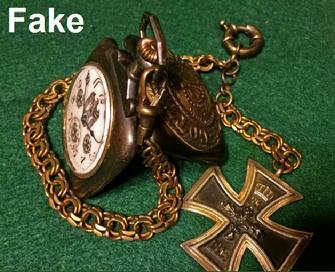 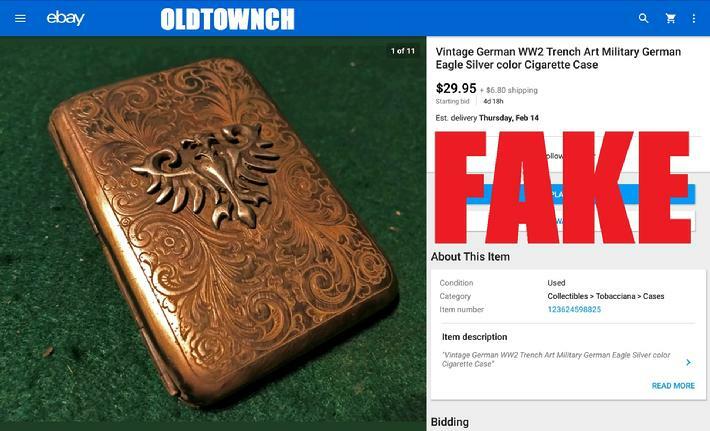 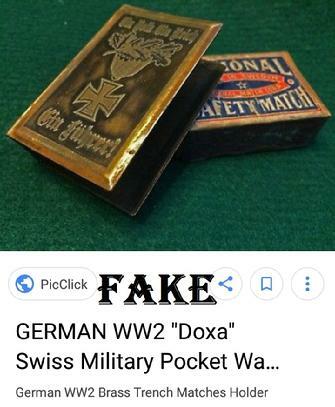 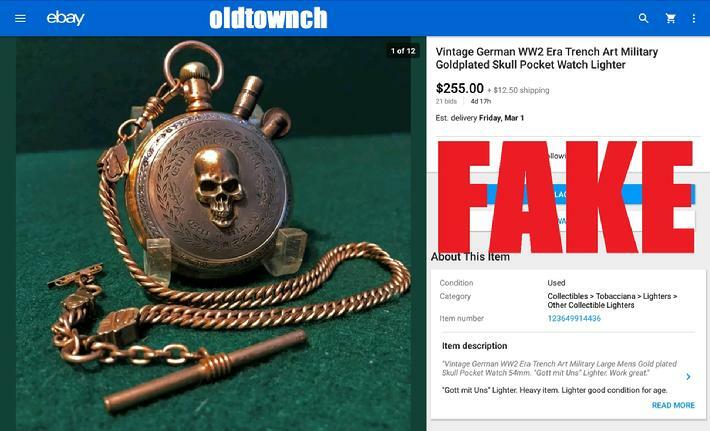 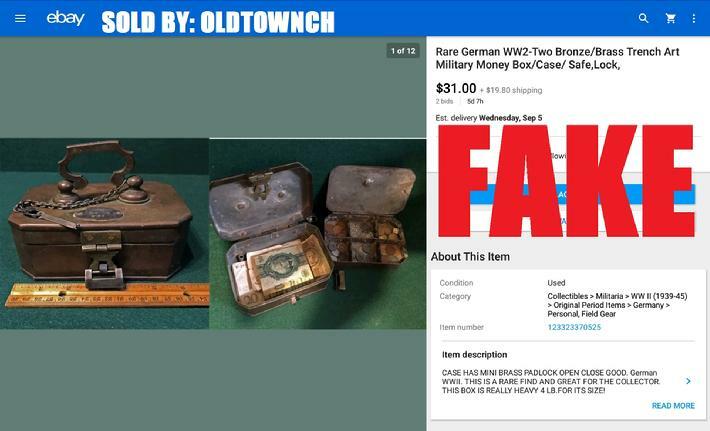 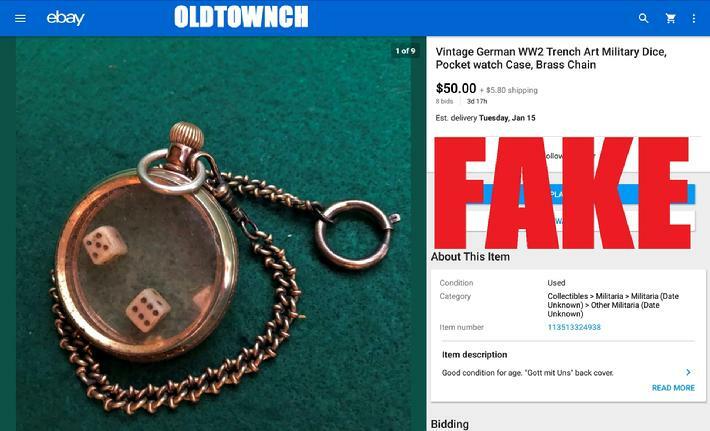 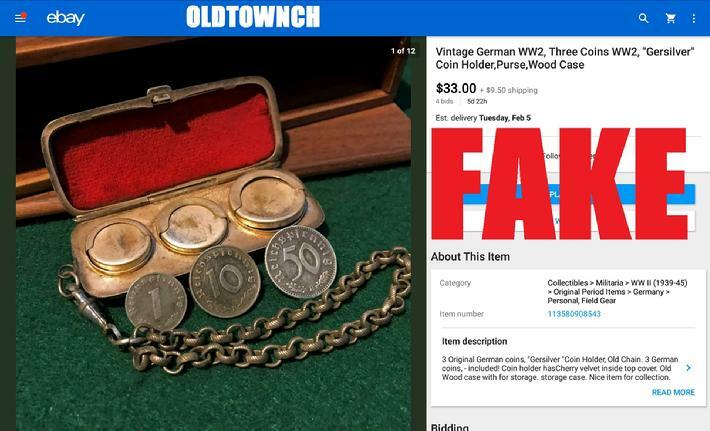 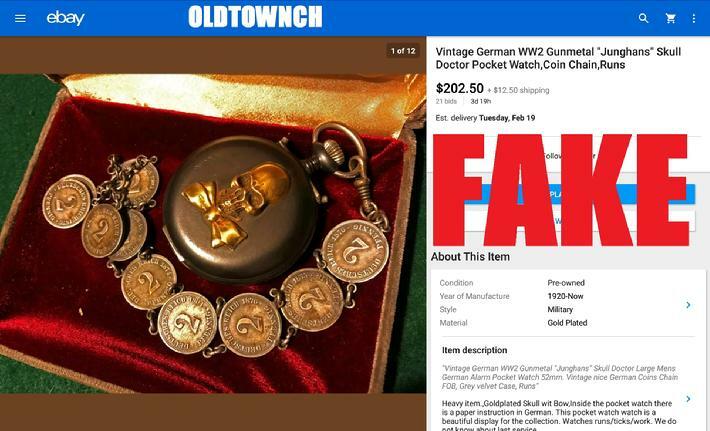 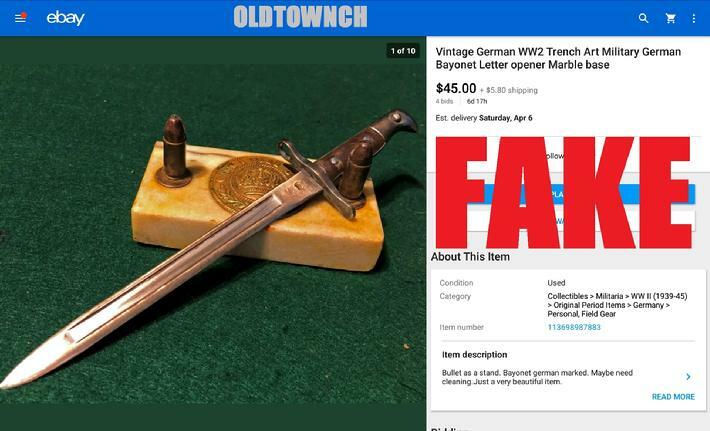 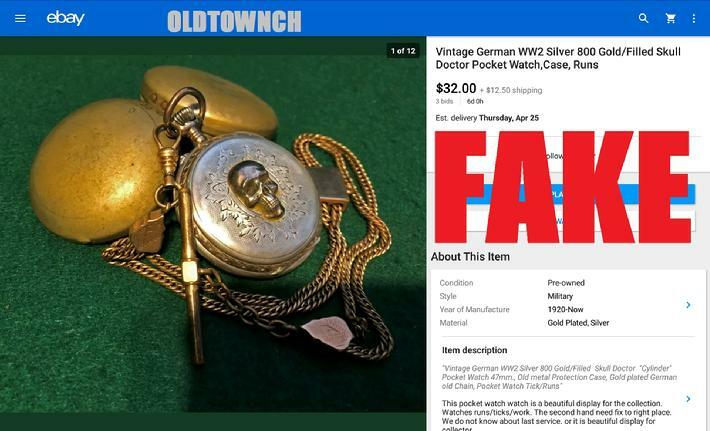 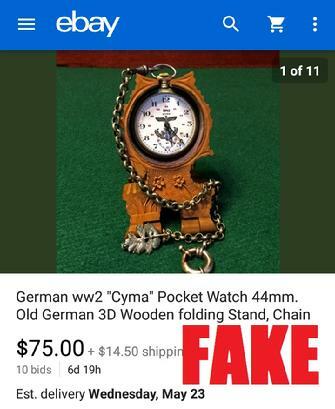 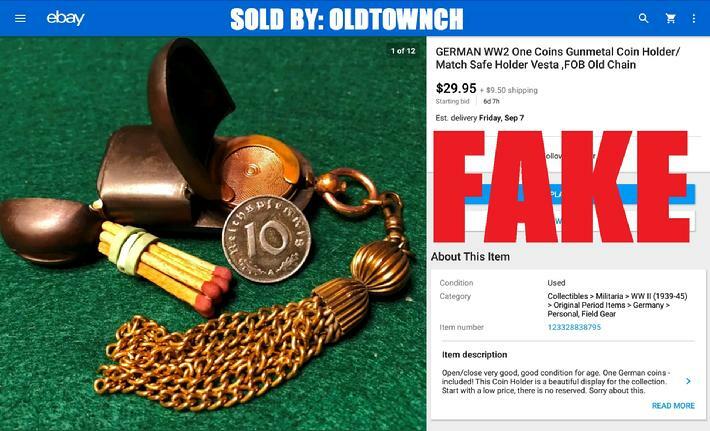 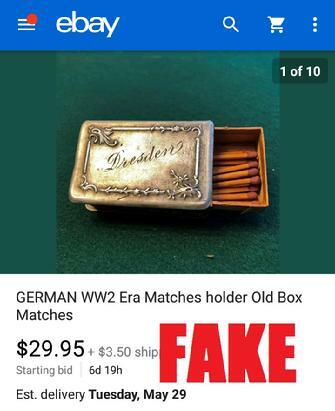 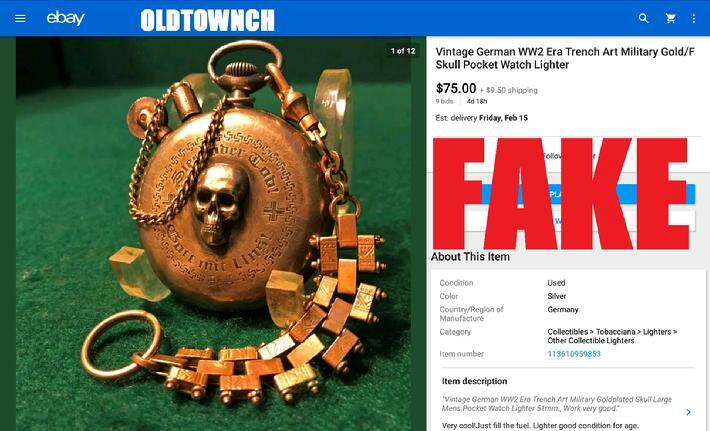 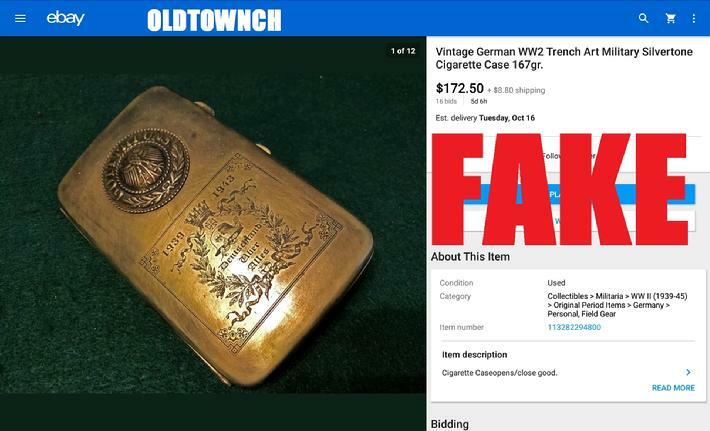 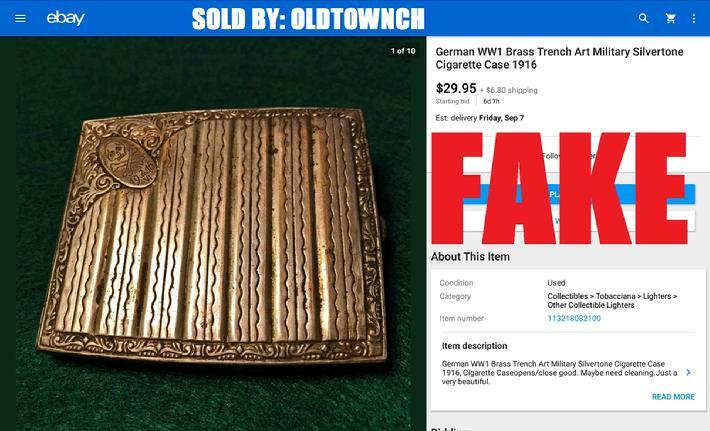 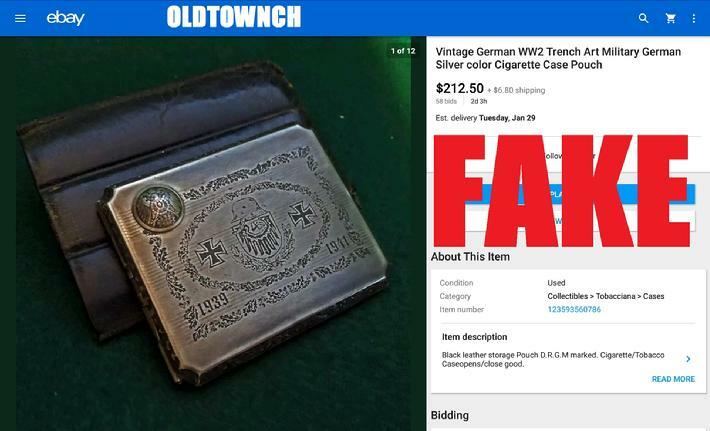 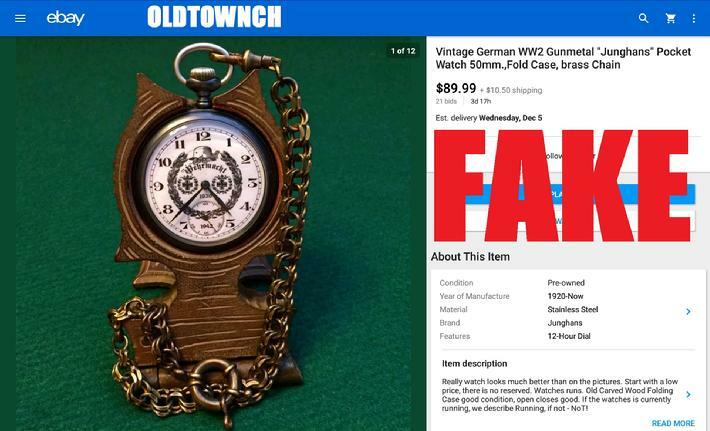 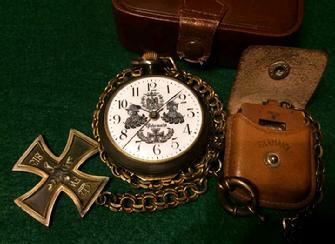 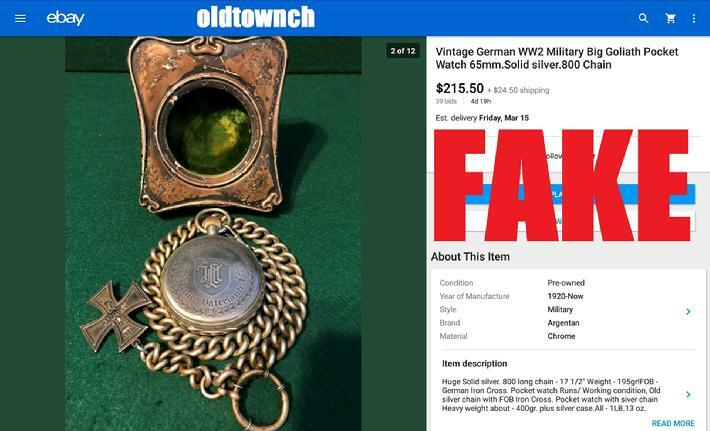 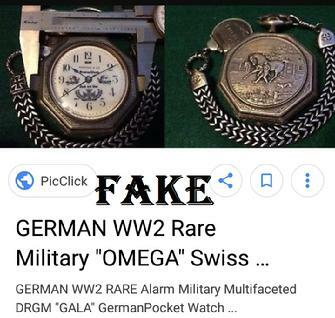 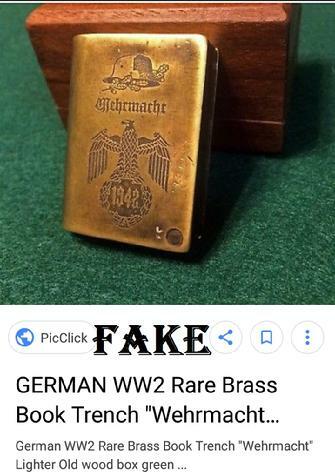 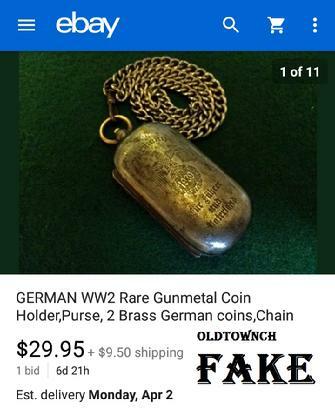 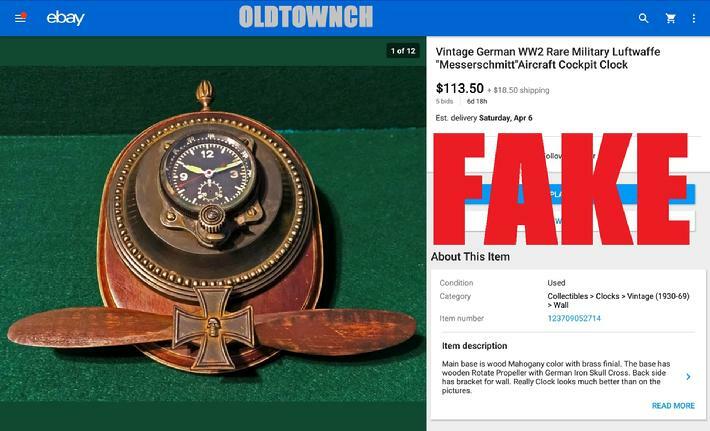 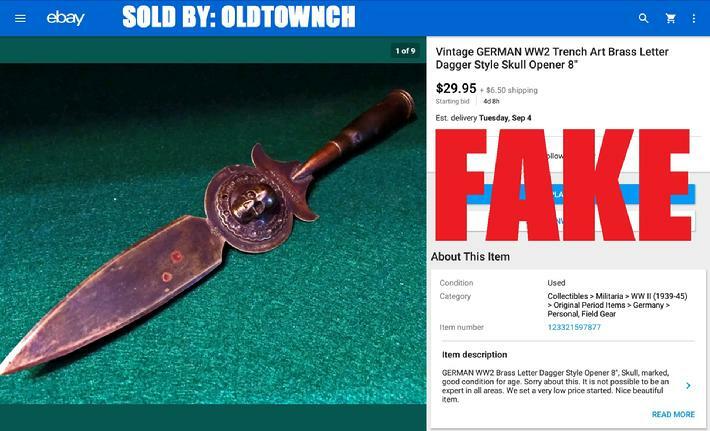 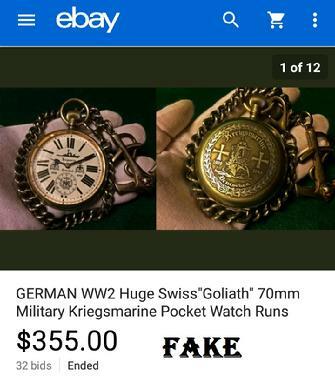 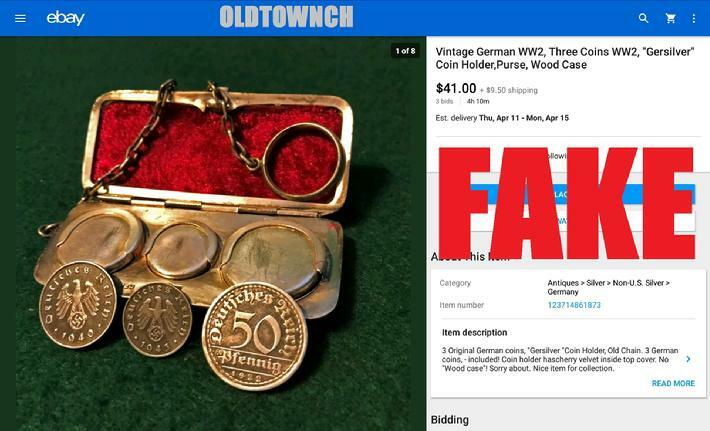 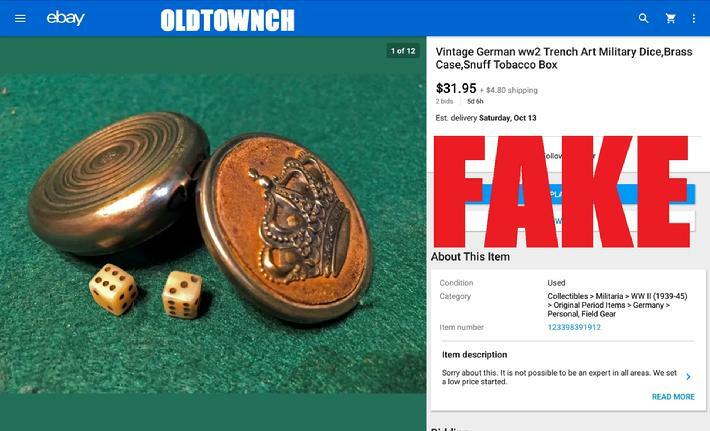 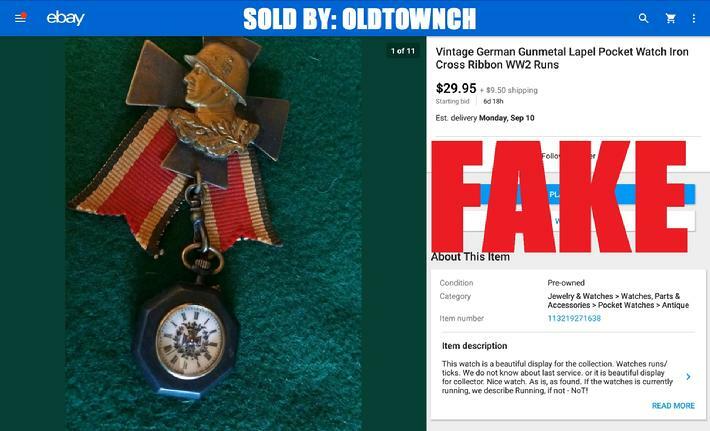 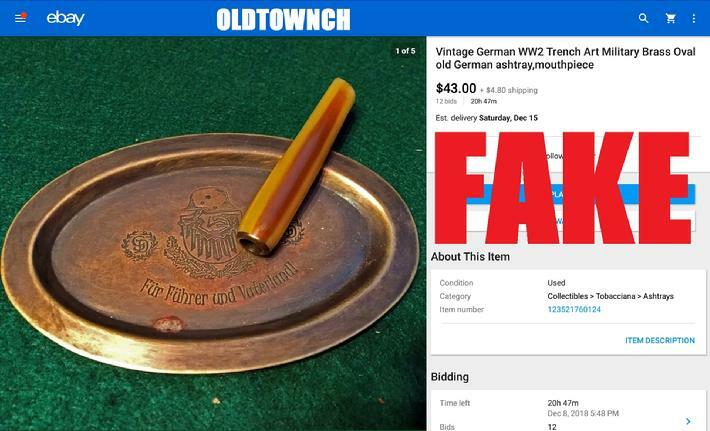 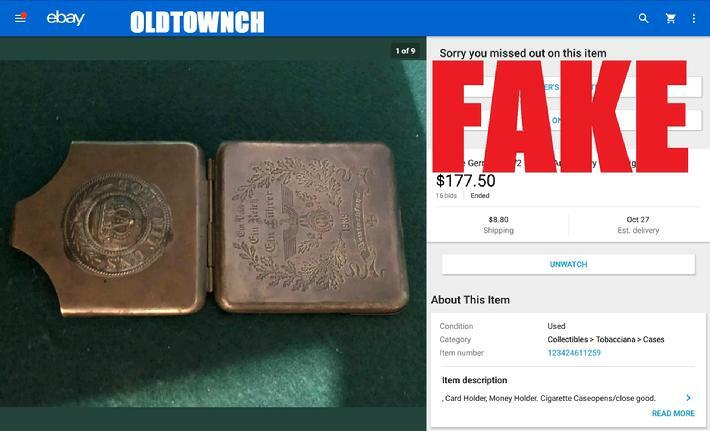 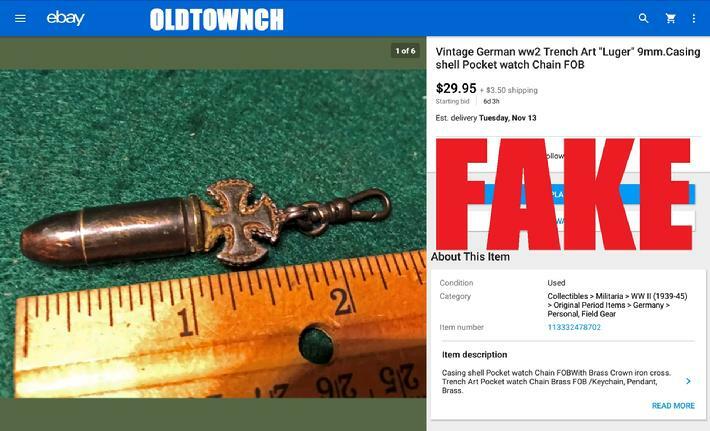 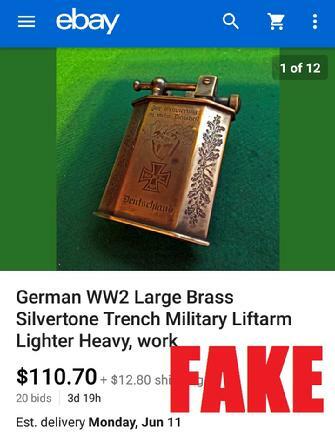 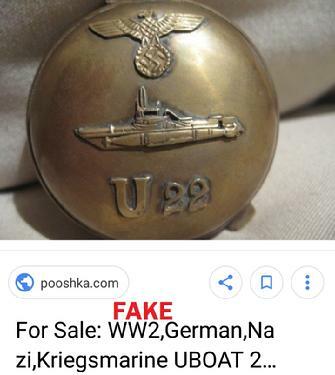 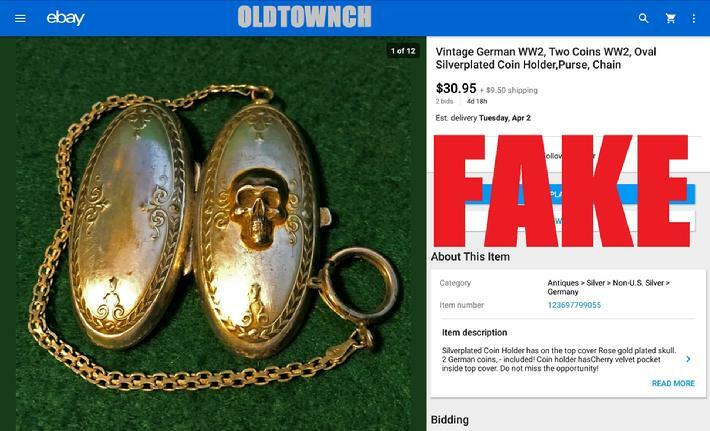 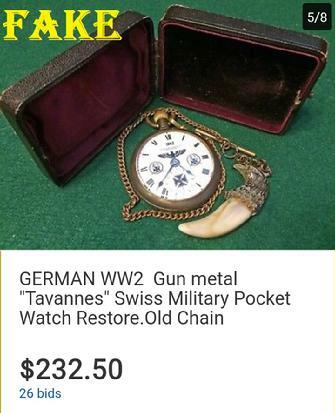 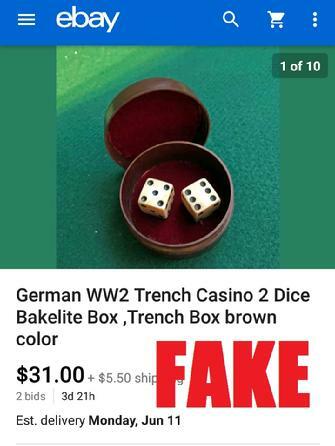 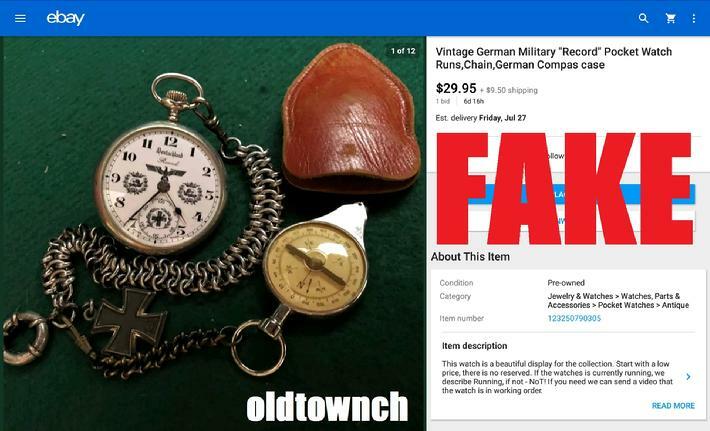 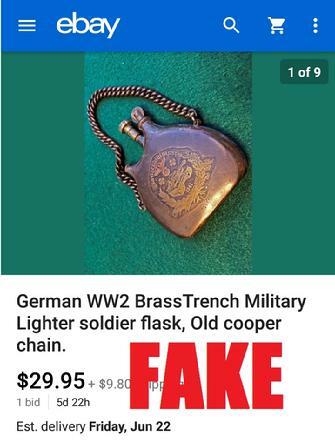 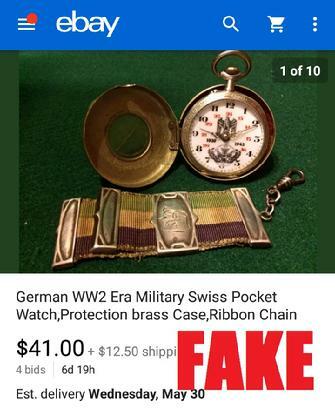 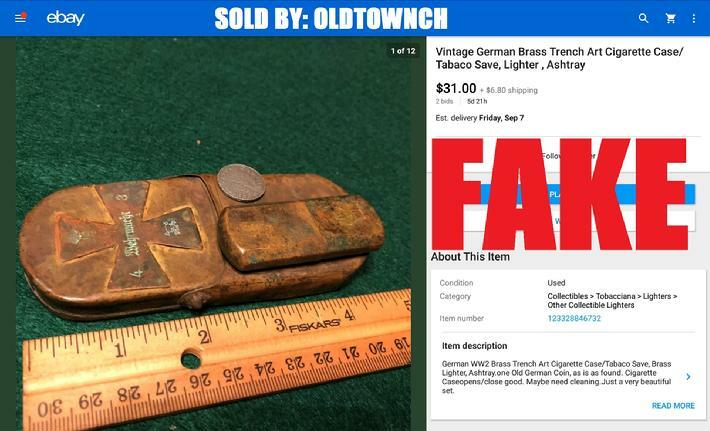 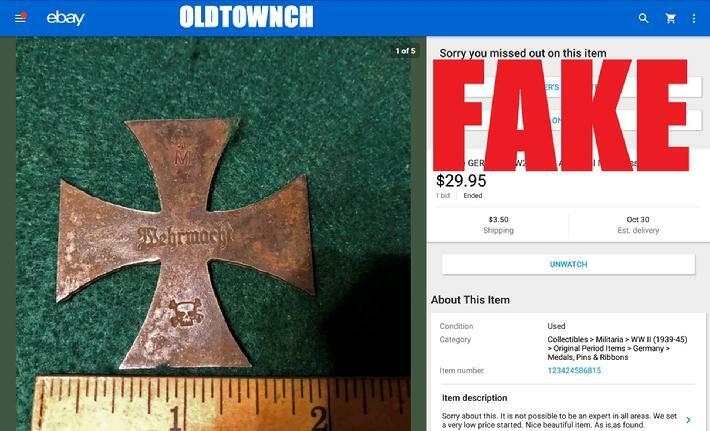 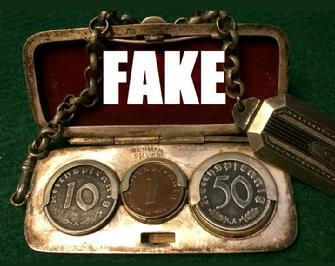 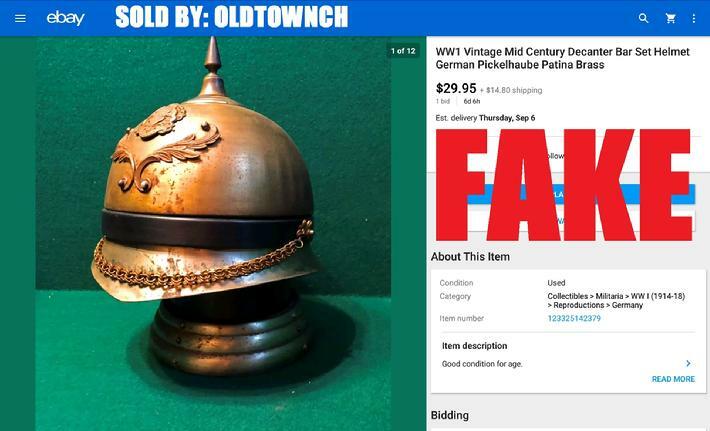 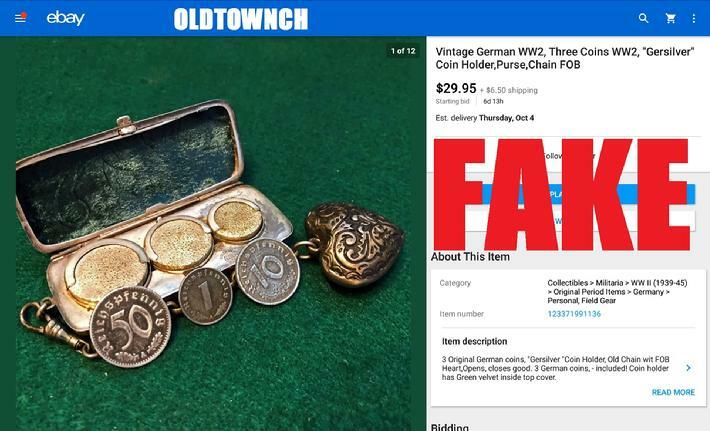 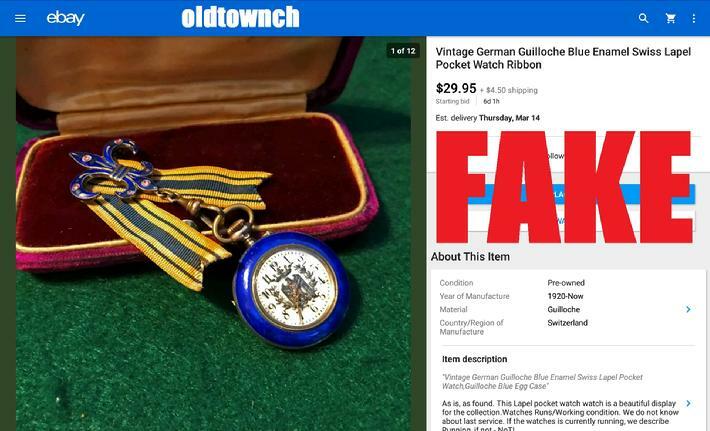 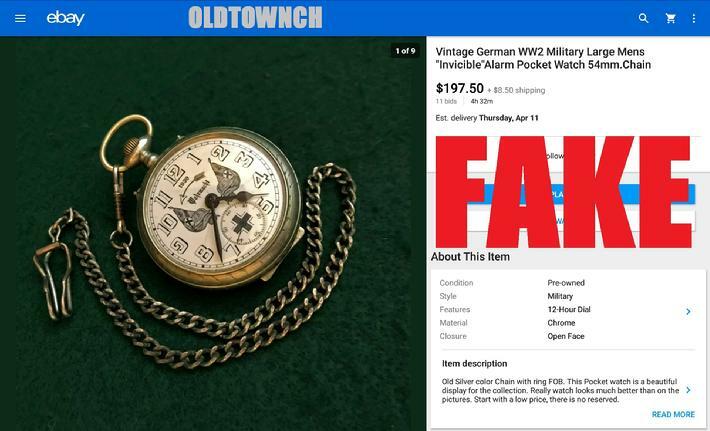 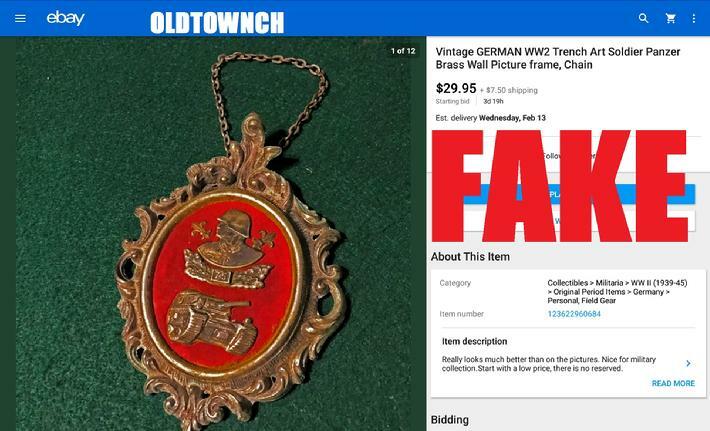 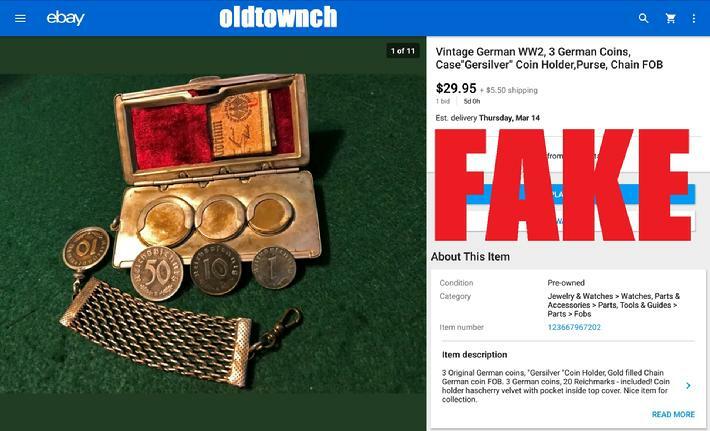 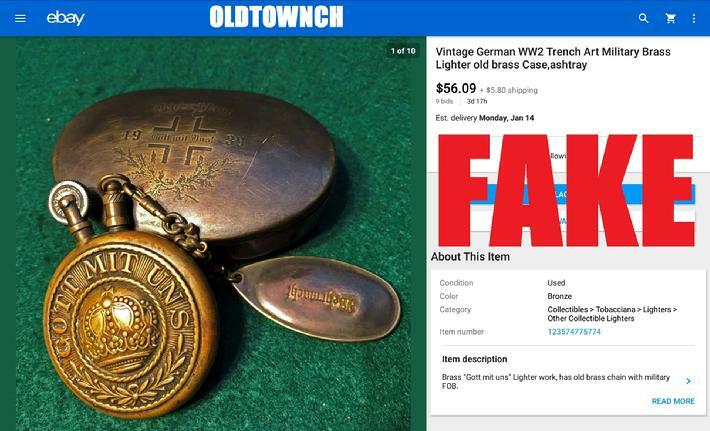 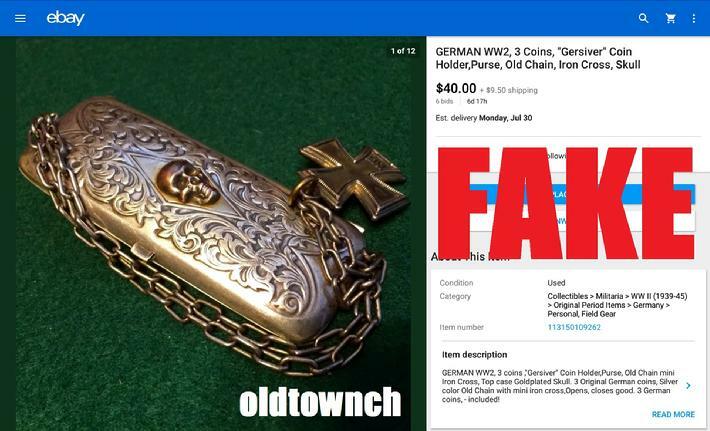 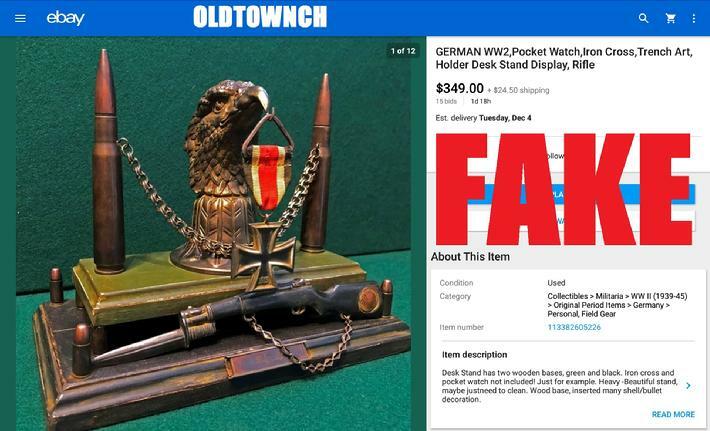 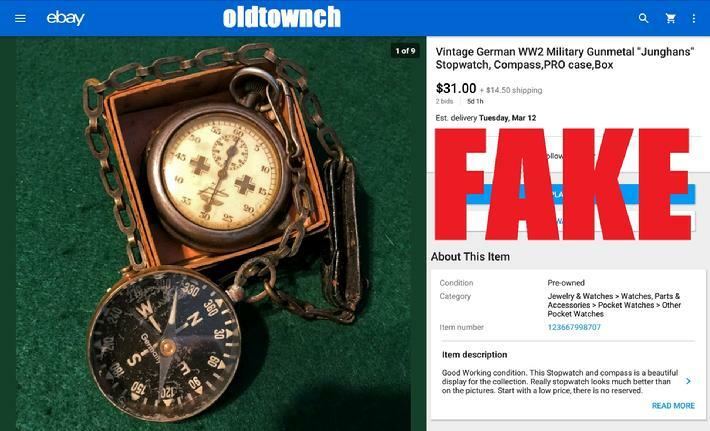 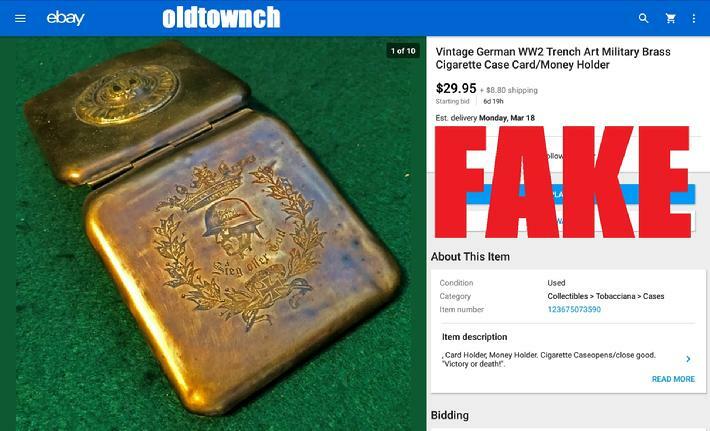 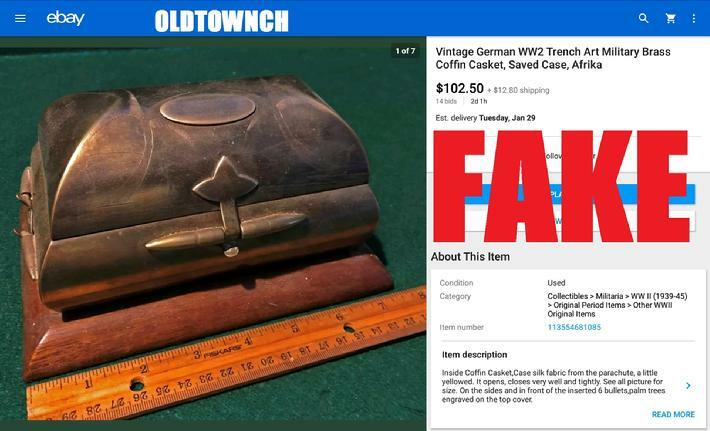 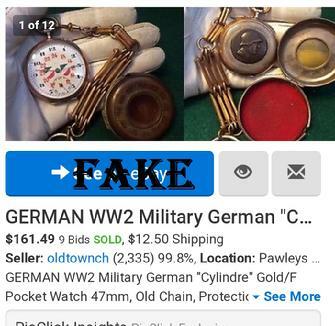 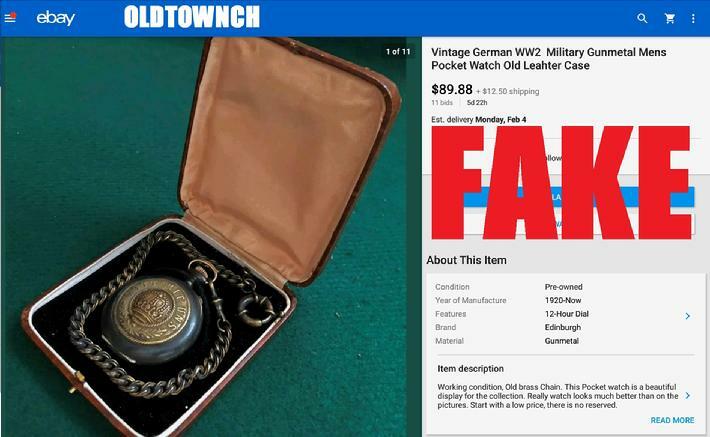 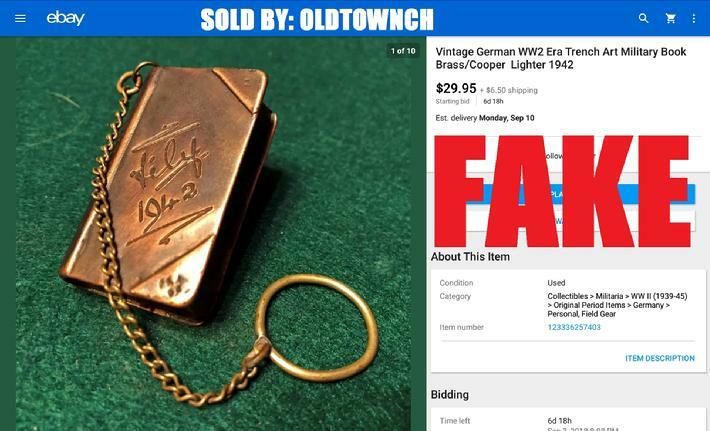 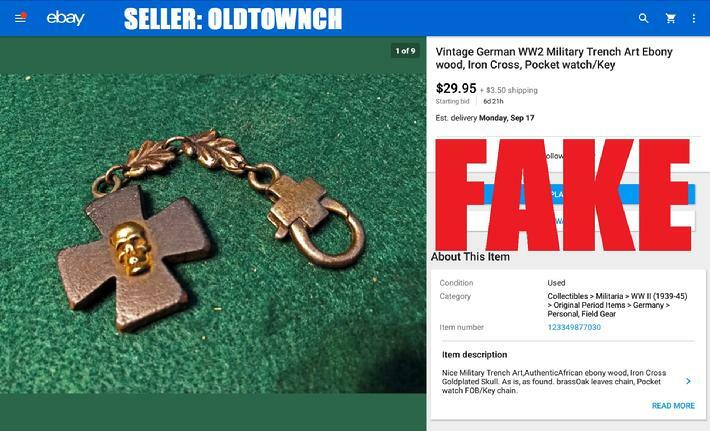 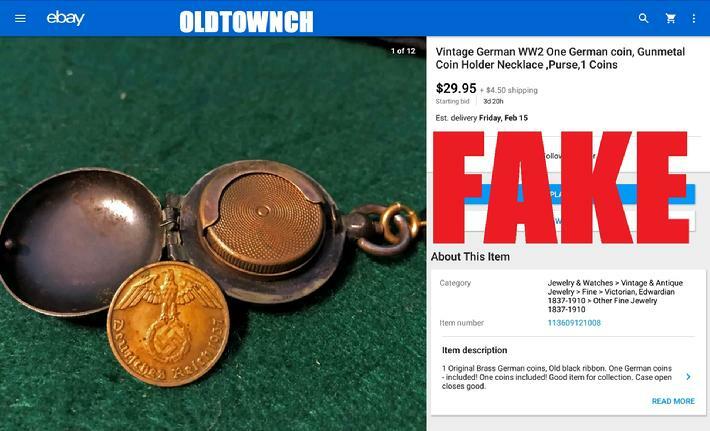 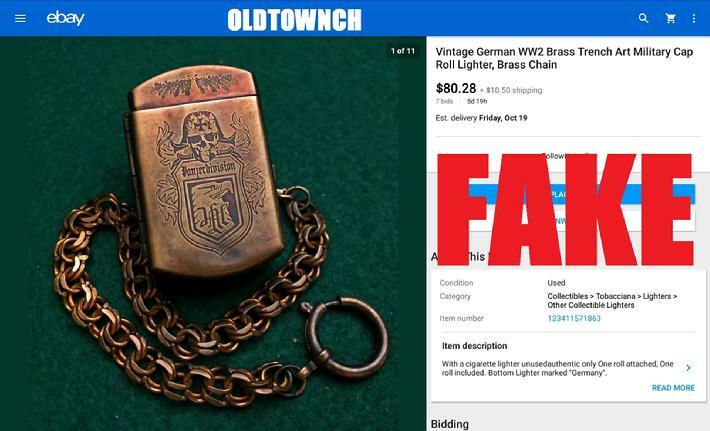 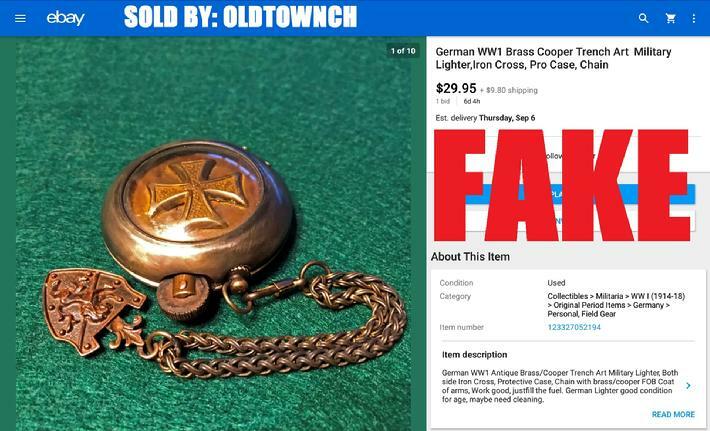 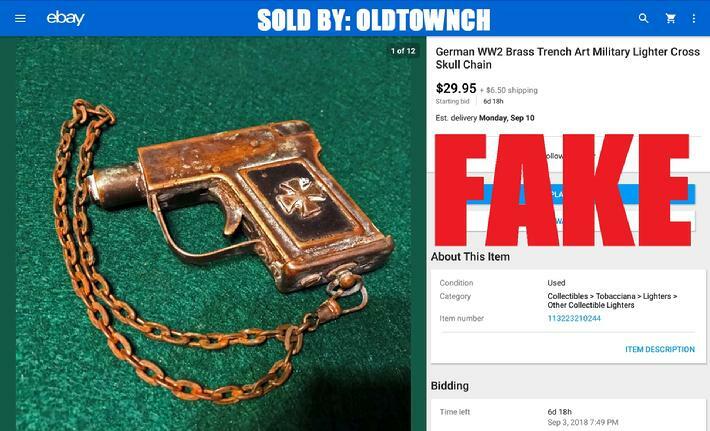 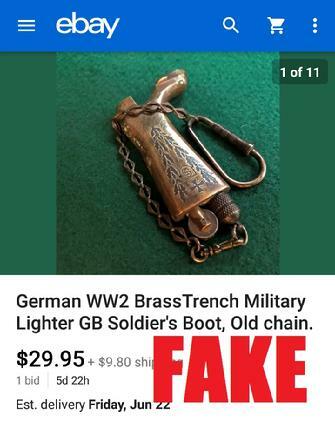 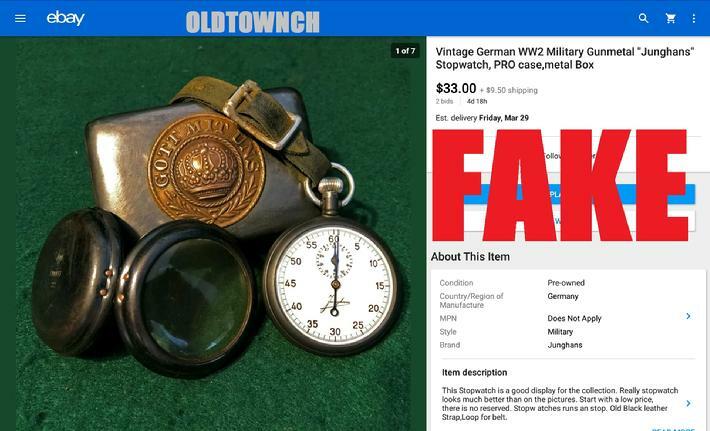 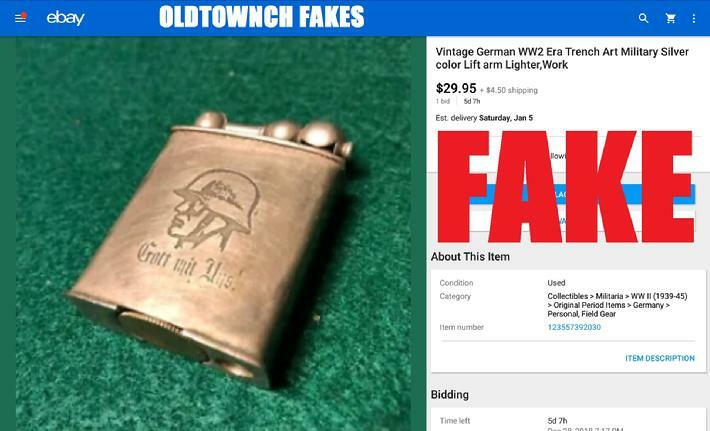 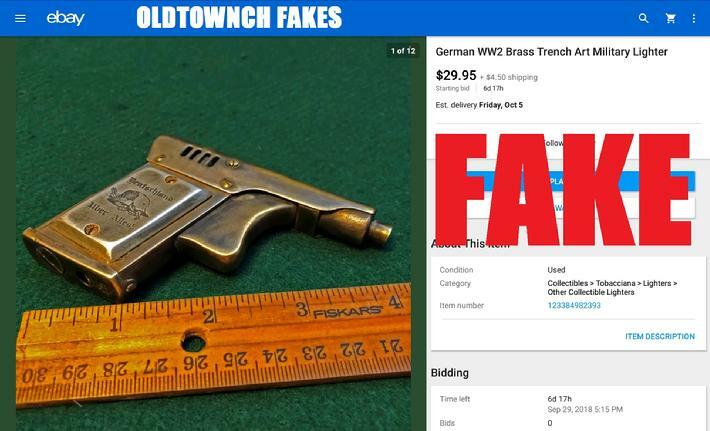 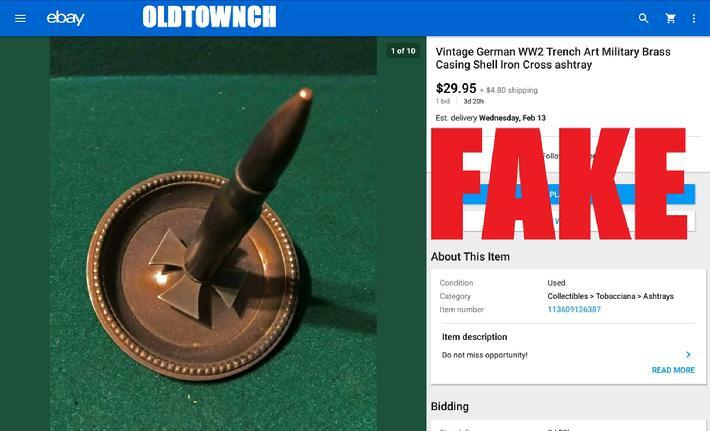 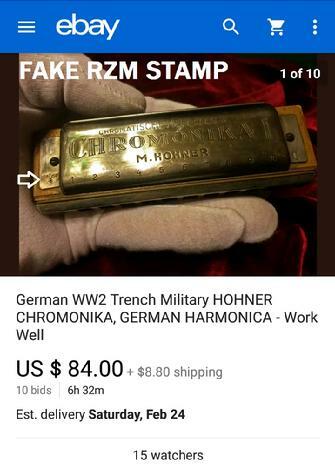 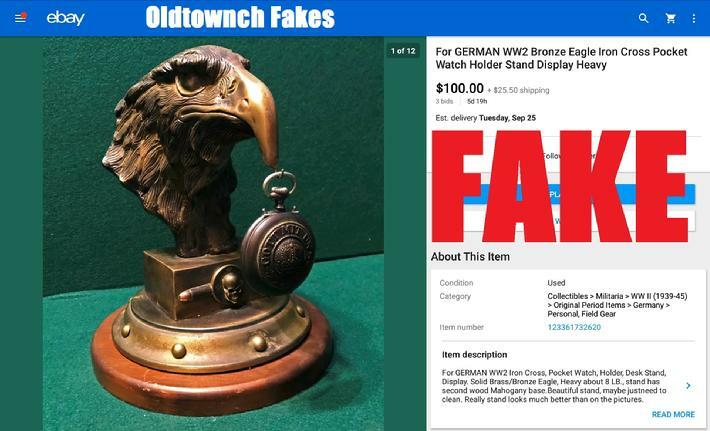 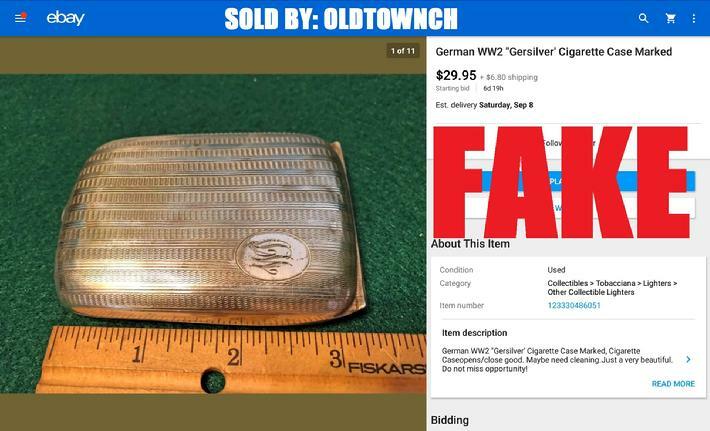 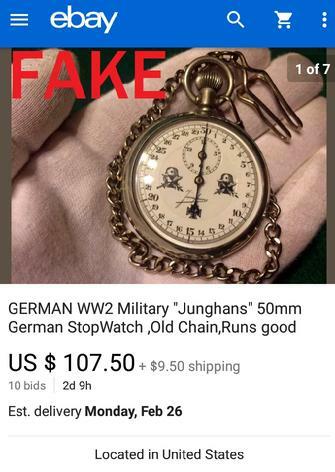 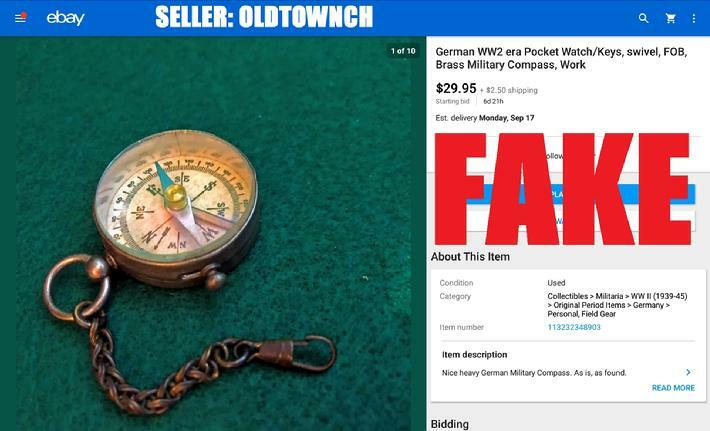 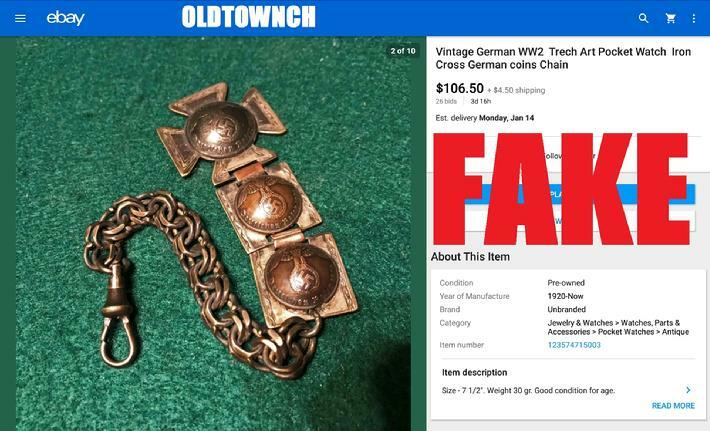 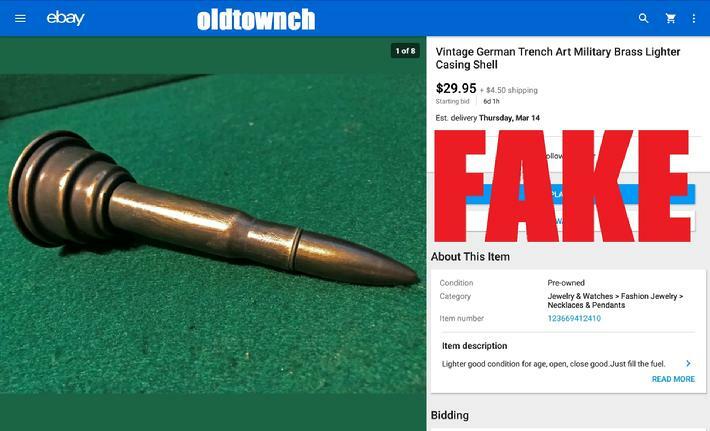 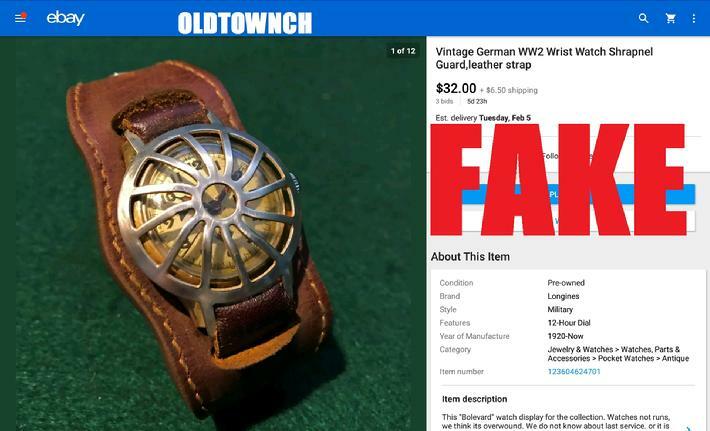 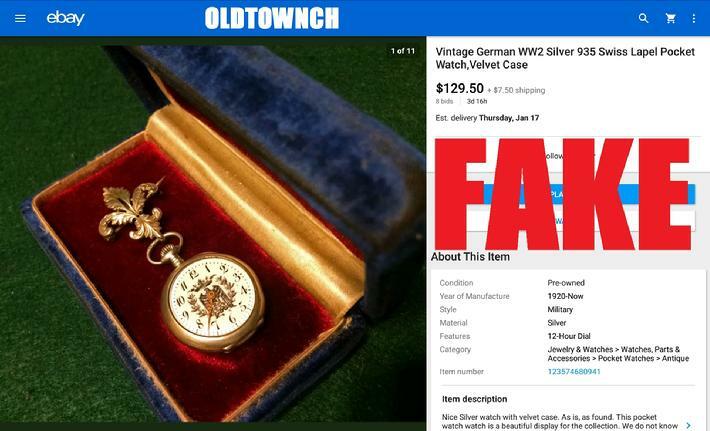 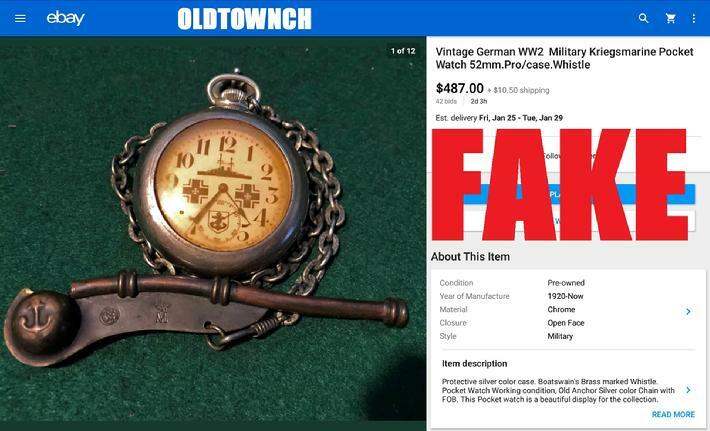 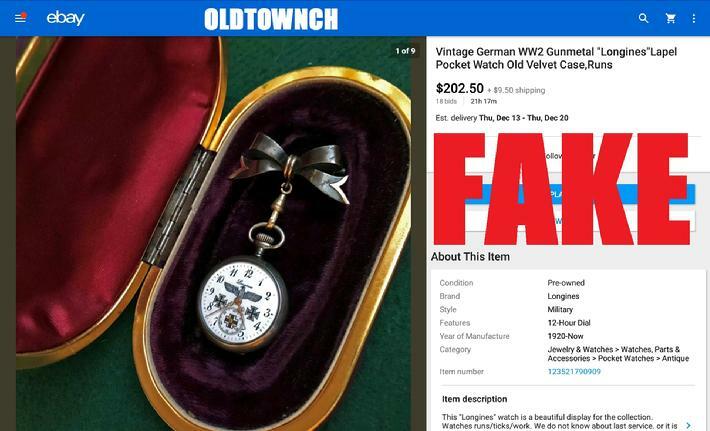 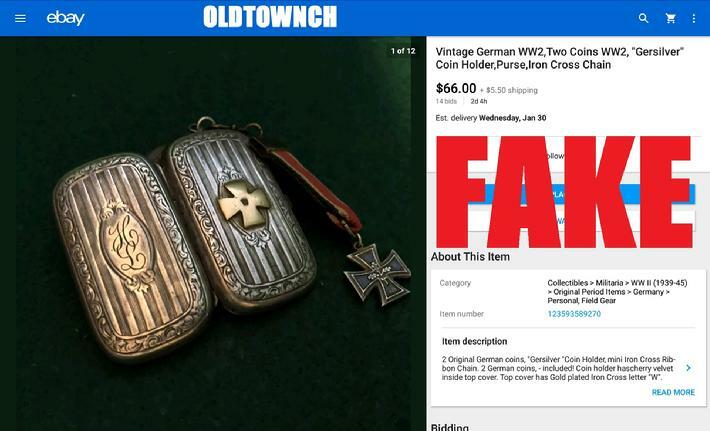 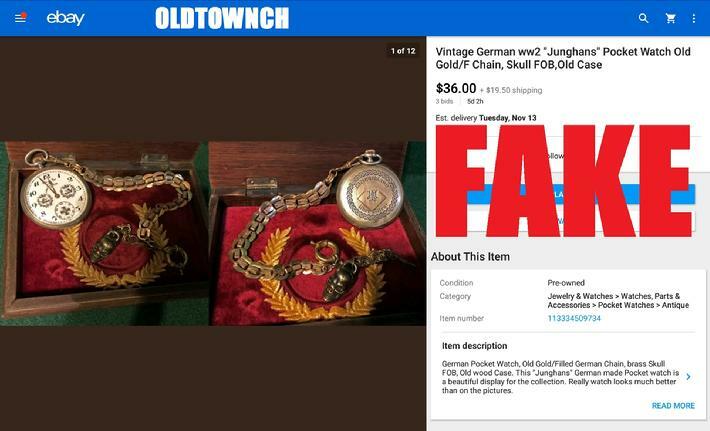 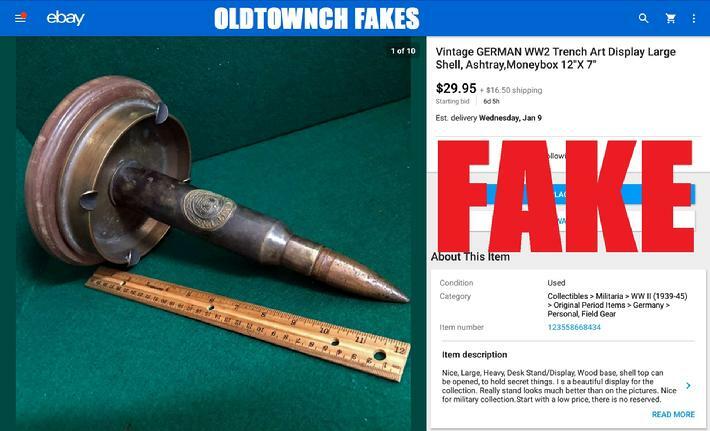 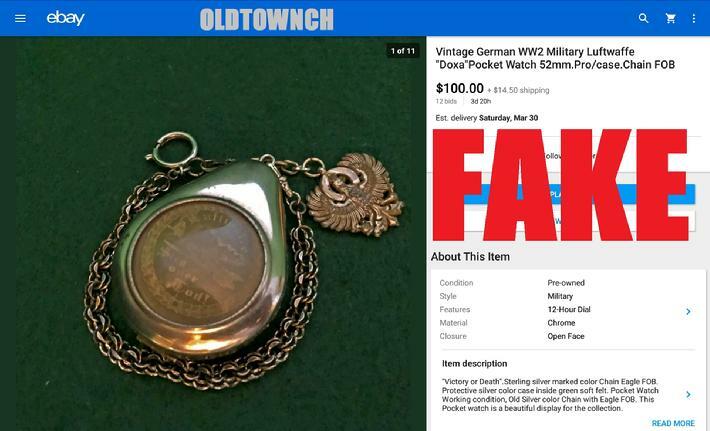 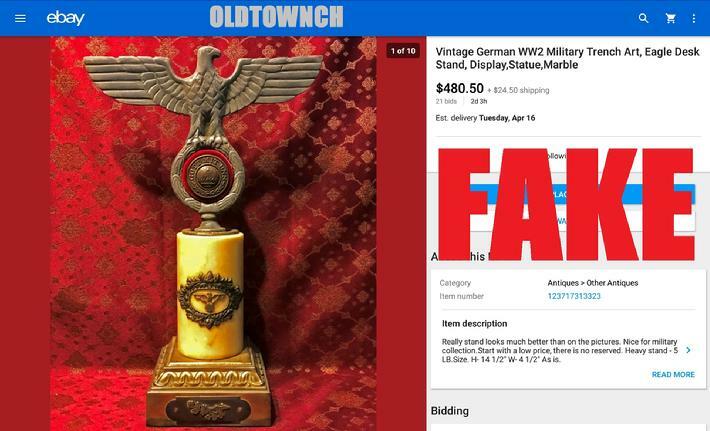 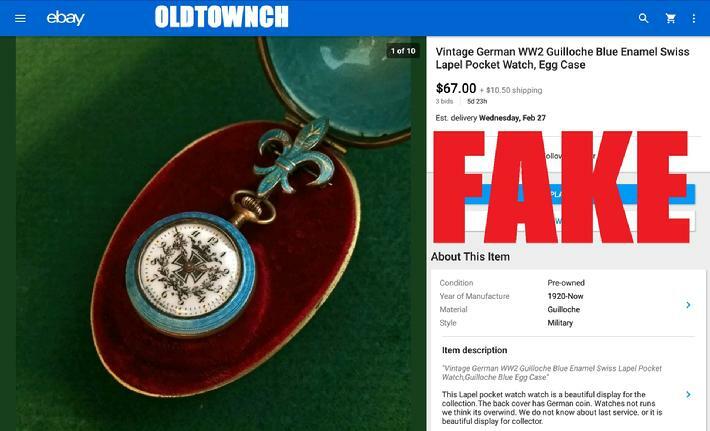 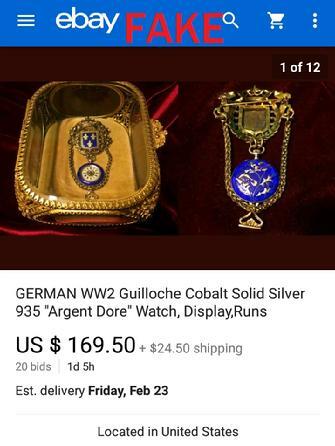 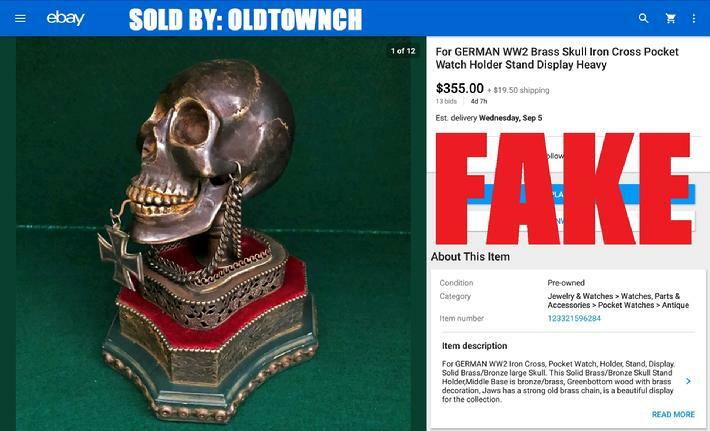 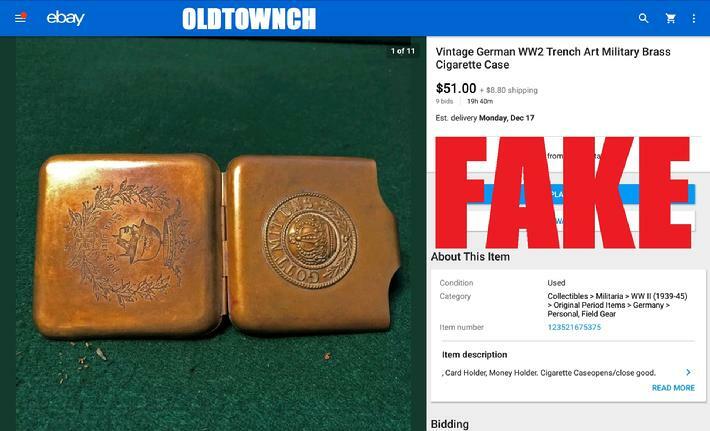 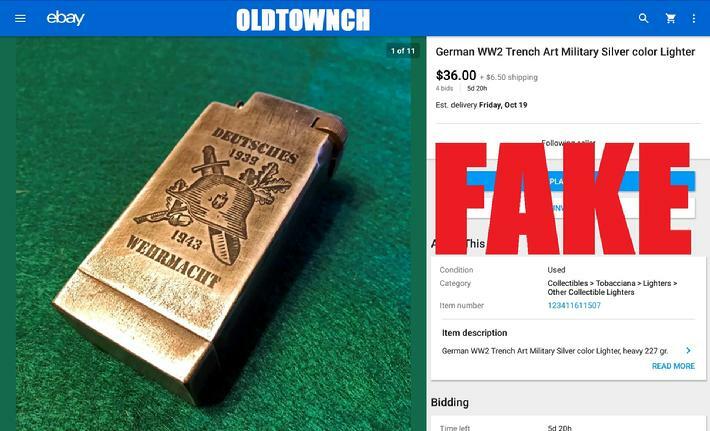 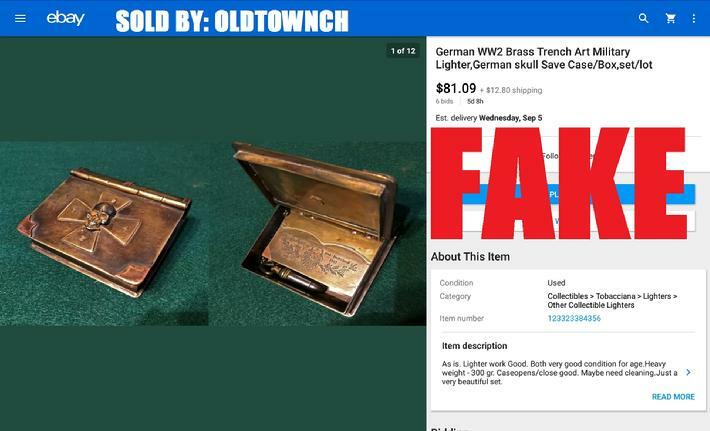 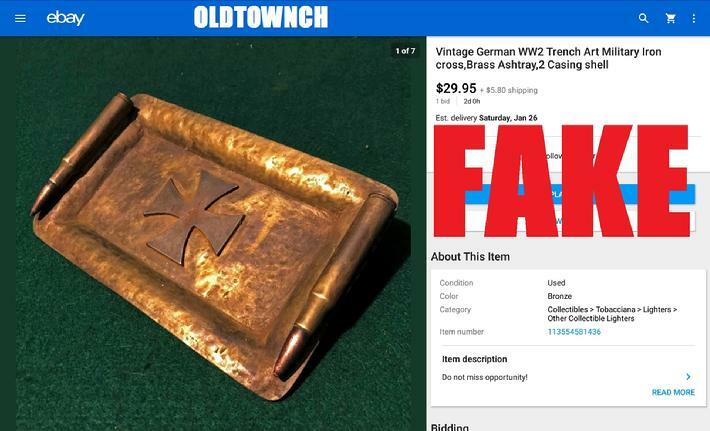 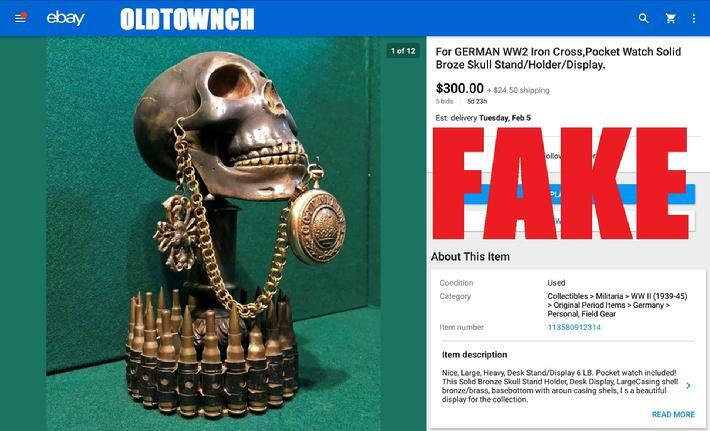 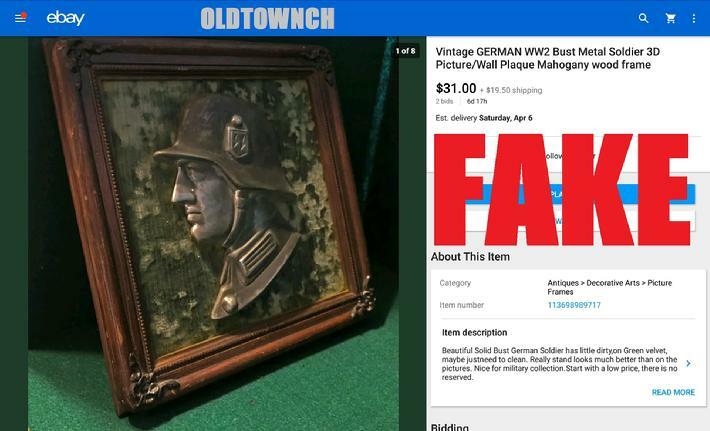 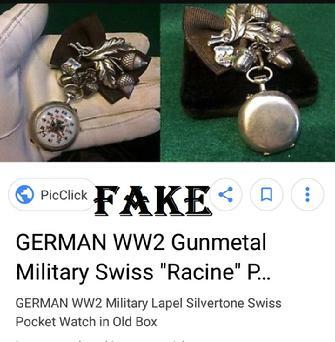 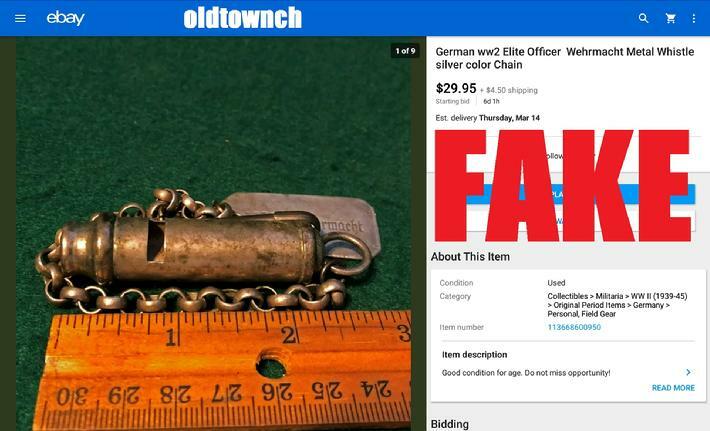 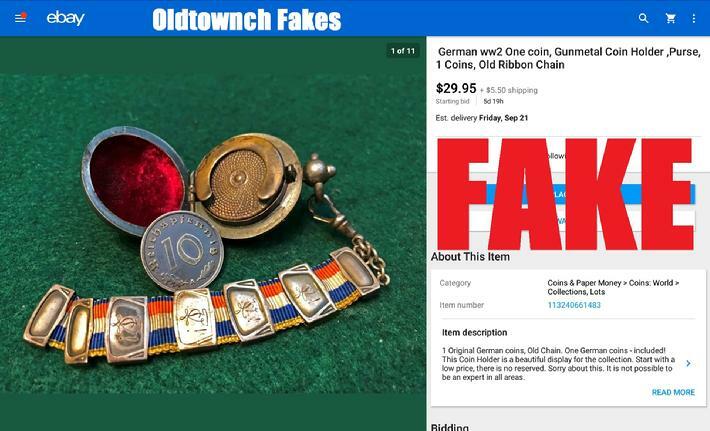 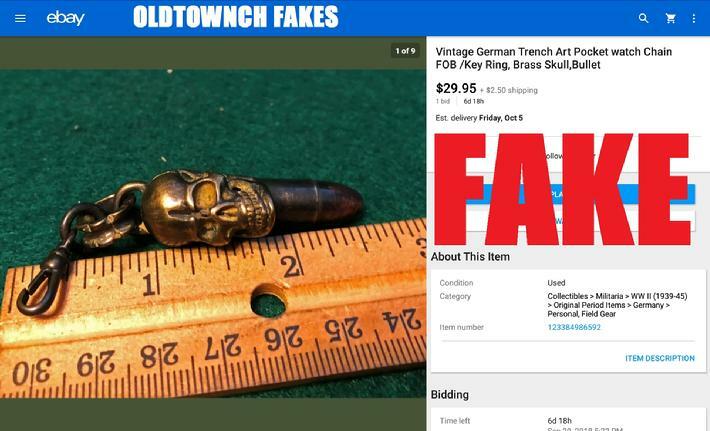 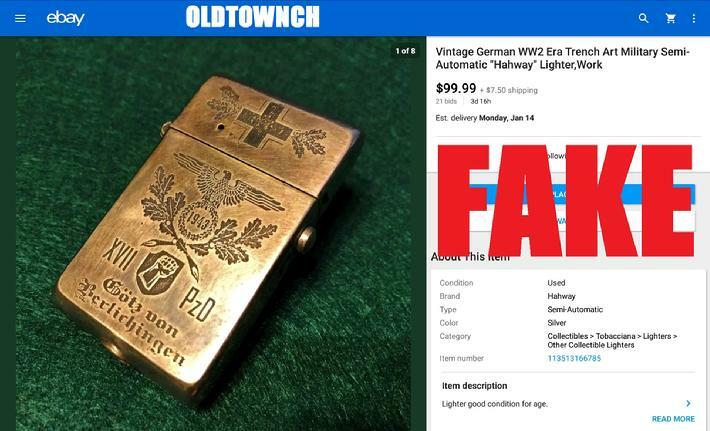 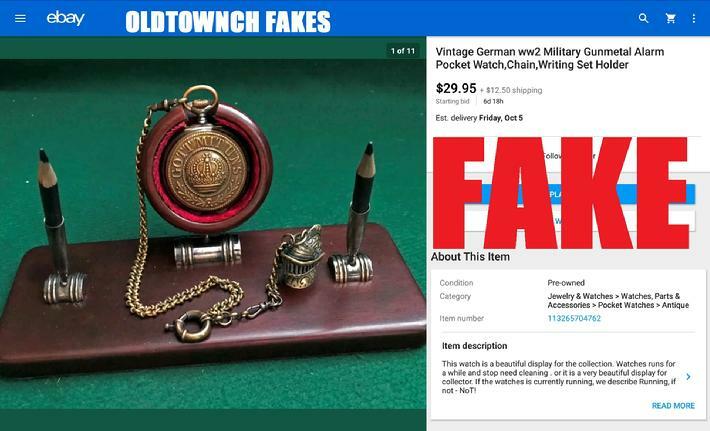 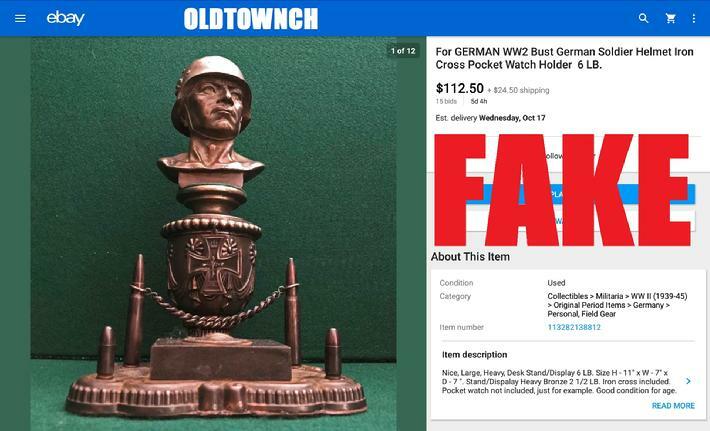 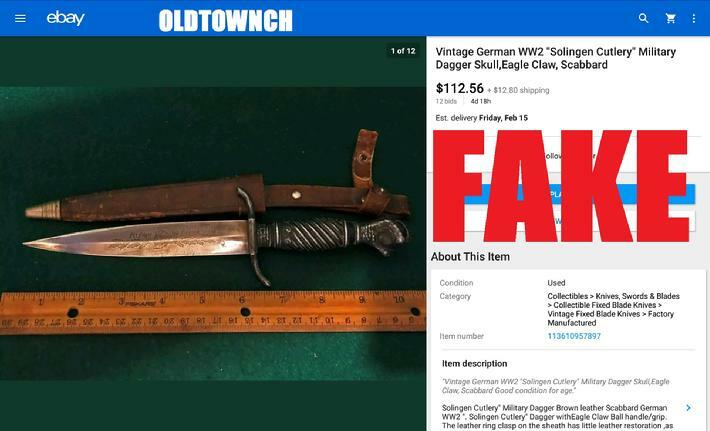 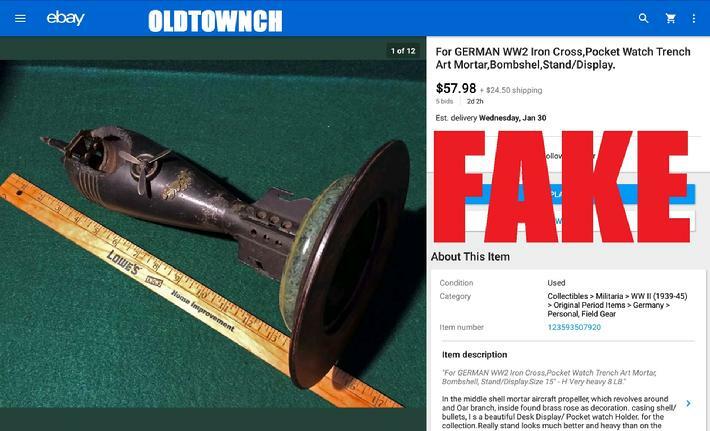 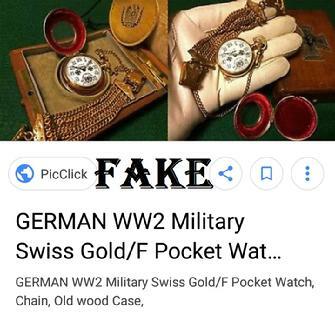 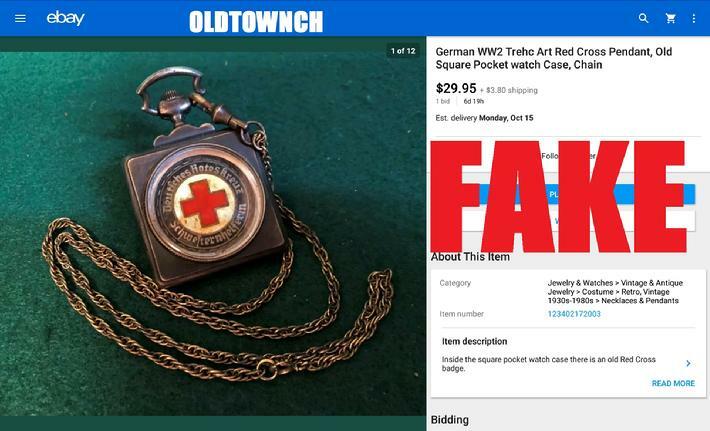 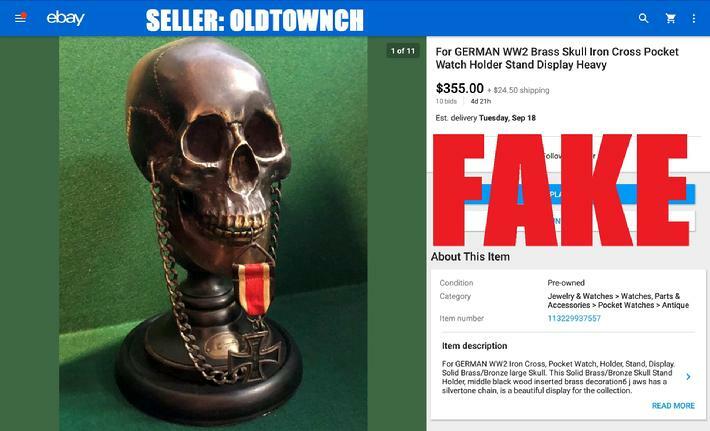 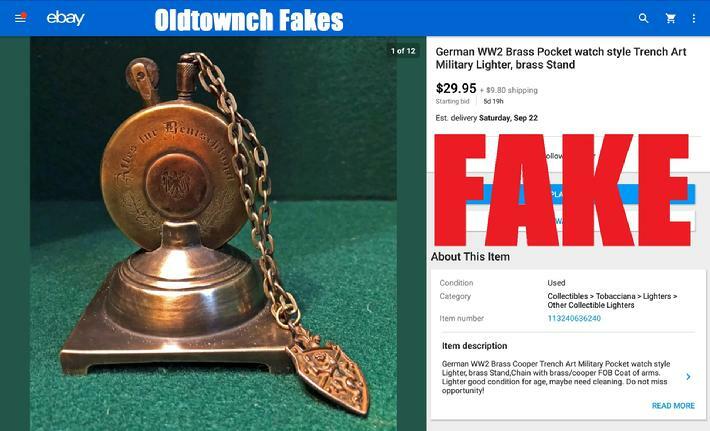 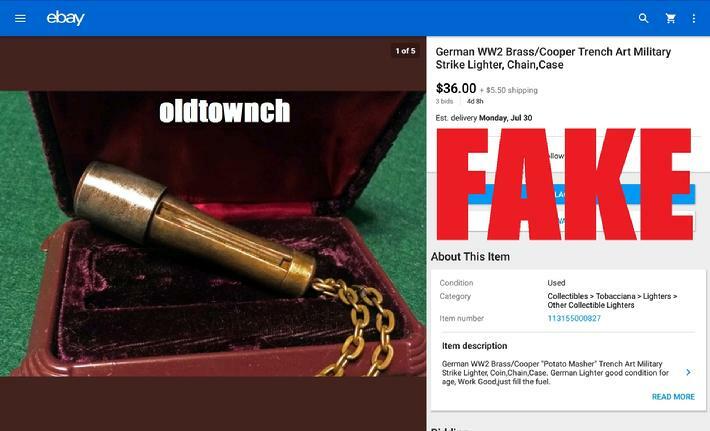 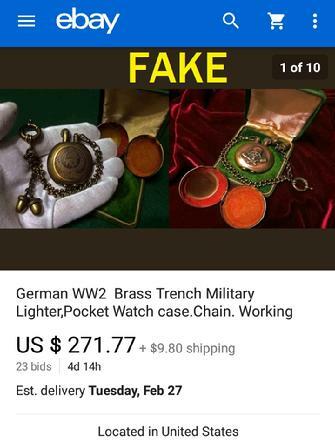 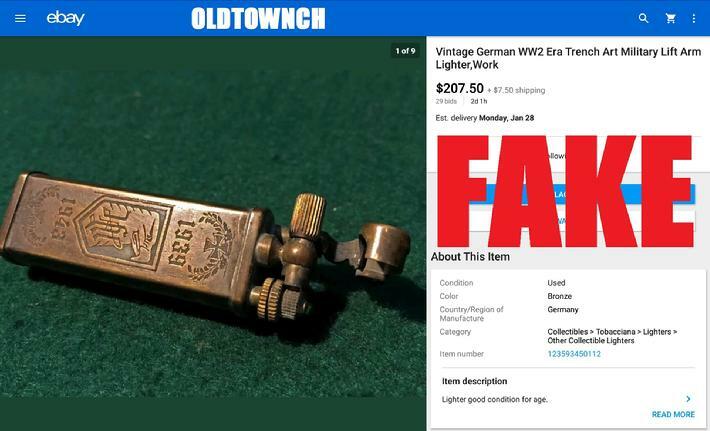 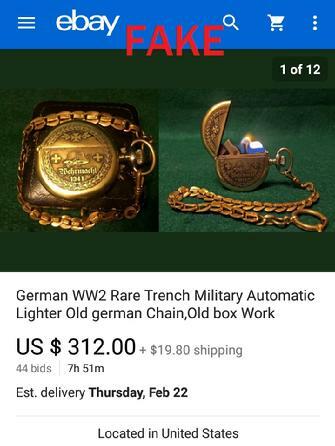 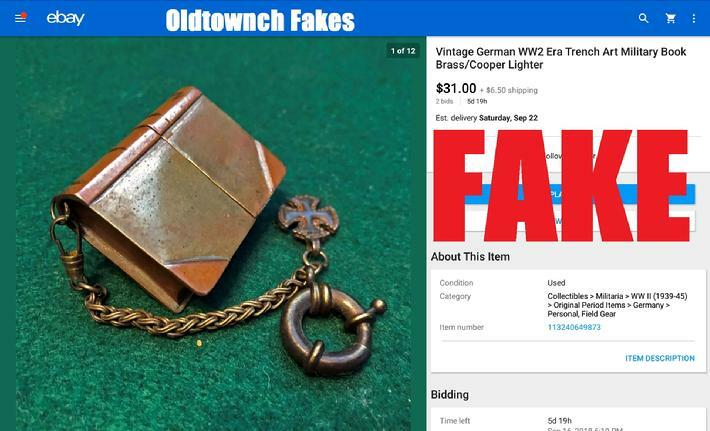 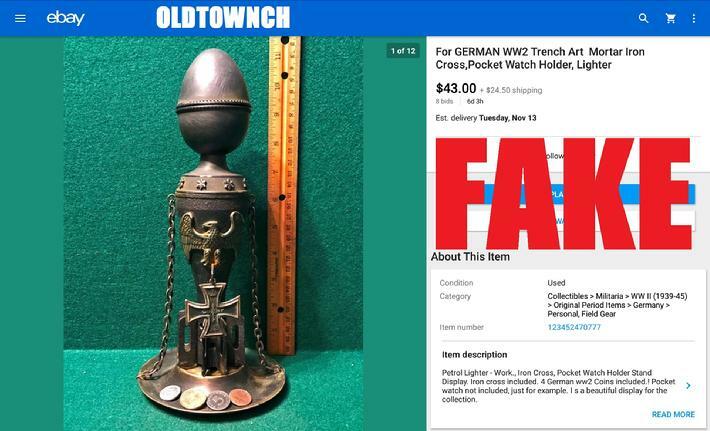 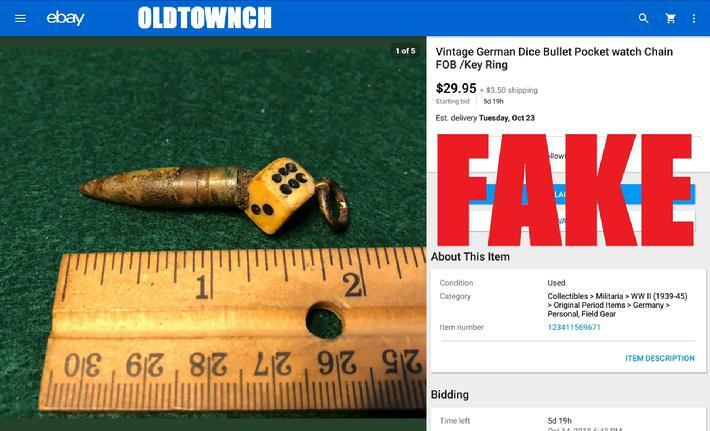 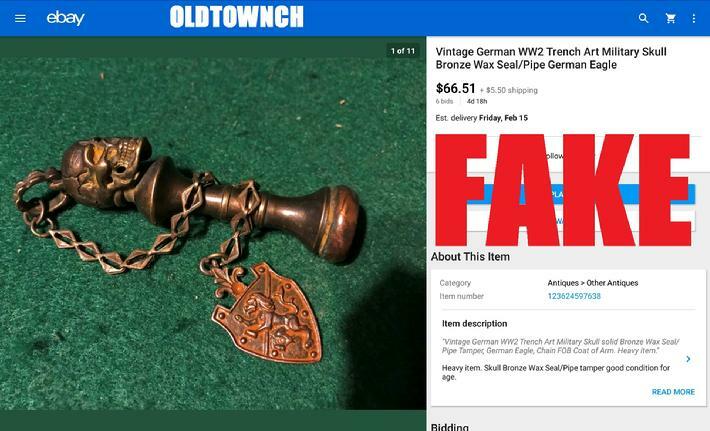 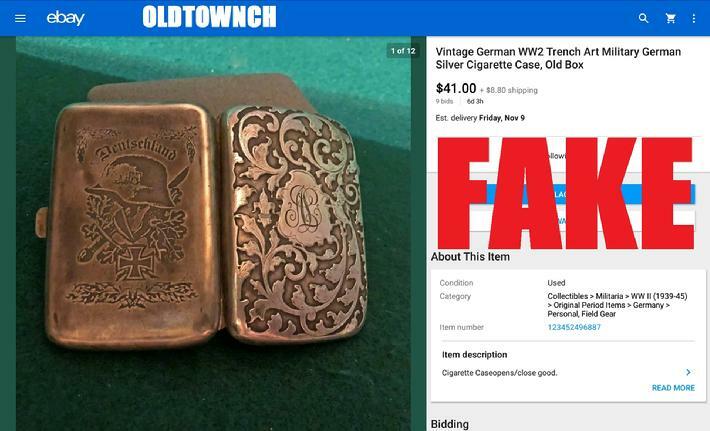 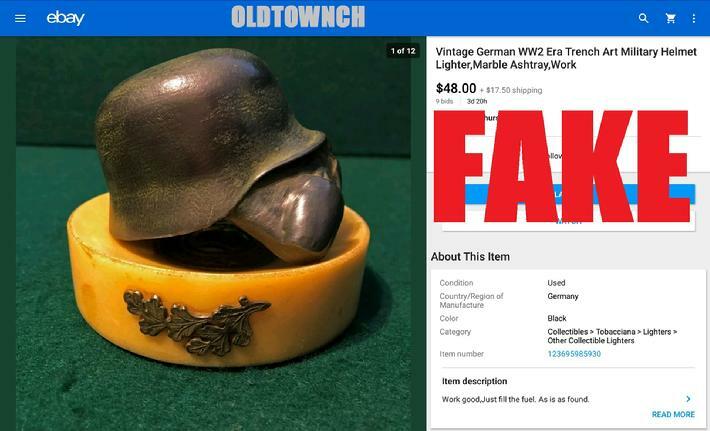 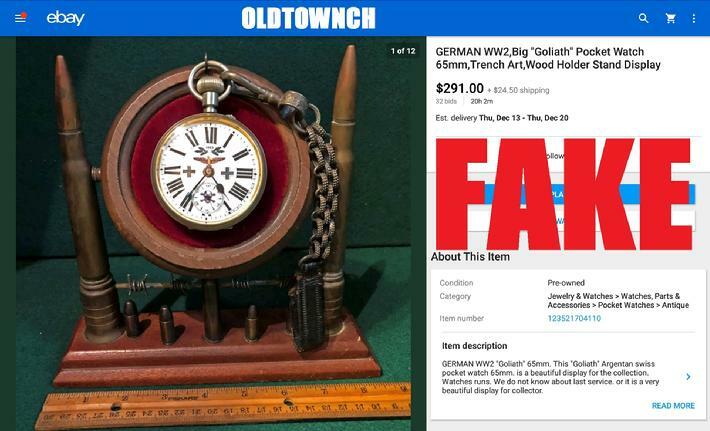 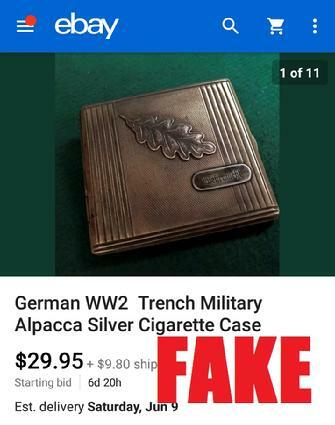 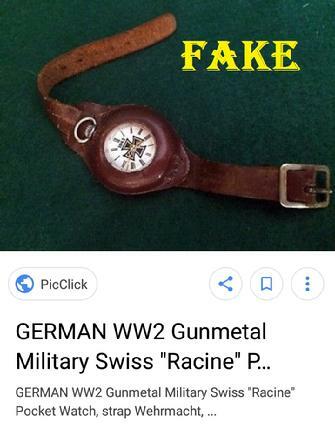 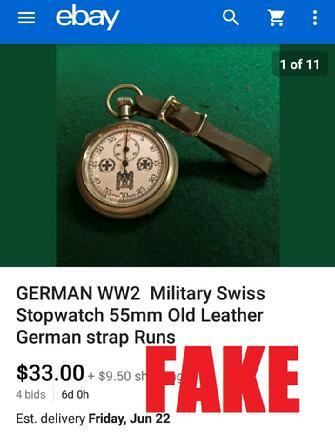 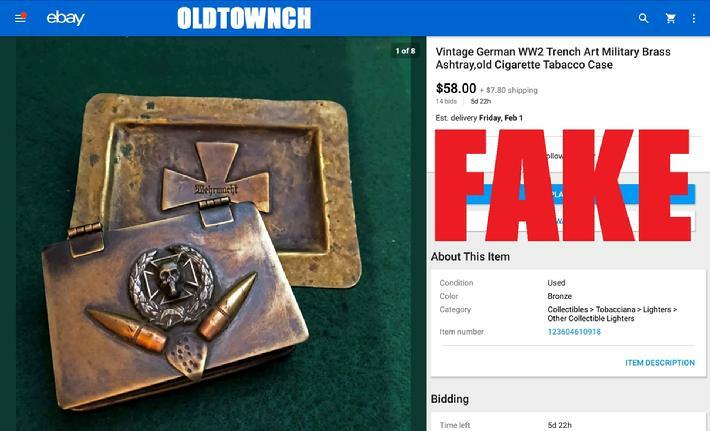 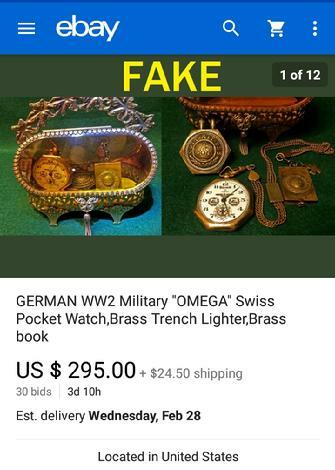 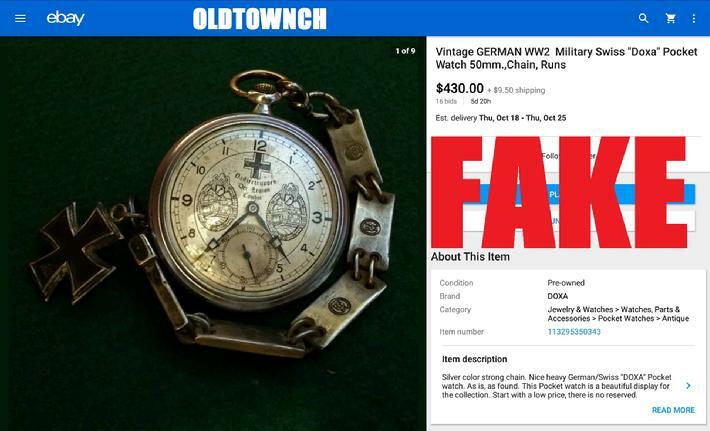 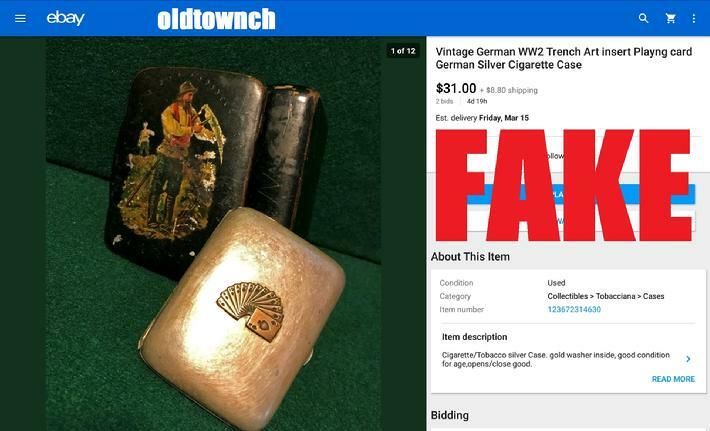 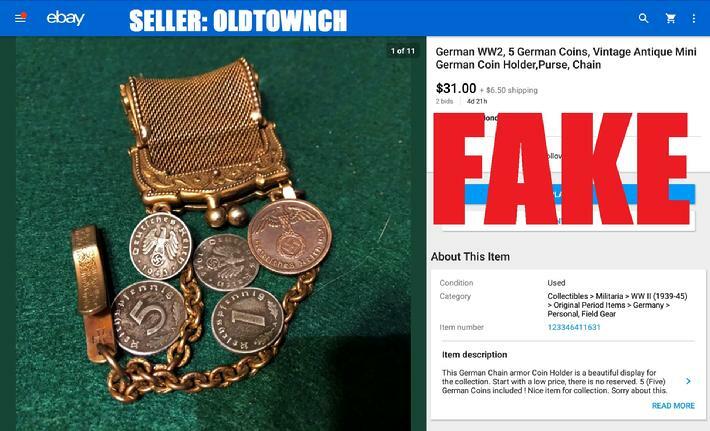 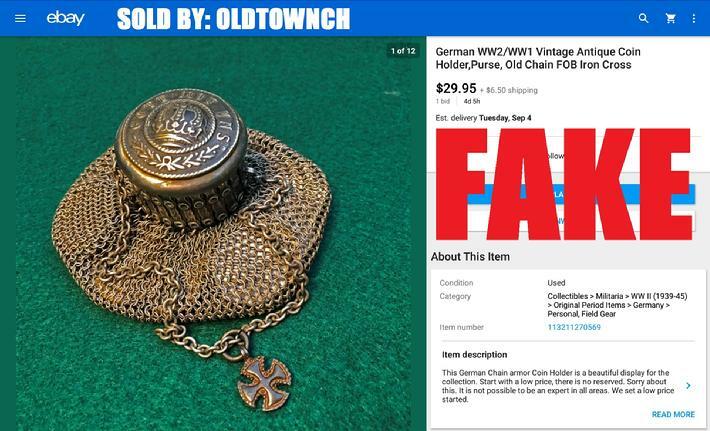 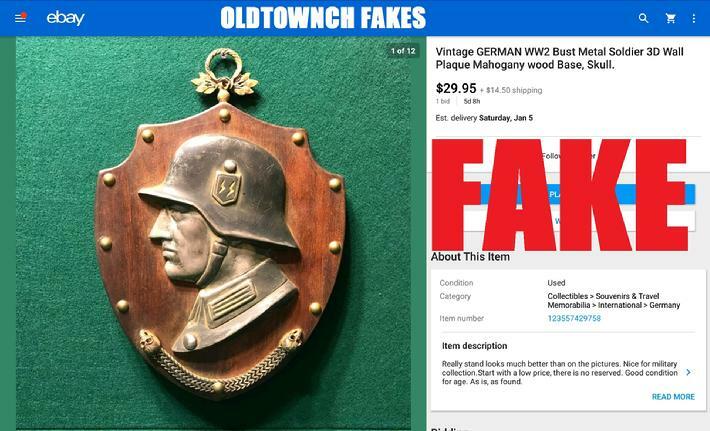 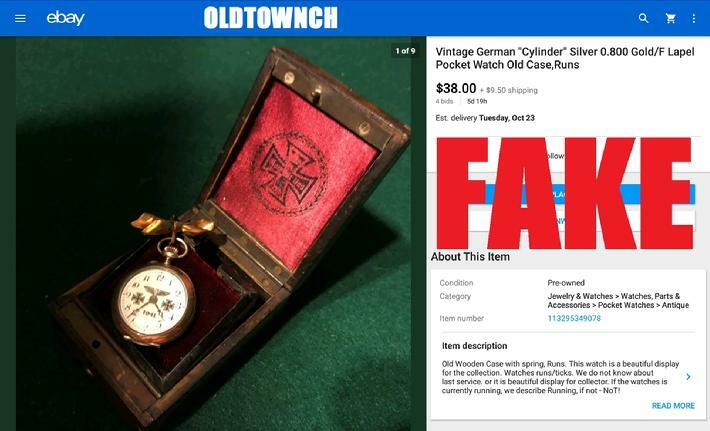 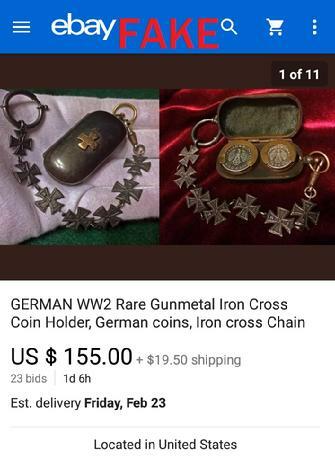 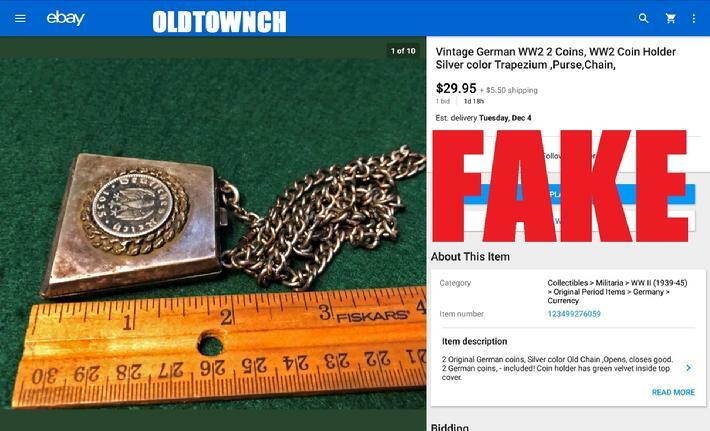 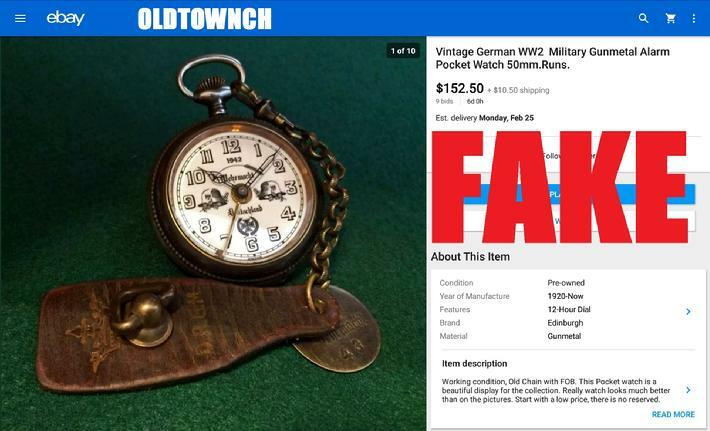 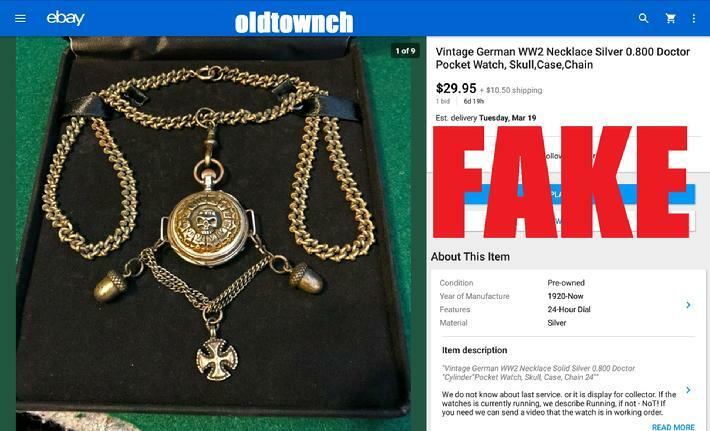 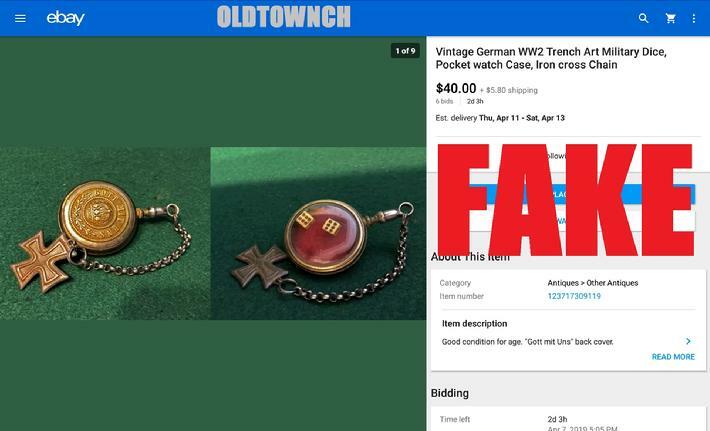 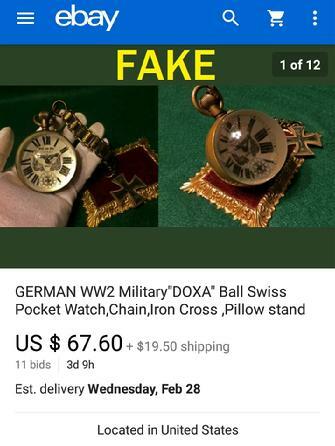 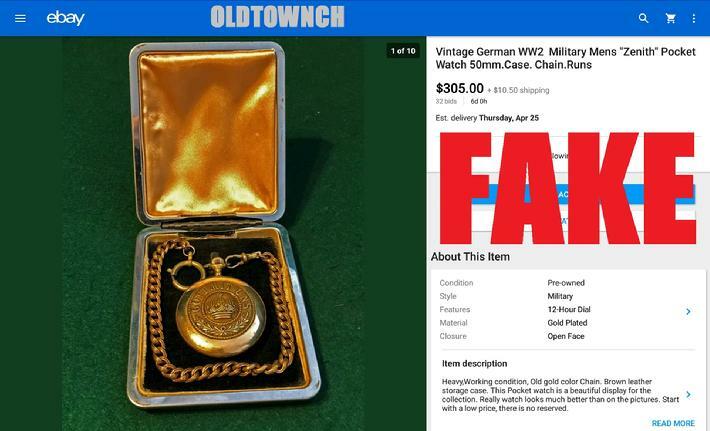 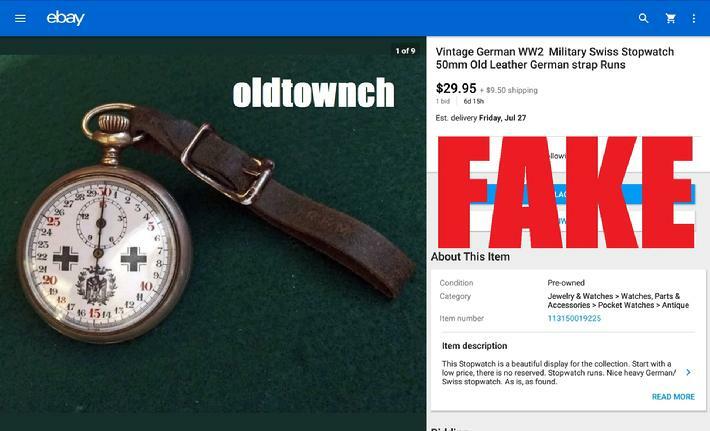 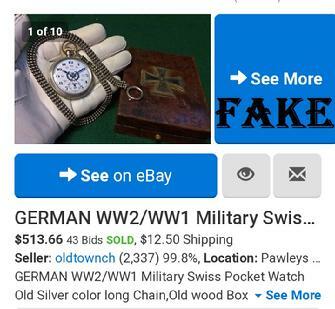 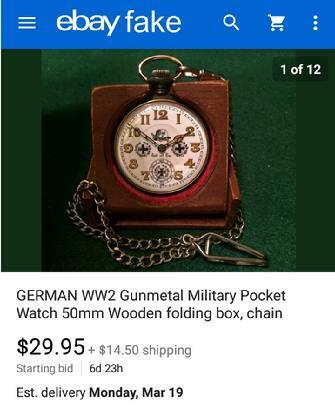 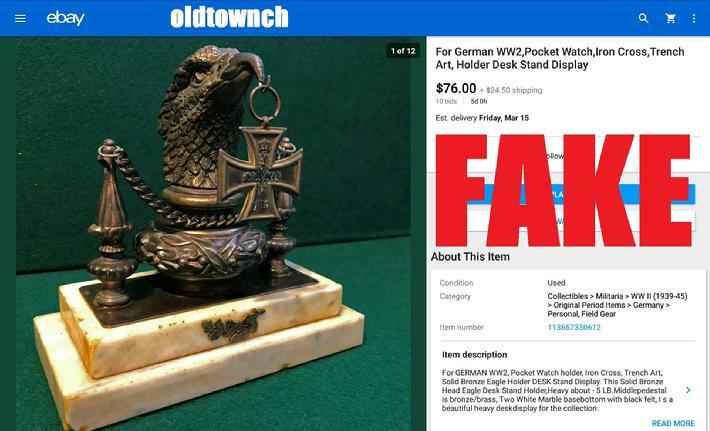 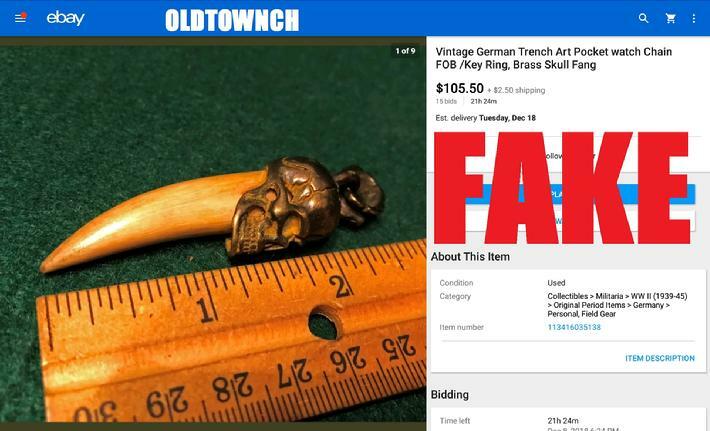 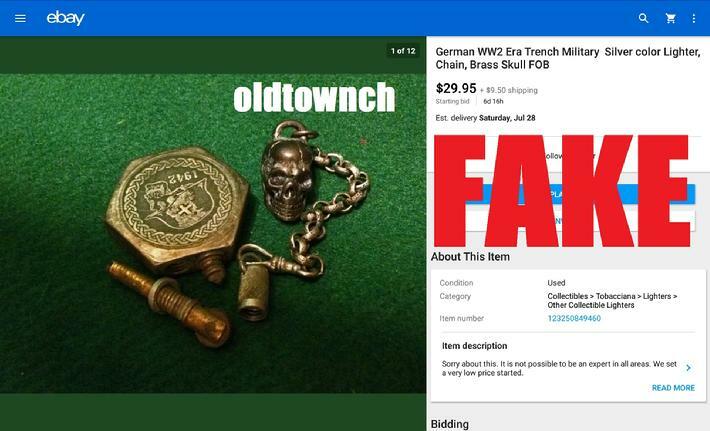 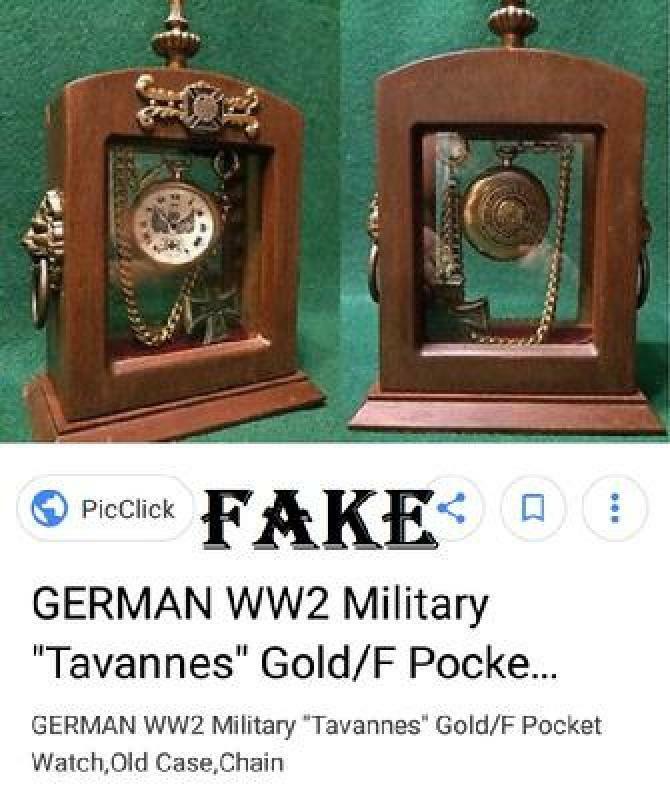 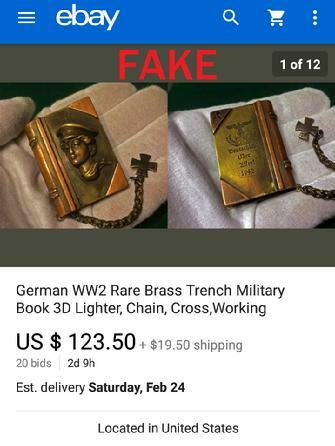 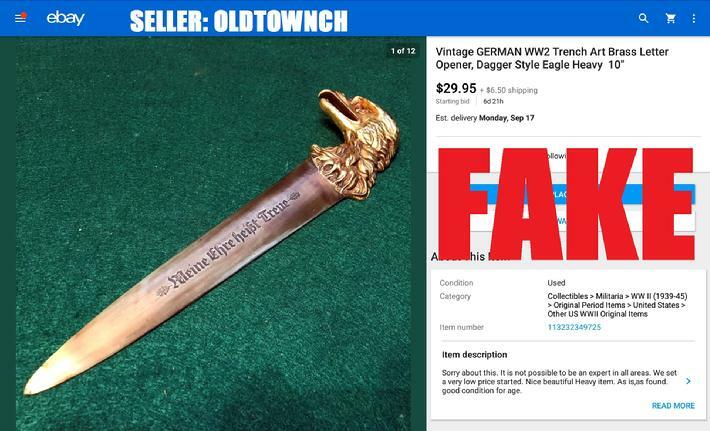 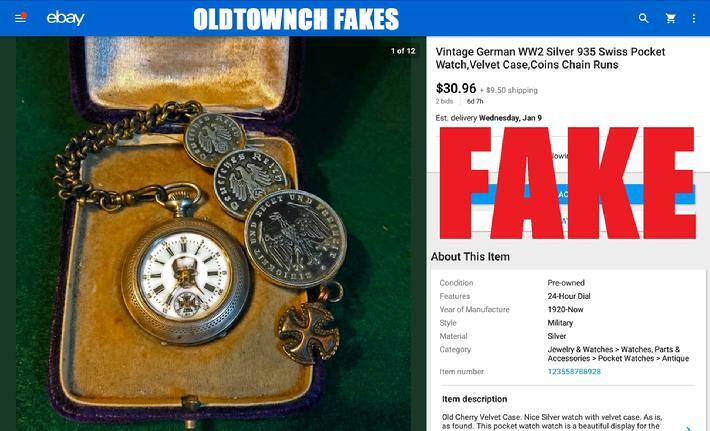 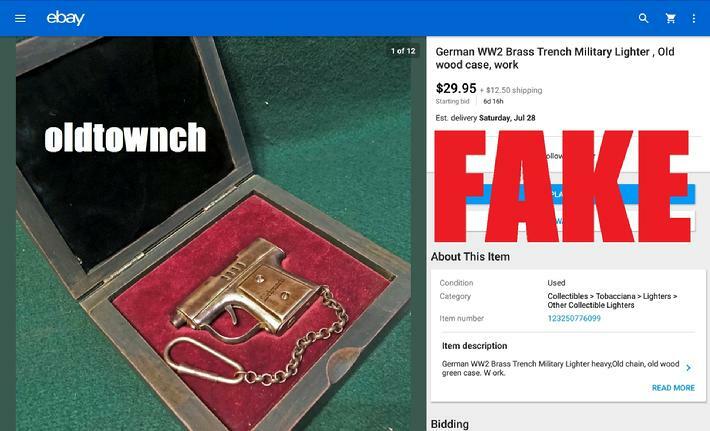 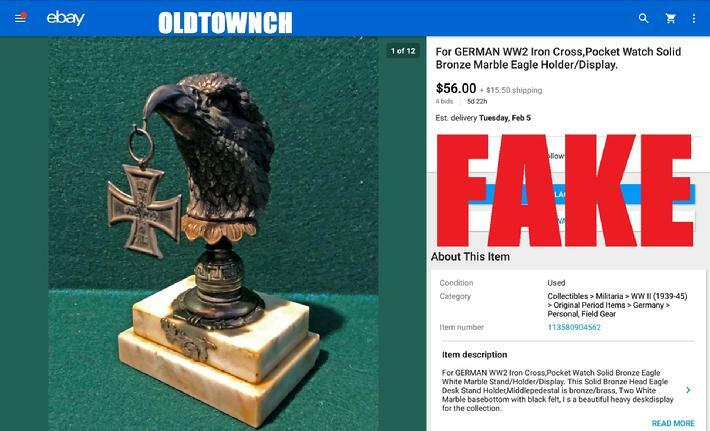 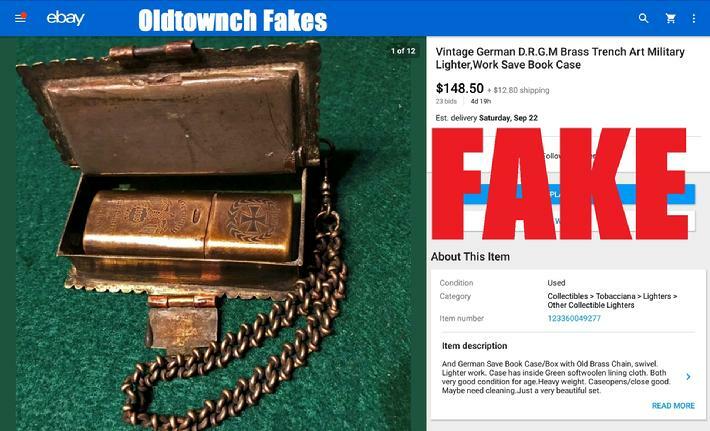 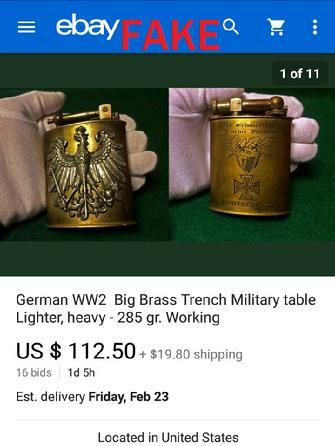 Oldtownch is a dealer on ebay and various other sites in various countries, and is one of the most prolific vendors of fake WW2 “RARE” memorabilia around. 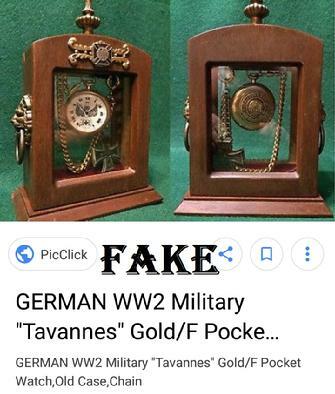 They apparently have a very good Eastern European connection that supplies them with an endless stream of this garbage. 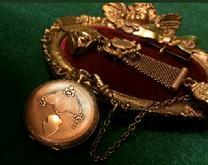 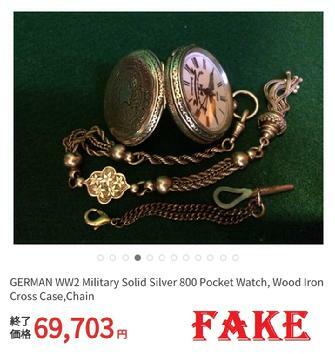 Buyers have stated that items are shipped from the Ukraine. 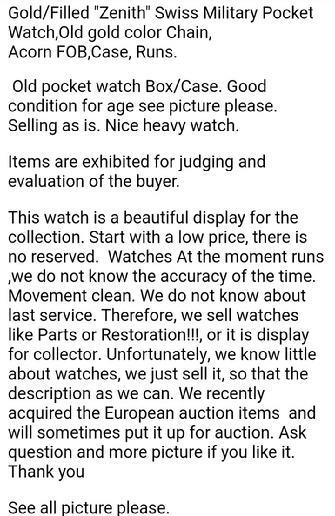 Their disclaimer typically tells you they don’t know anything about these items or their history, this is a blatant lie. 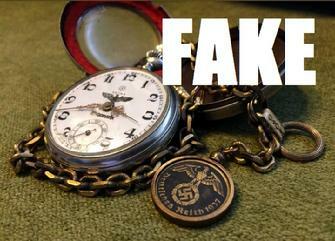 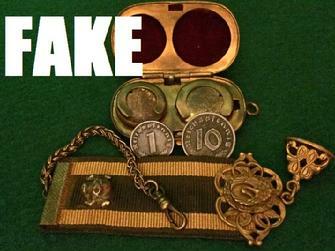 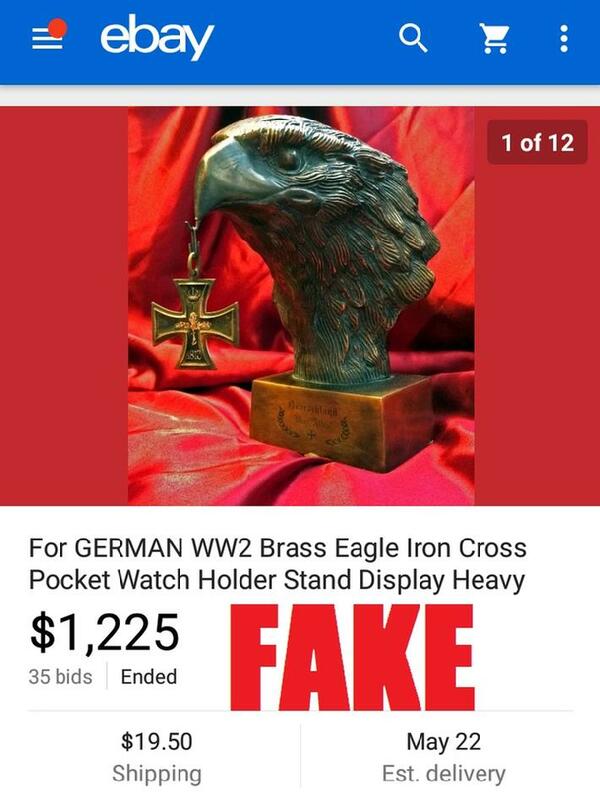 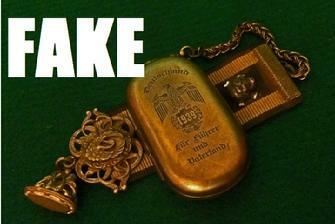 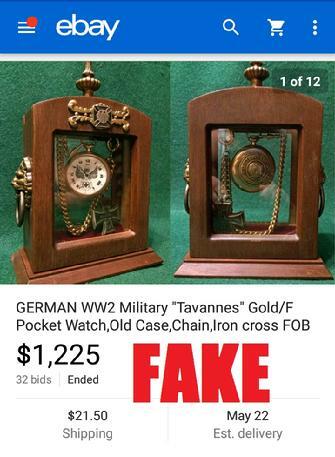 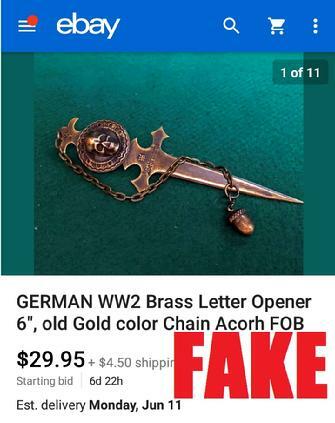 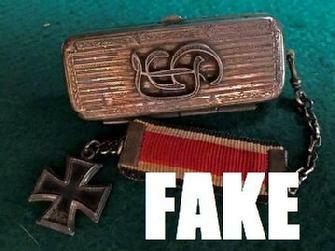 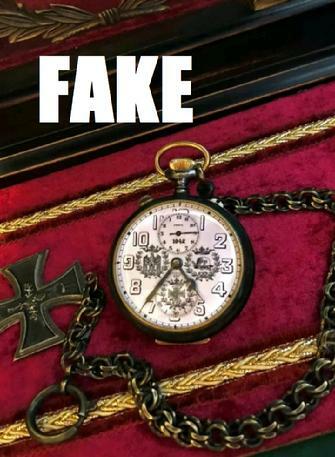 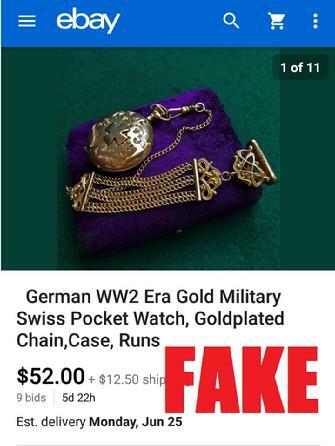 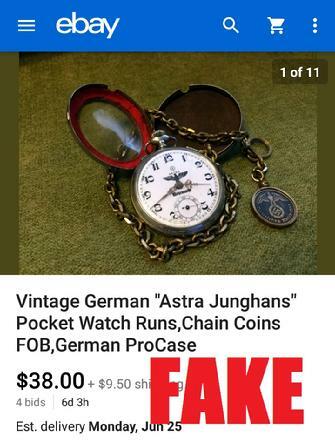 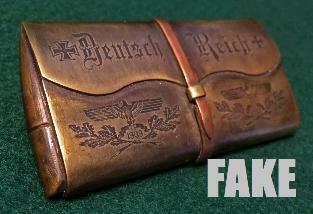 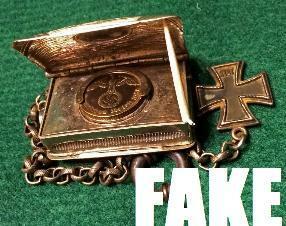 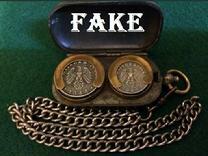 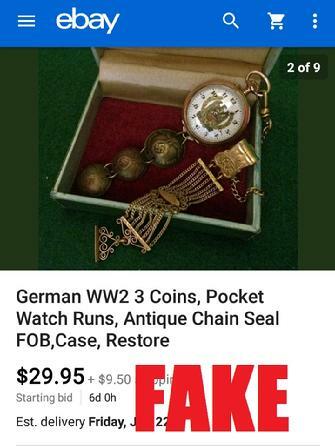 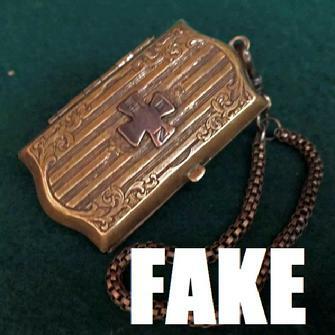 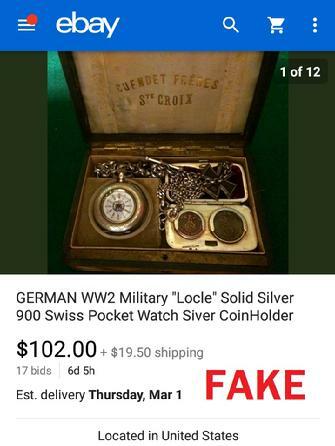 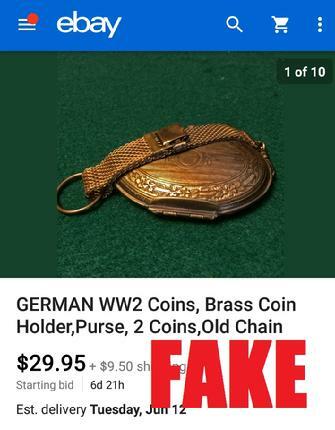 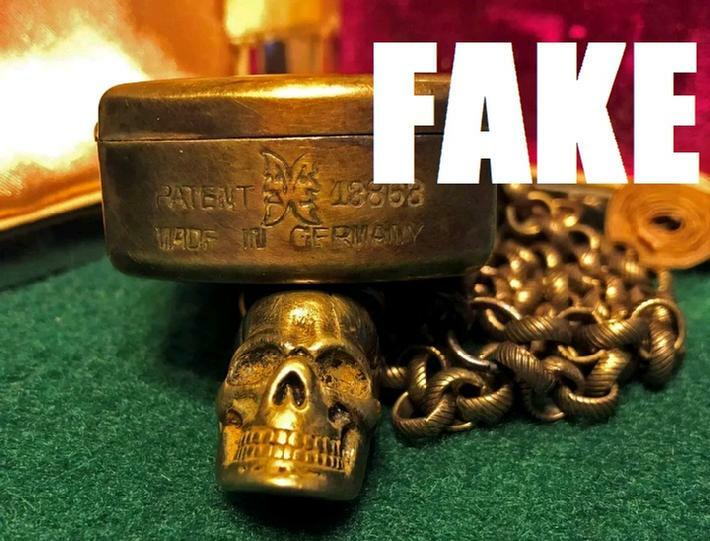 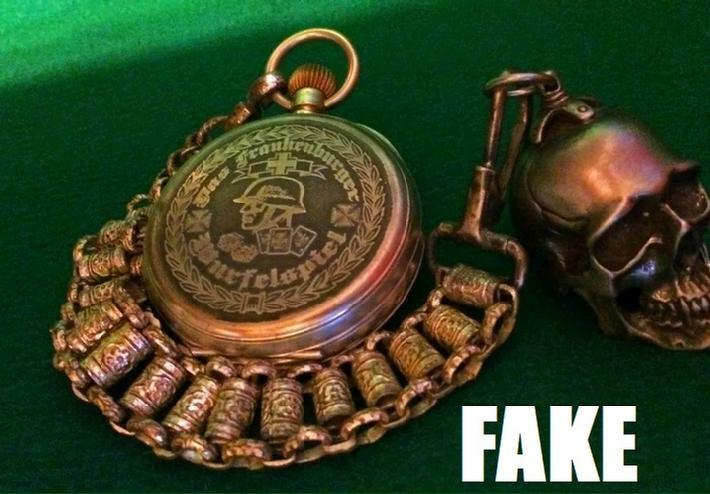 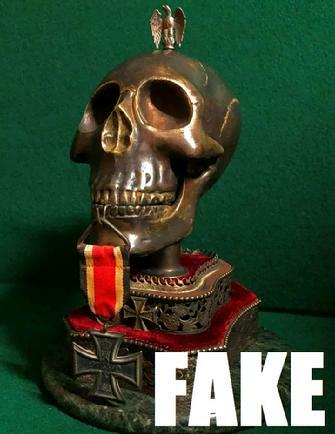 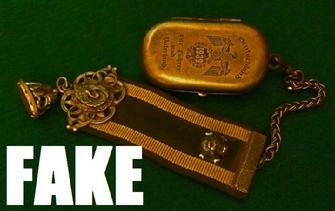 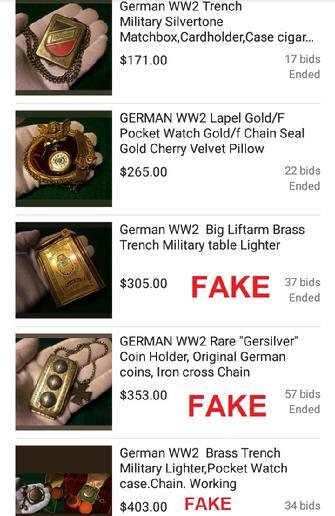 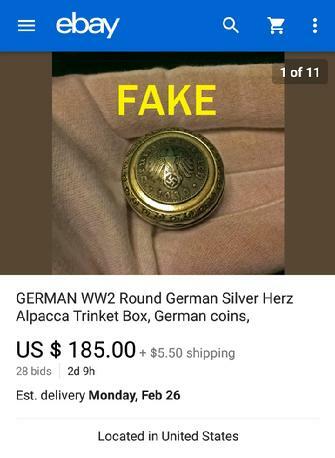 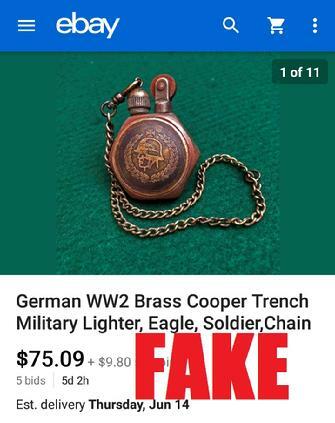 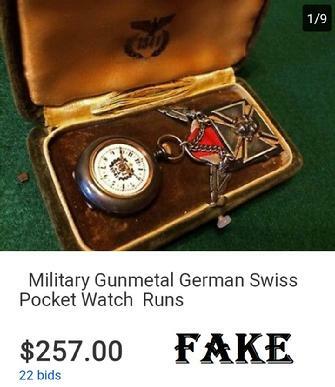 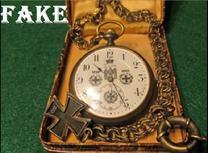 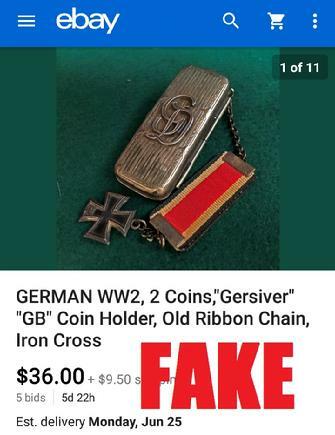 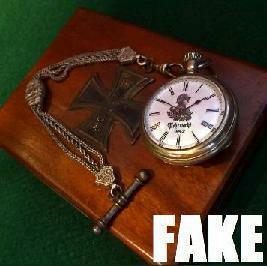 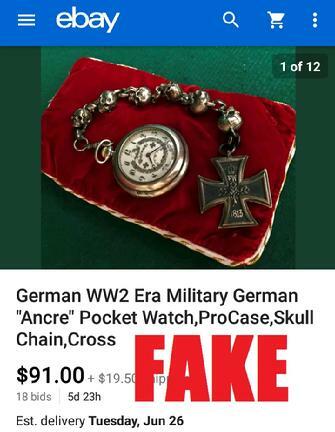 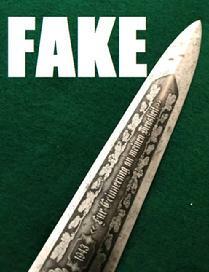 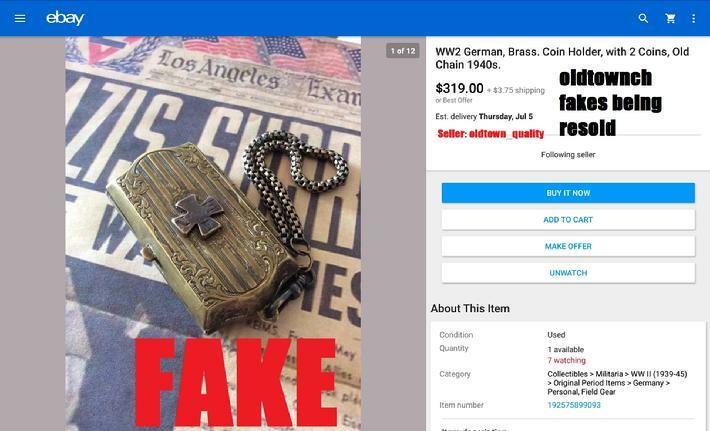 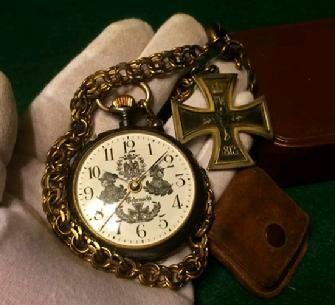 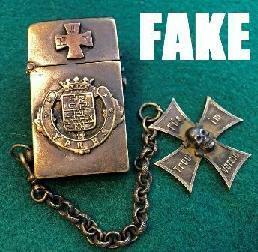 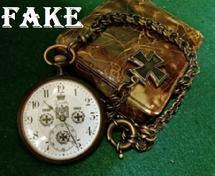 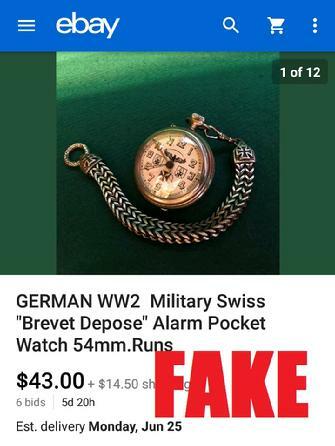 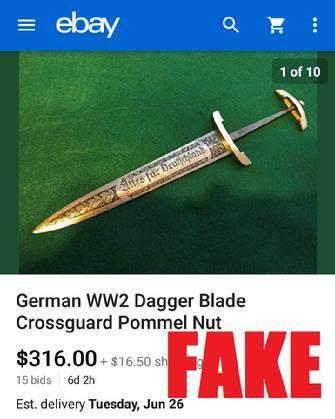 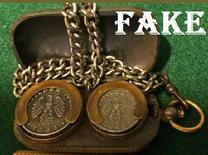 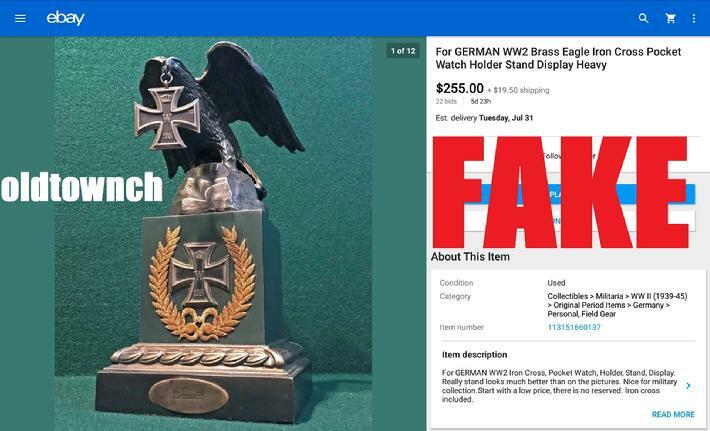 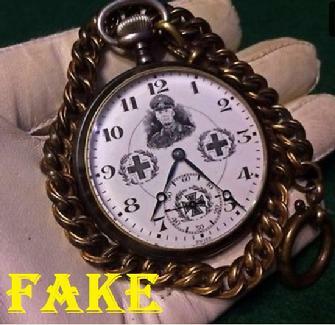 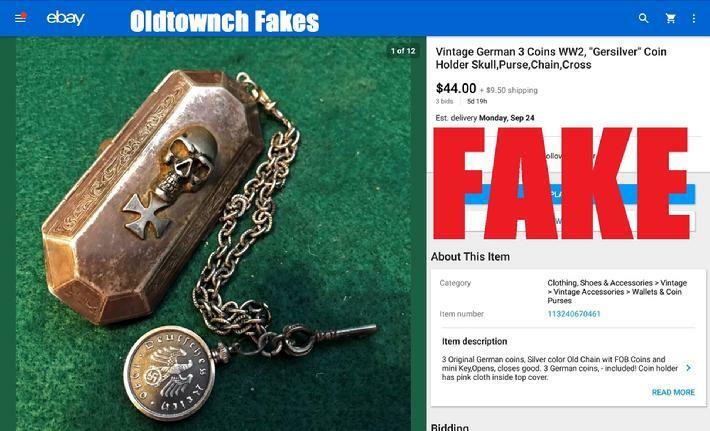 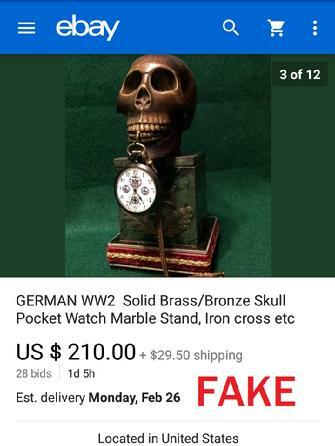 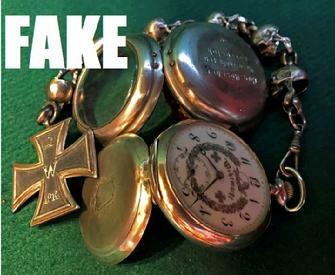 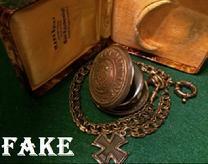 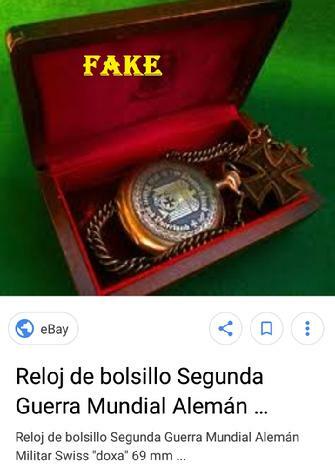 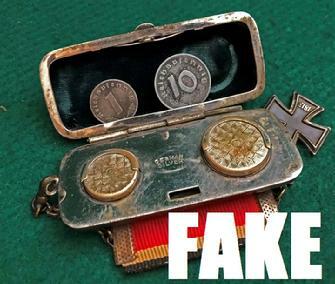 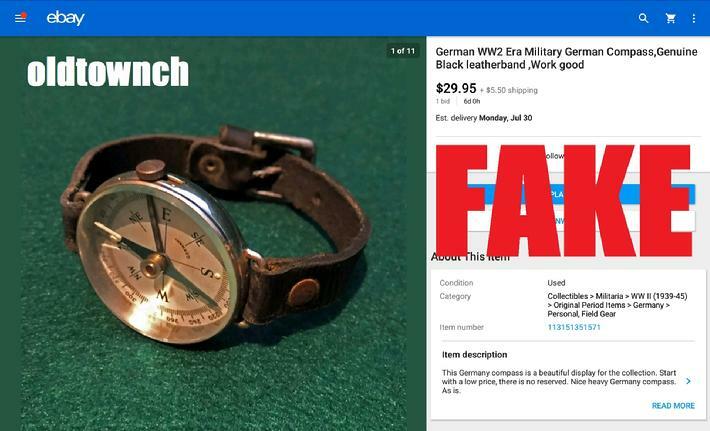 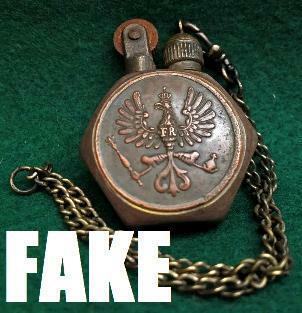 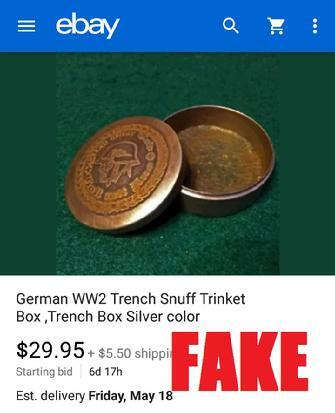 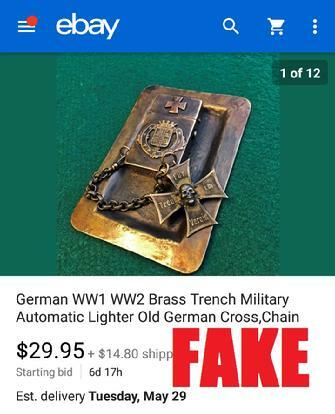 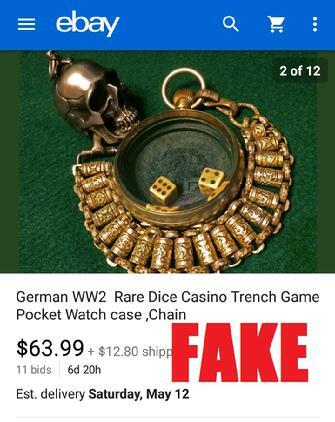 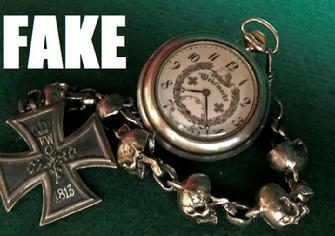 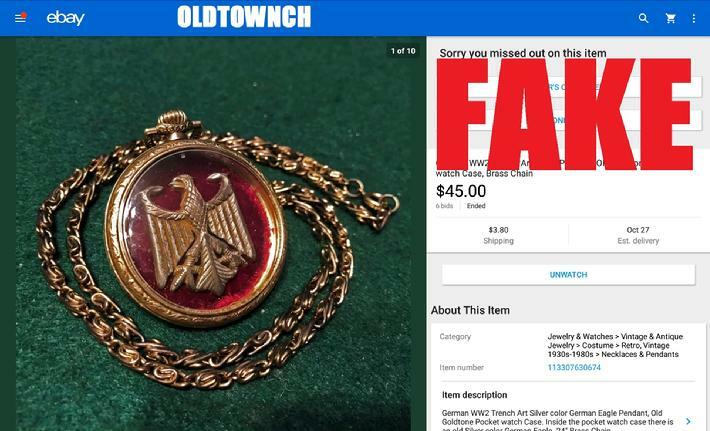 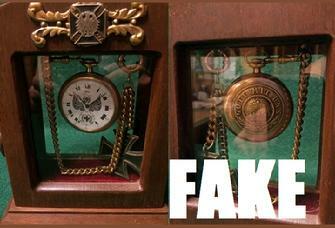 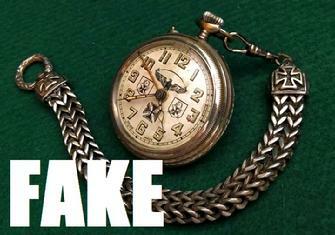 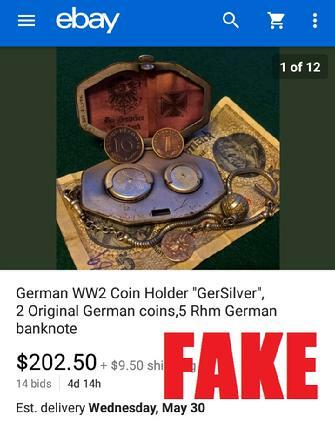 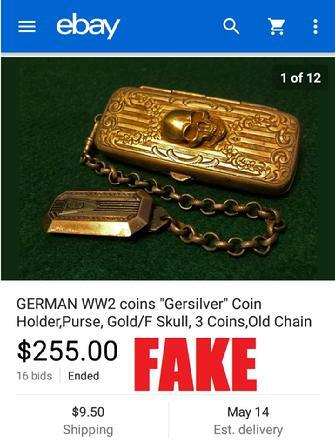 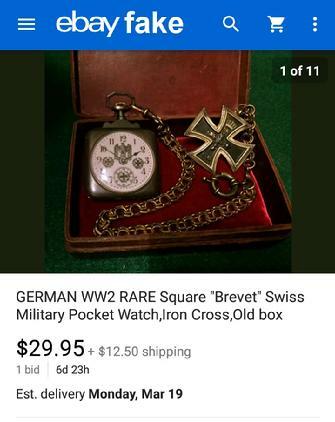 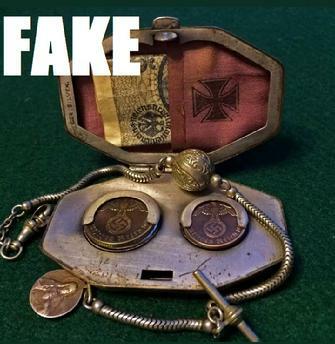 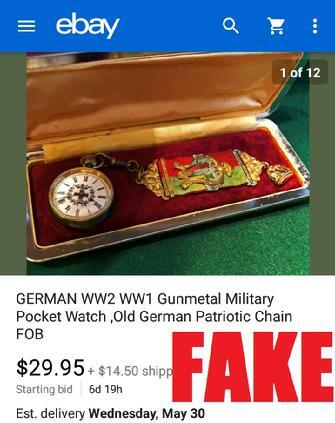 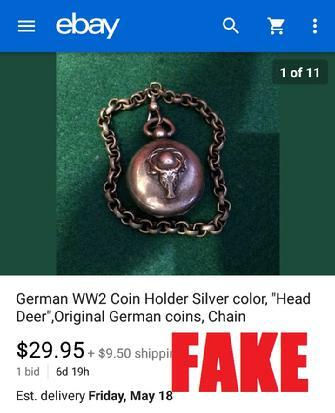 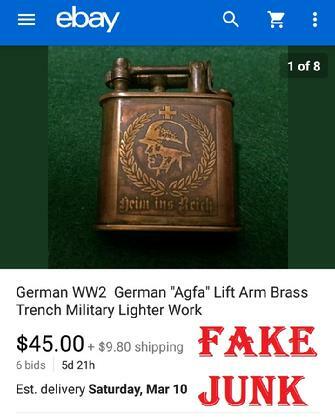 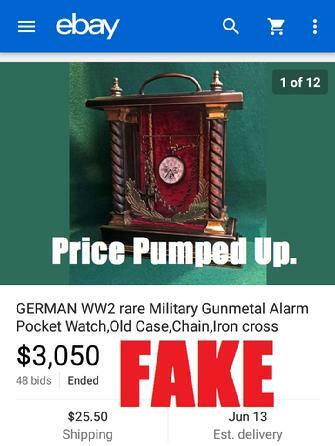 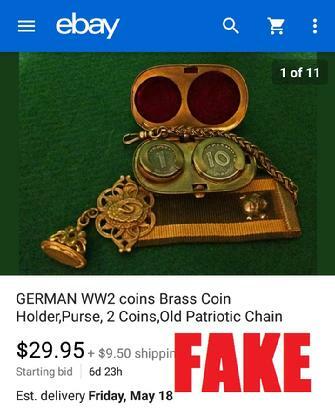 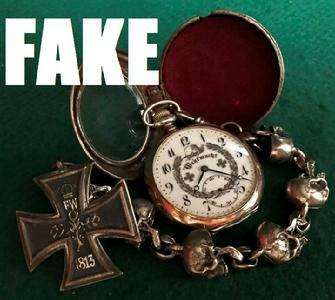 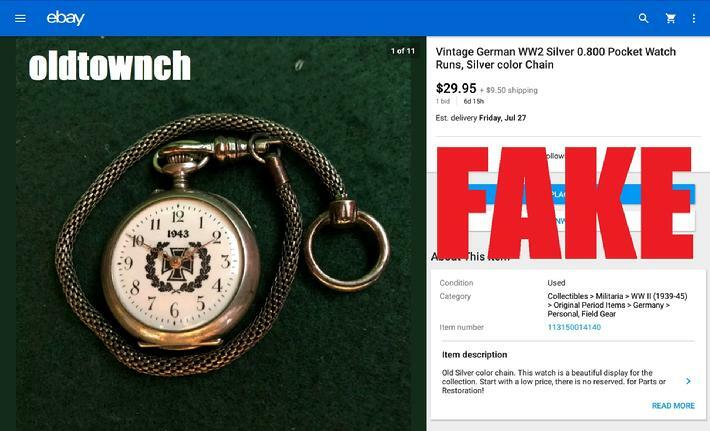 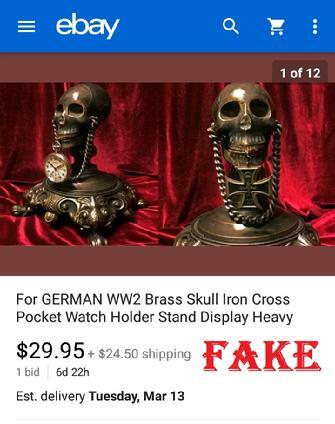 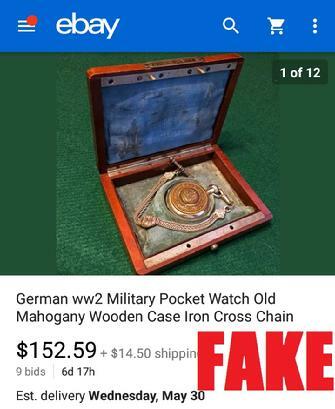 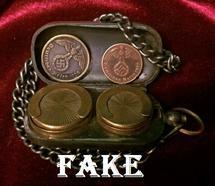 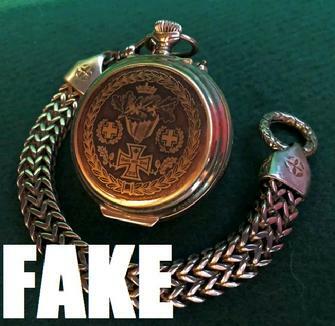 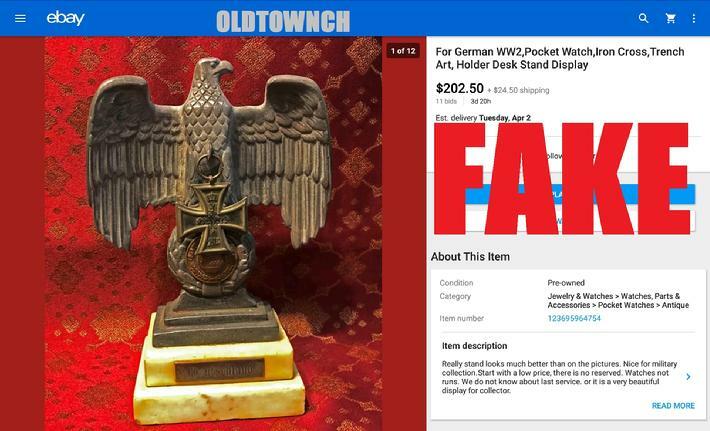 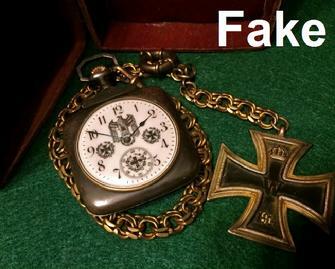 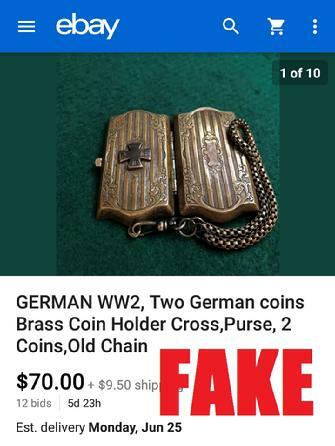 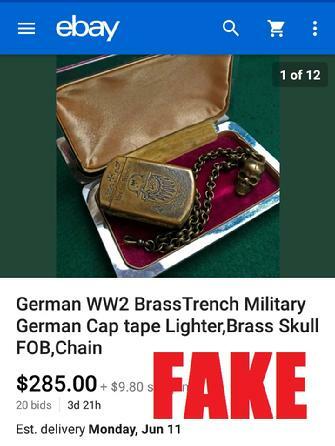 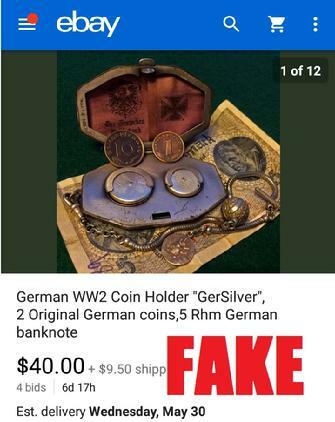 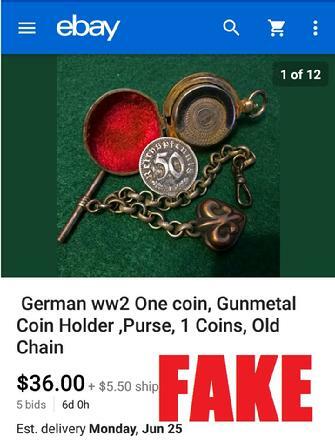 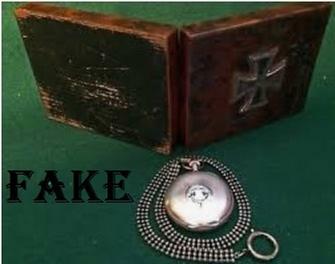 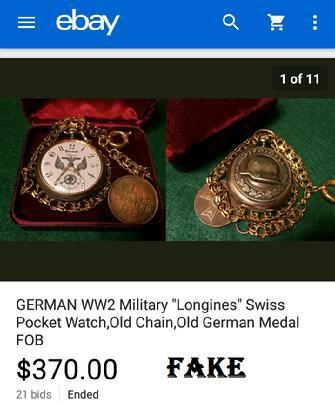 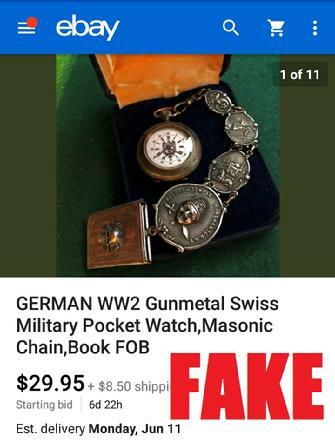 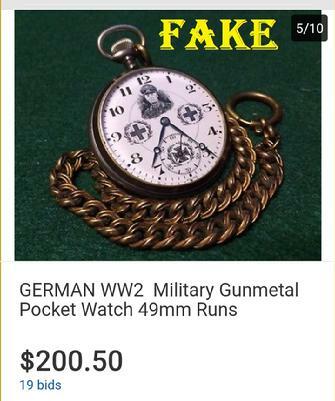 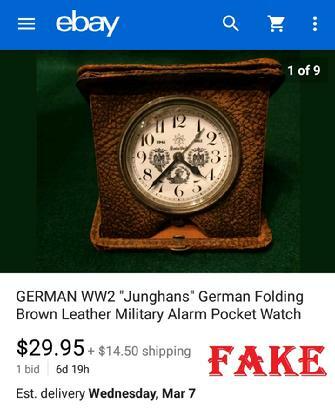 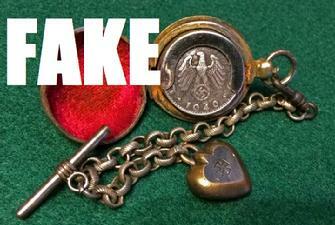 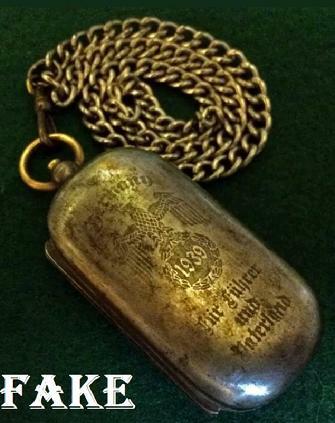 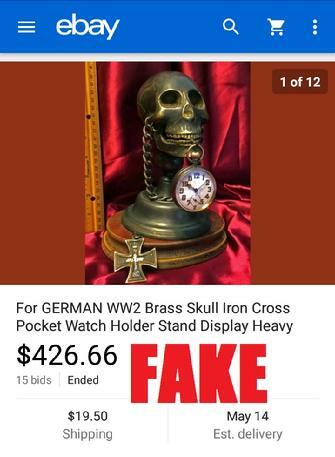 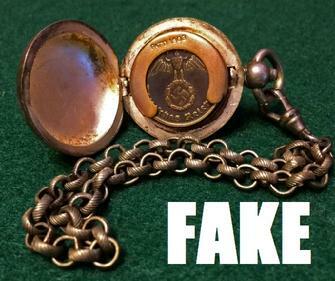 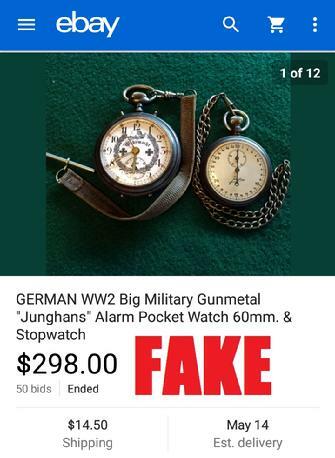 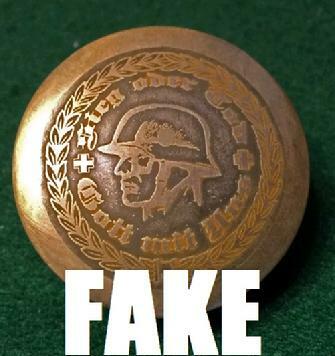 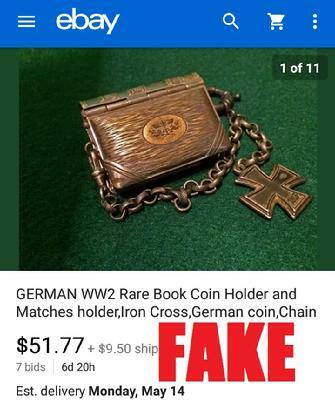 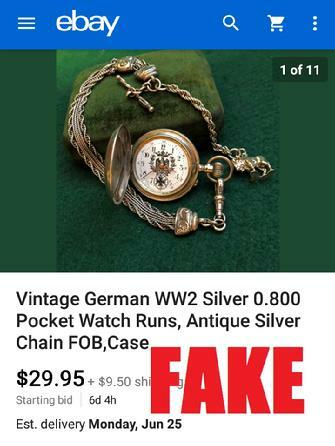 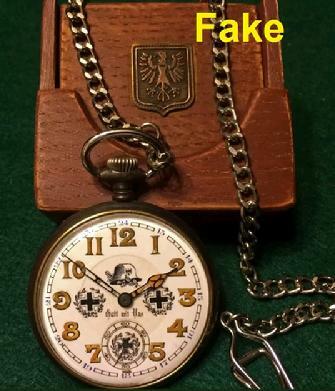 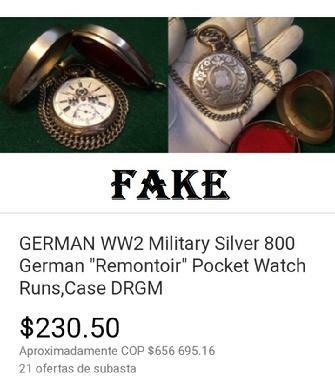 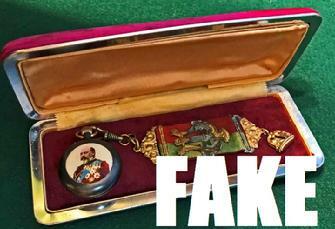 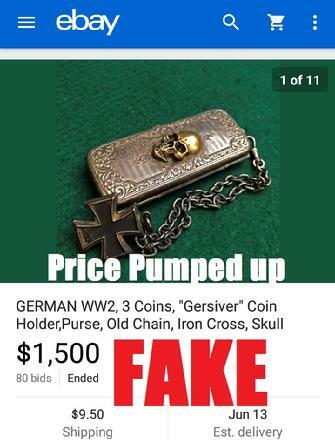 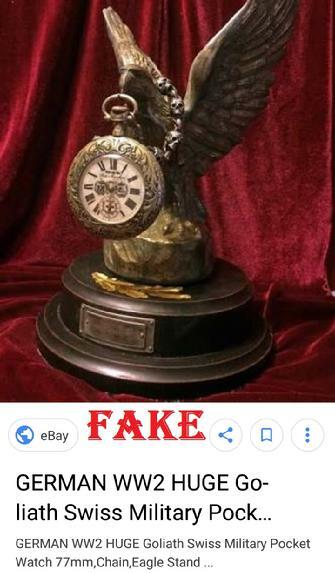 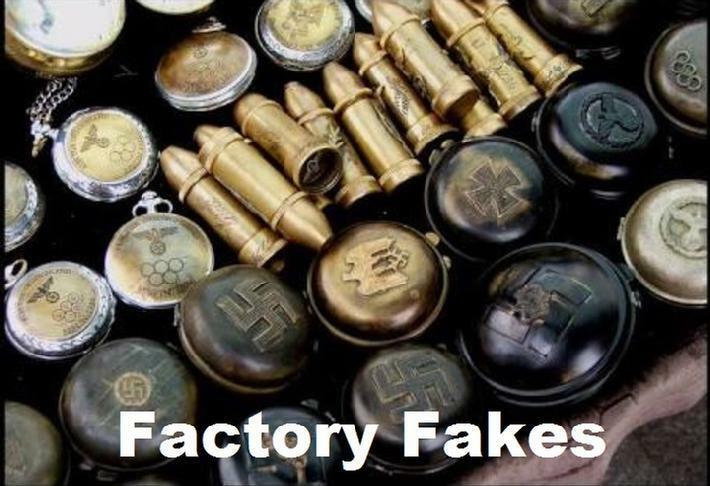 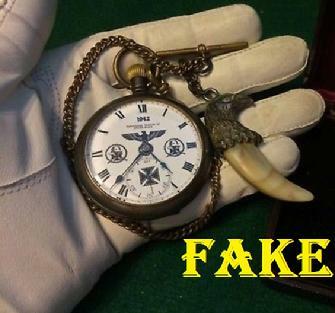 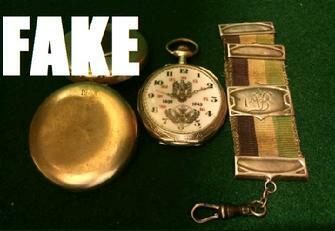 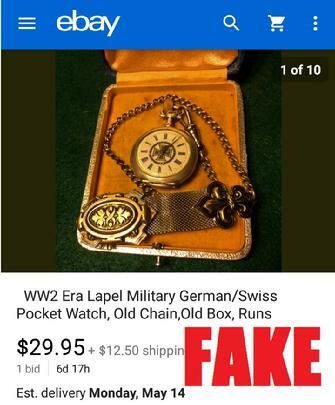 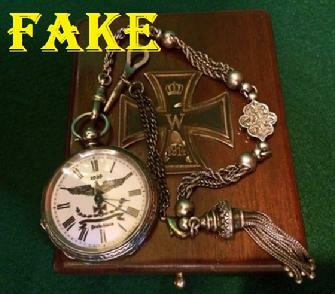 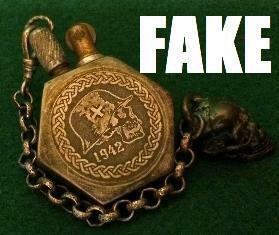 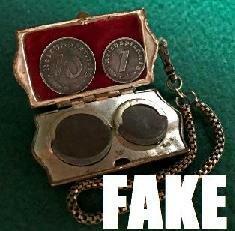 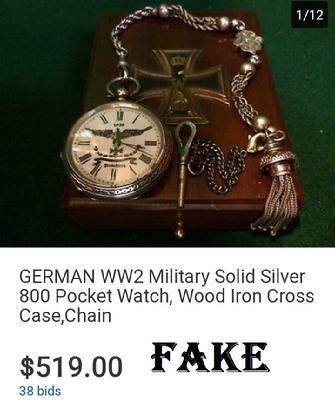 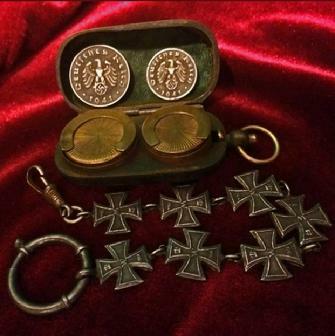 This vendor has litterally sold a million dollars or more in fake Nazi memorabilia online. 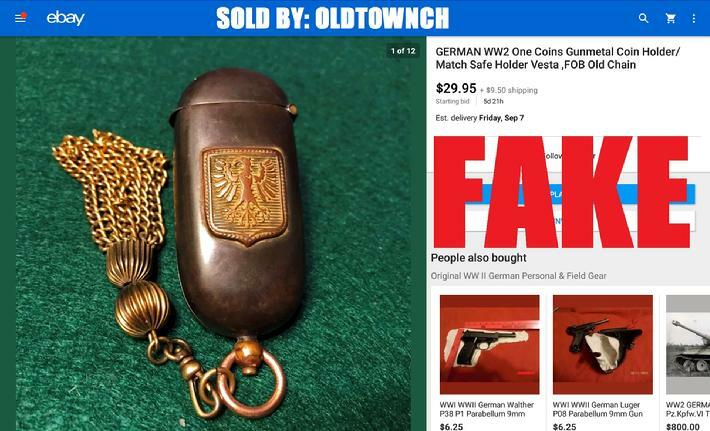 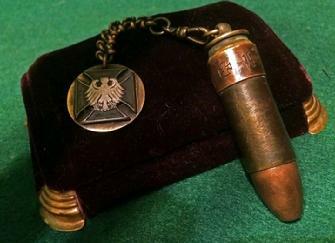 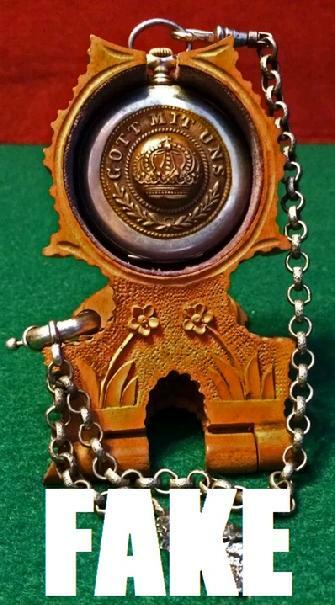 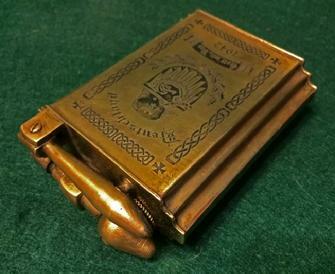 As of late, Oldtownch has flooded eBay with fake Nazi lighters, cigarette cases, knives, and the most absurd "coin holders" I've ever seen. 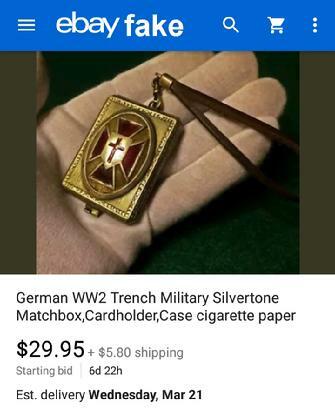 It's all 100% dimestore garbage worth under $20. 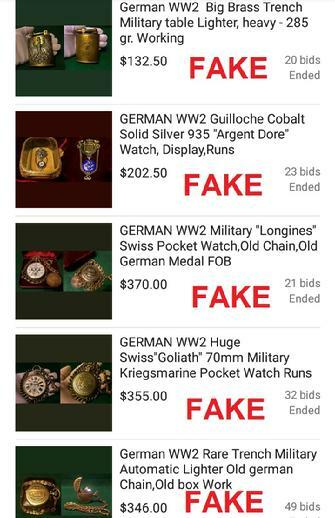 Their auctions always begin with no minimum bid and usually ends in hundreds of dollars being paid. 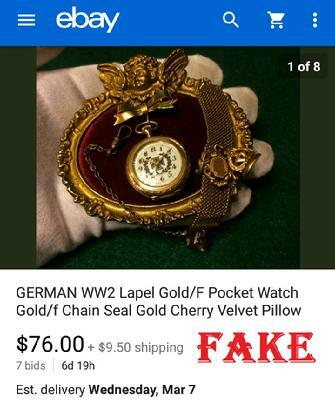 They previously loved the emerald green background and white glove (leads buyers to believe this is something very valuable and should be handled with delicately). 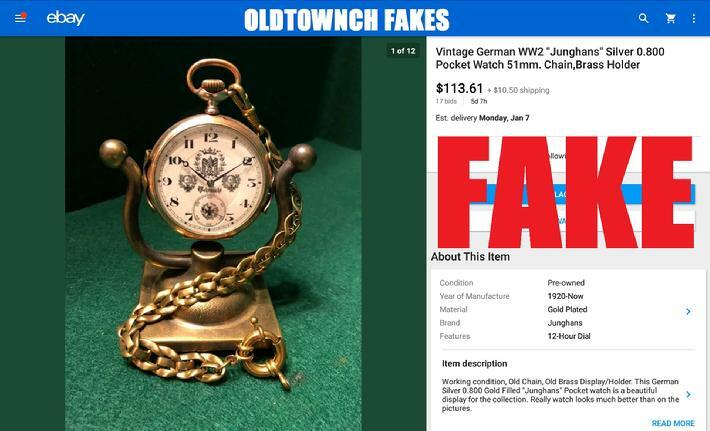 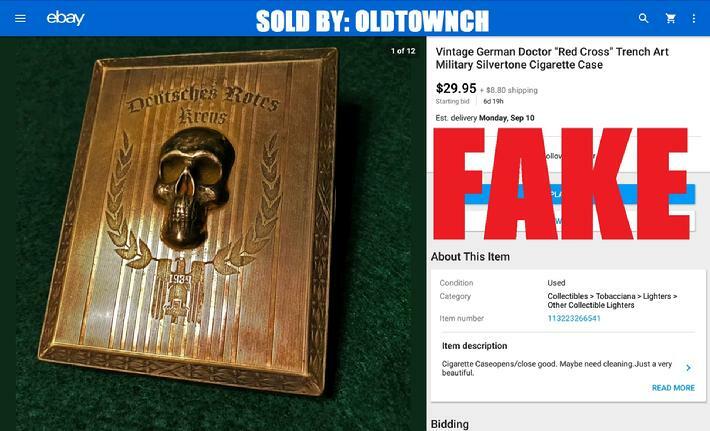 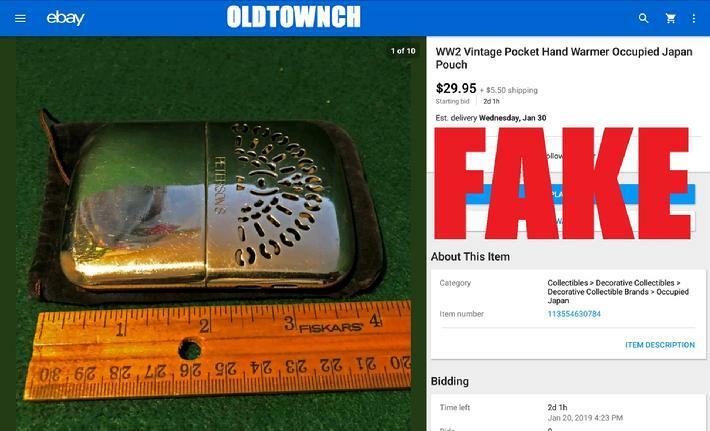 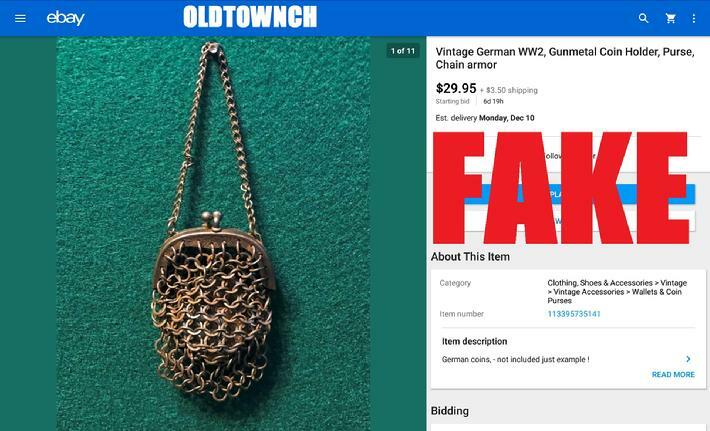 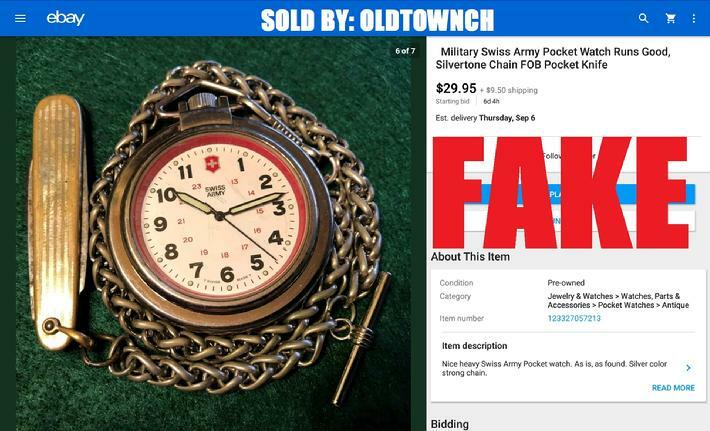 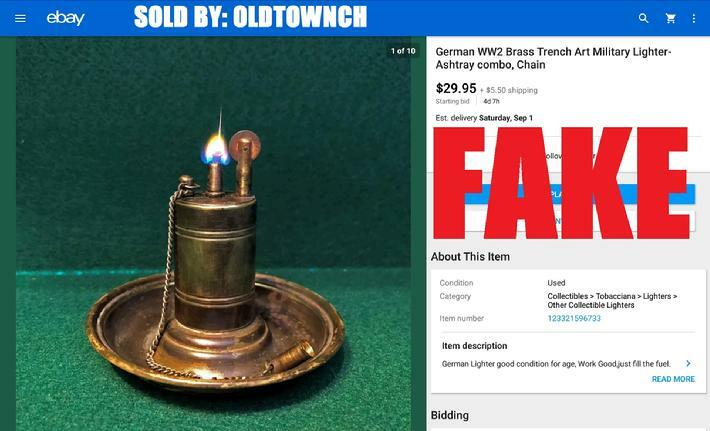 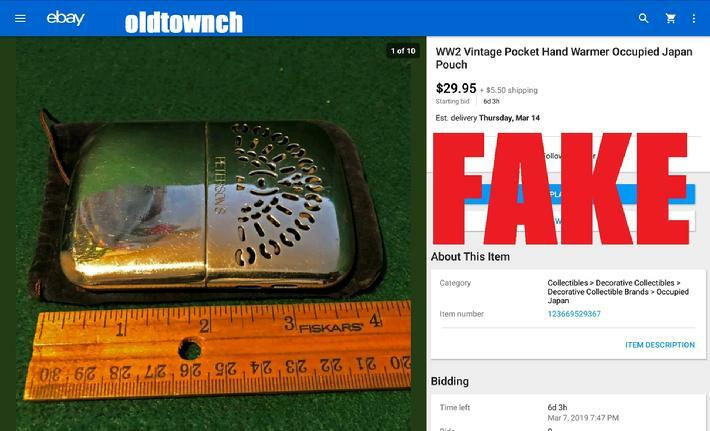 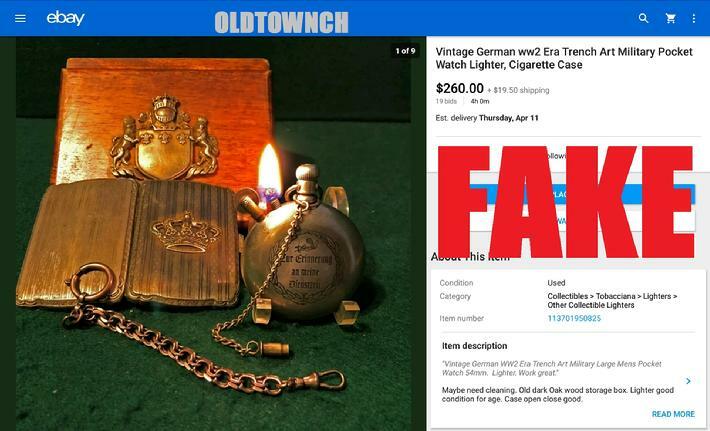 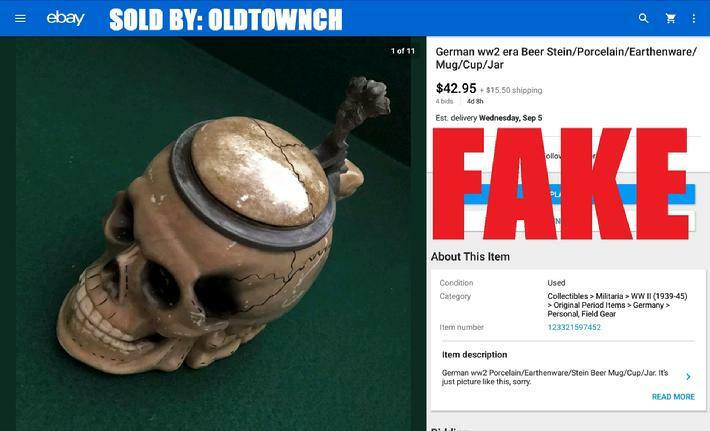 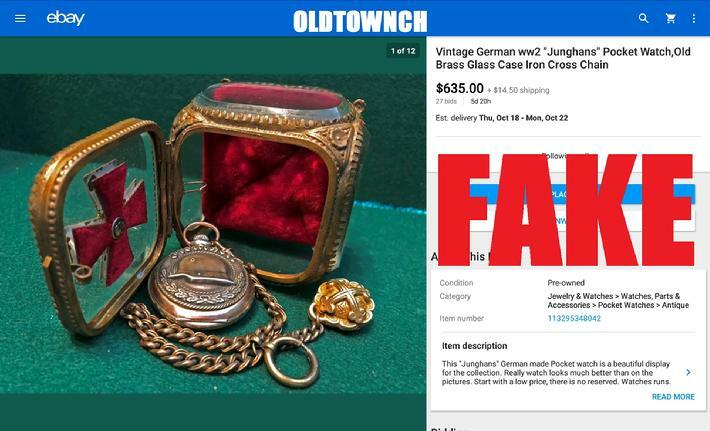 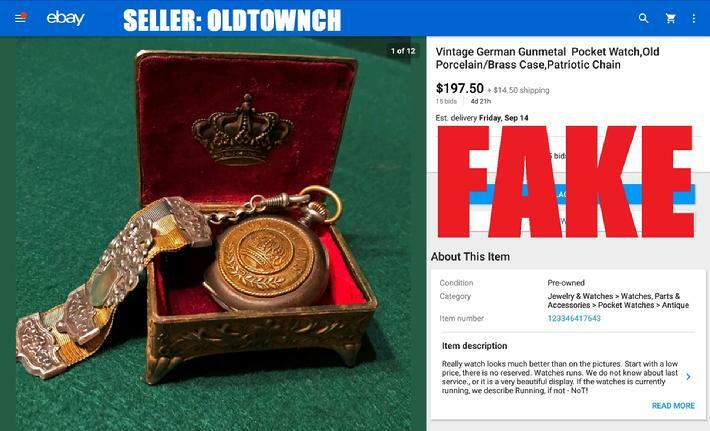 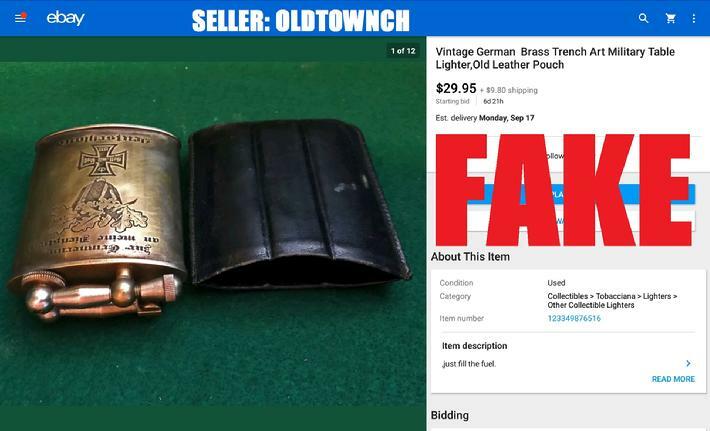 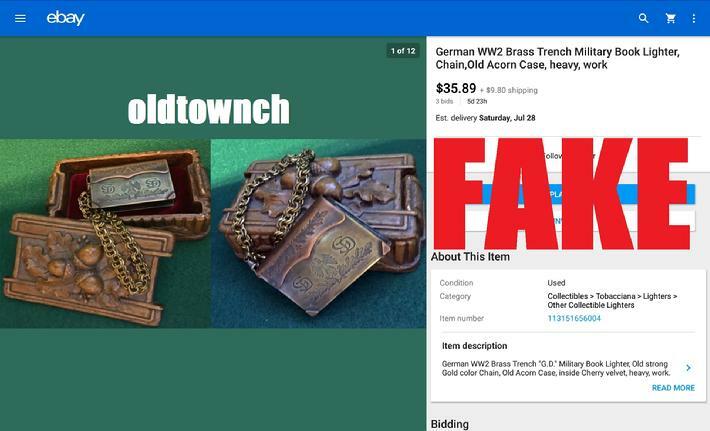 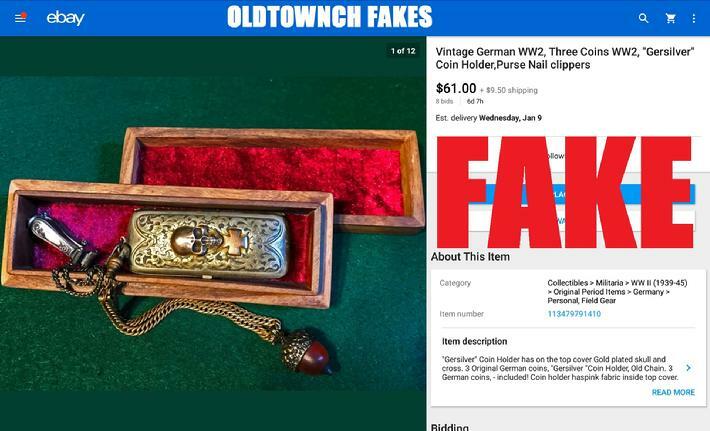 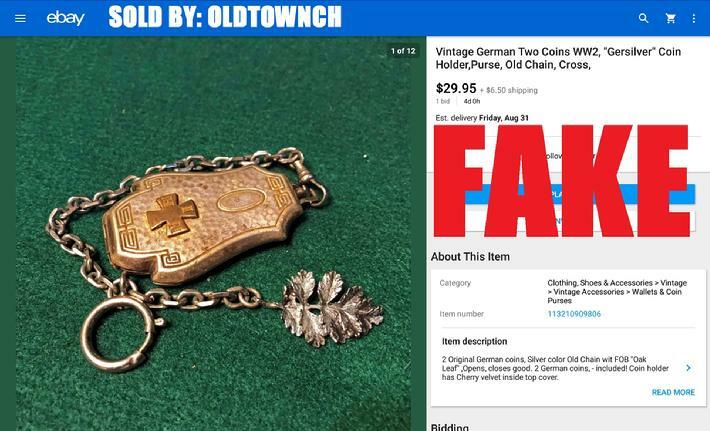 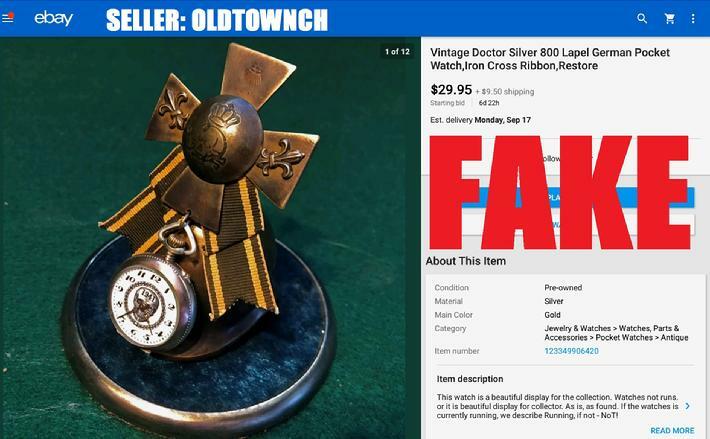 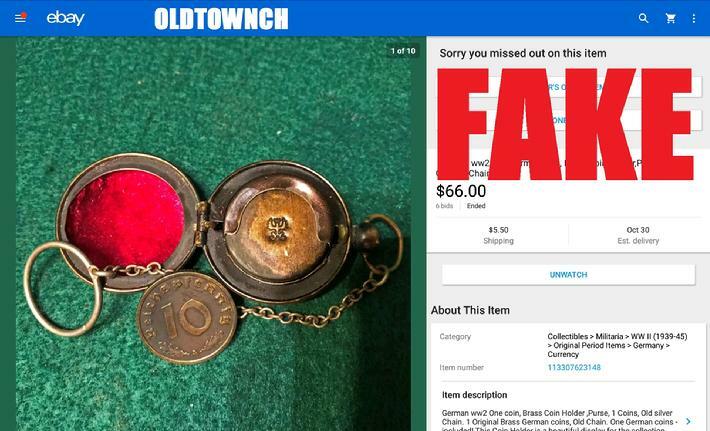 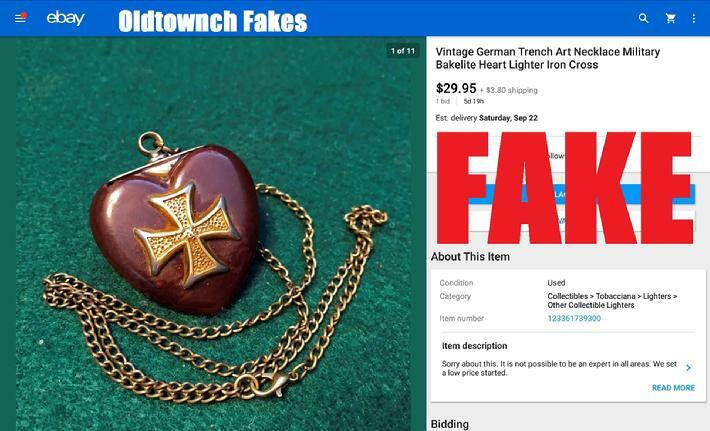 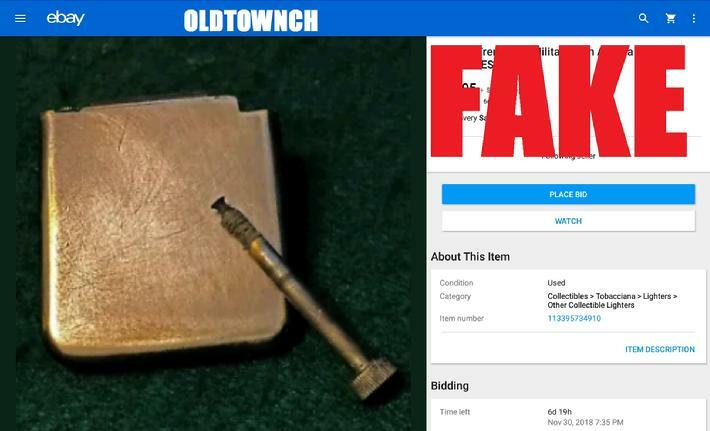 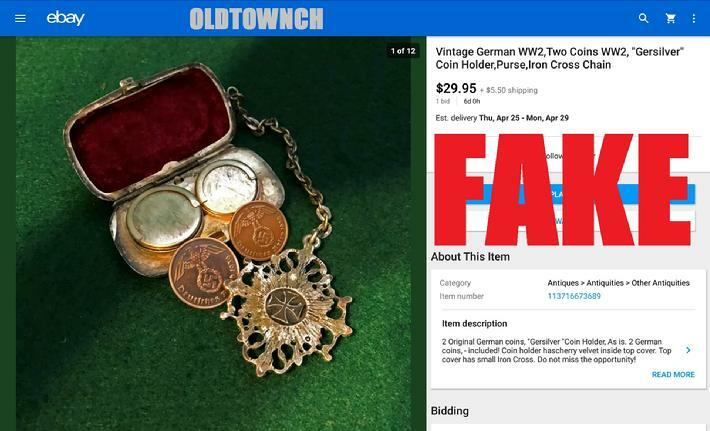 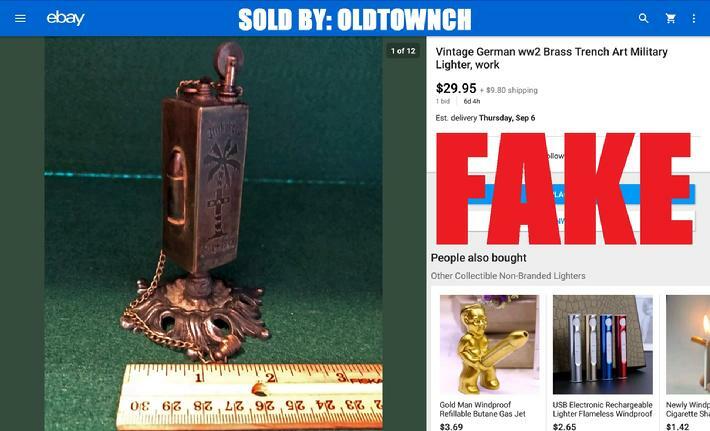 Oldtownch frequently pumps up their bids using "Private Listing" accounts to convince buyers people are in fact buying their worthless fake garbage, it's pretty pathetic. 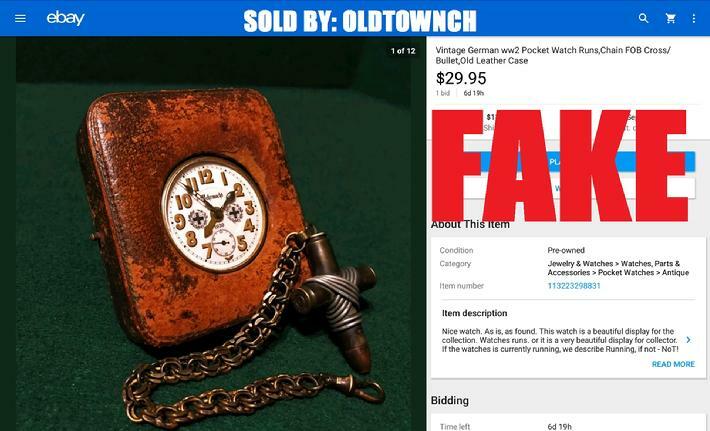 Oldtownch also sells on ebay under the name stinkbug12005. 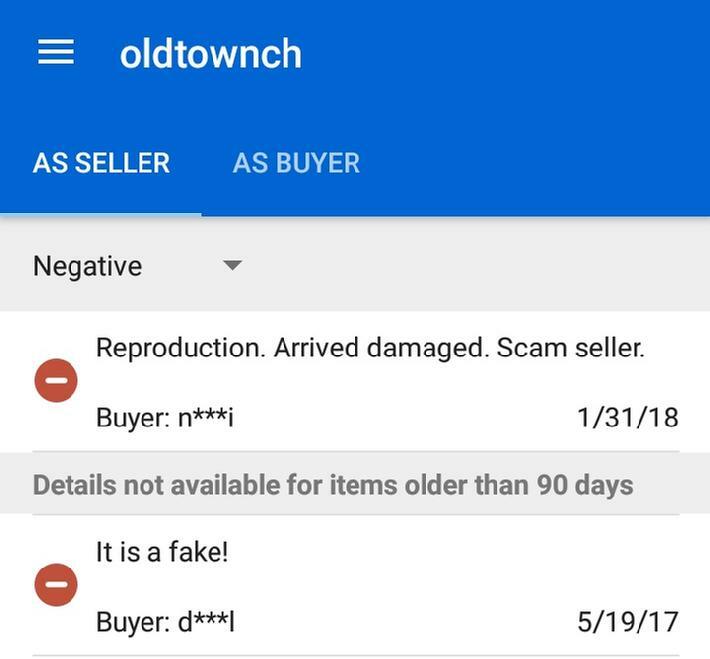 File a complaint against oldtownch. 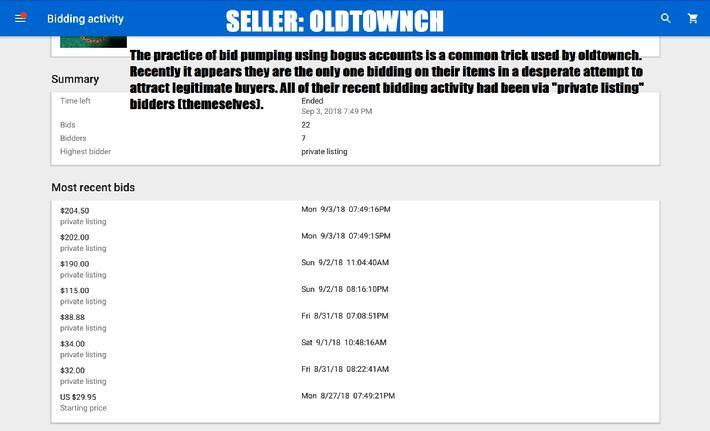 Using 2 accounts Oldtownch has for bid pumping purposes, the "sold" price shoots from $285 to $3,050! 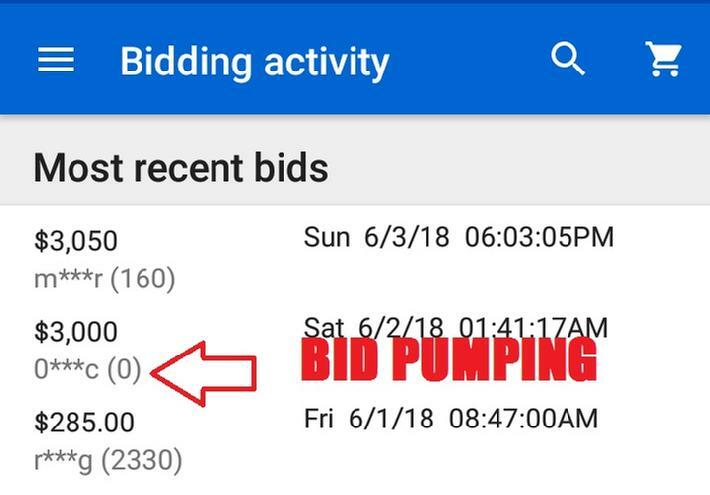 Blatant Bid Pumping on eBay! 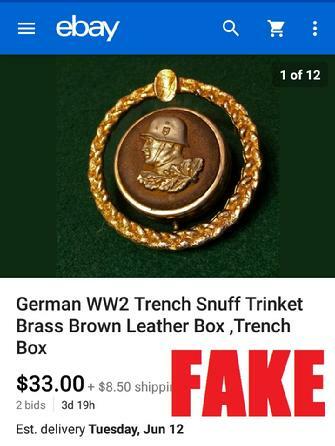 Get This Garbage Authenticated and Win 5K! 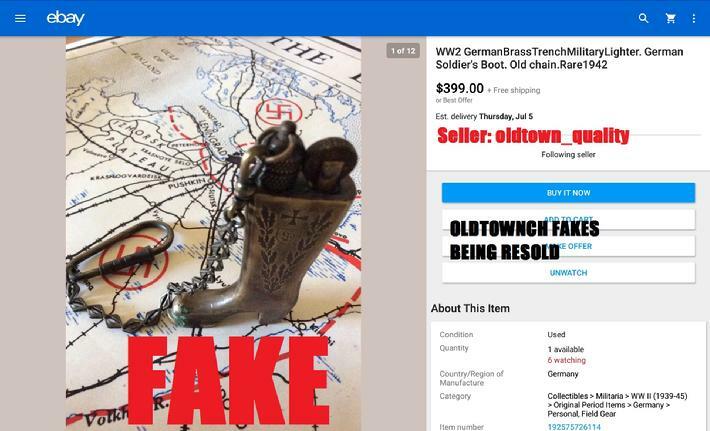 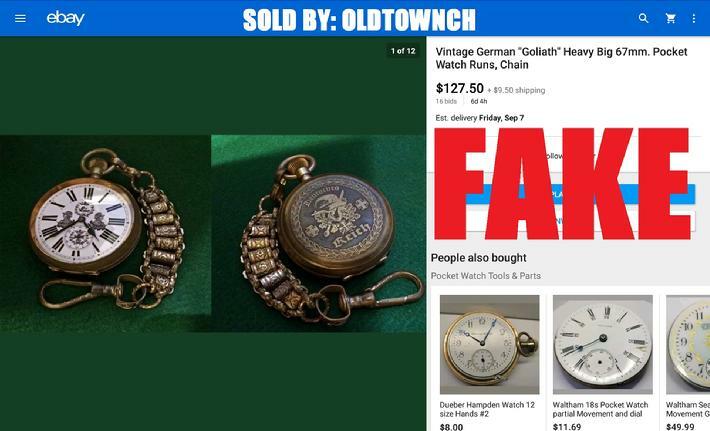 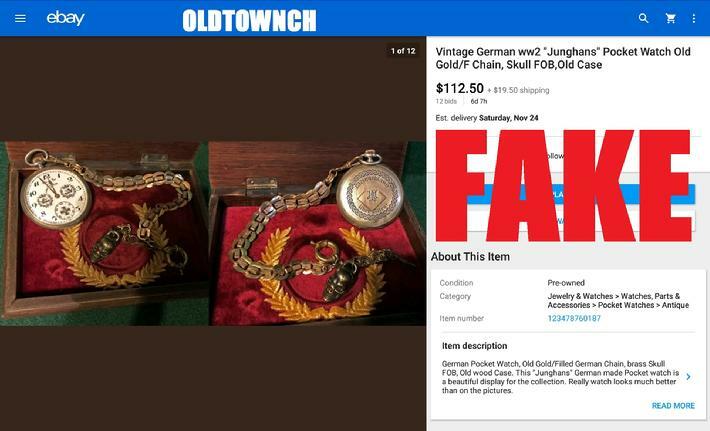 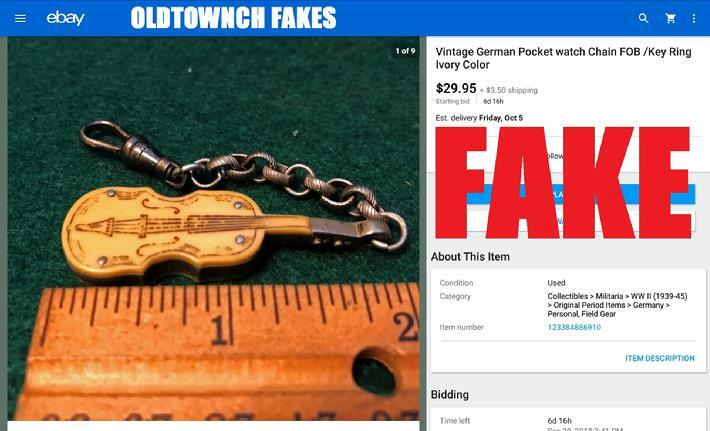 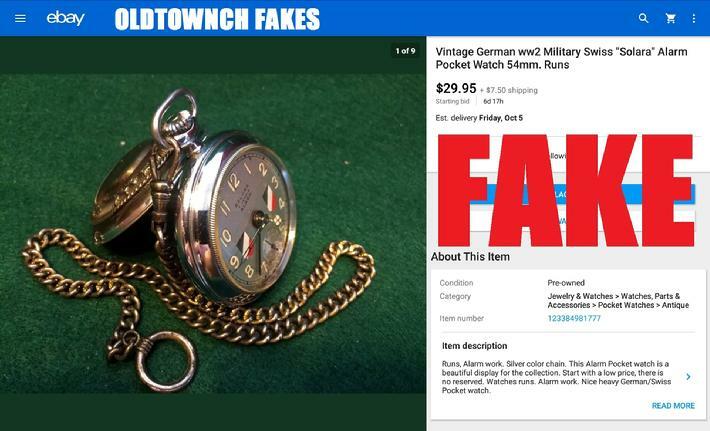 When you see oldtownch fakes selling for outrageous prices it's because oldtownch uses numerous accounts to pump up the price. 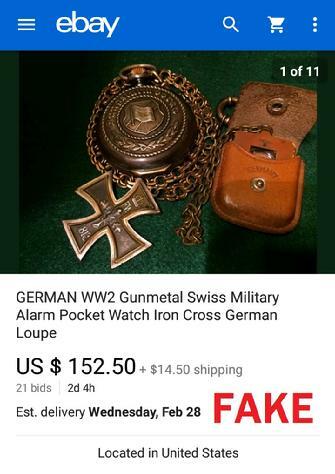 This can be costly as they have to pay the fees to ebay based on the bogus price when they essentially bought their own item. 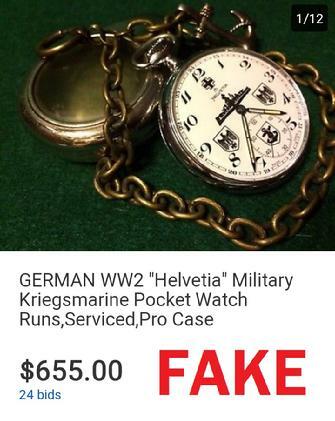 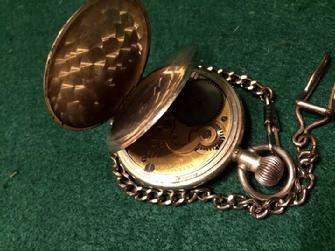 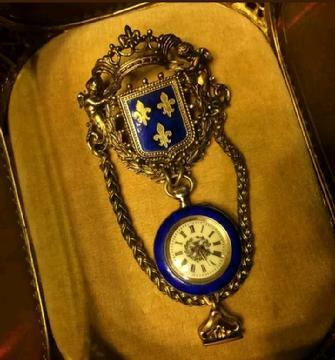 It may seem crazy, but in doing so they create the illusion that these items are in fact valuable sought after collectors items and buyers may then make a move on other items that are selling for a few hundred. 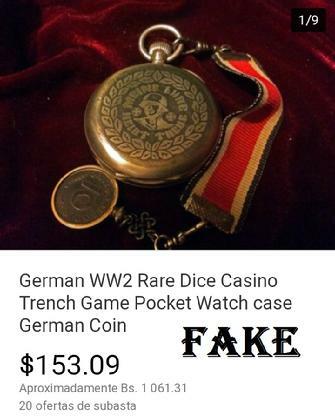 Interesting strategy but that's all it is, more trickery more fraud. 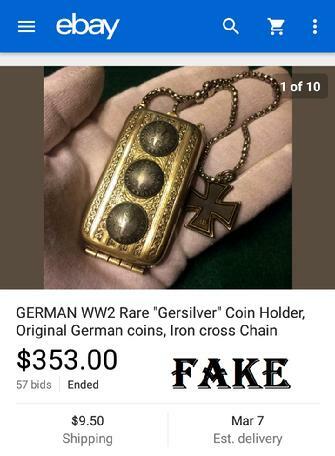 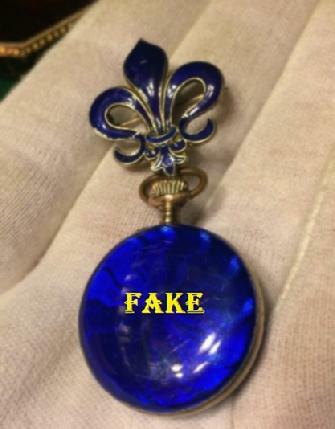 Almost identical fake sold two months ago! 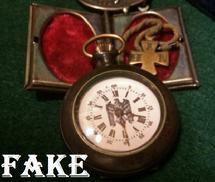 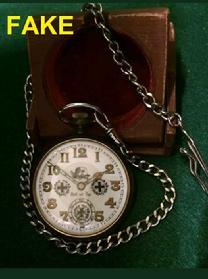 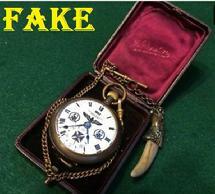 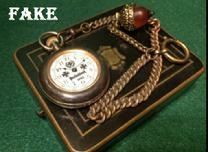 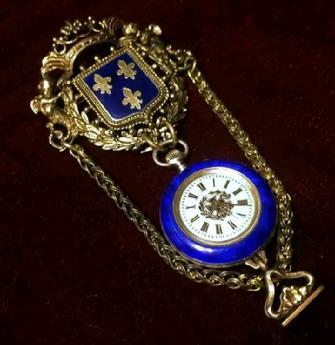 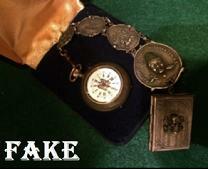 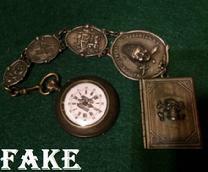 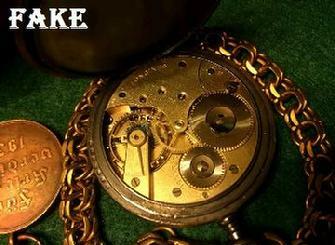 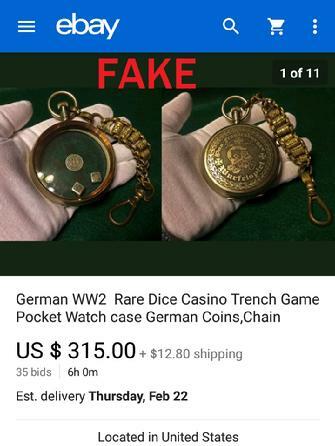 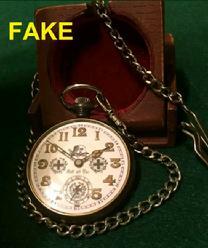 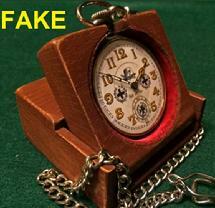 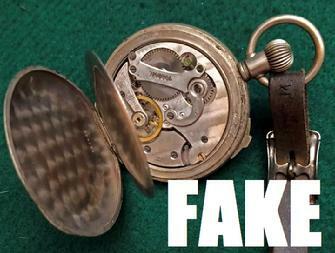 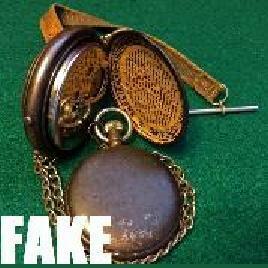 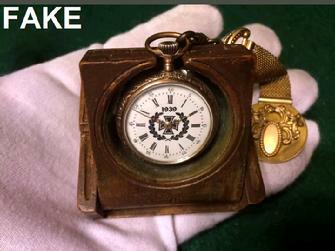 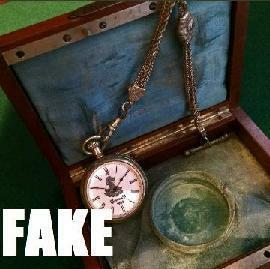 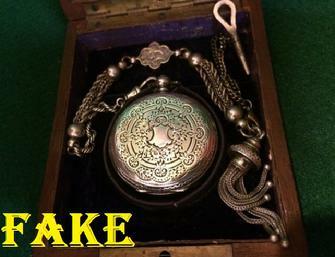 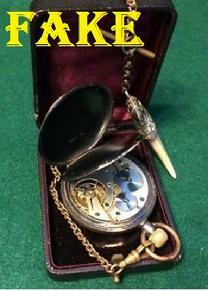 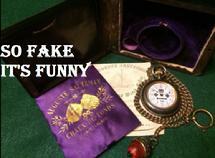 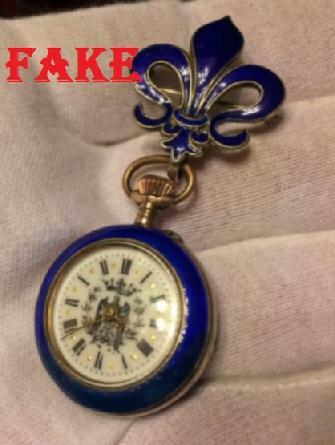 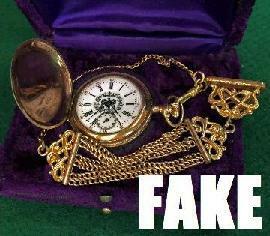 Similar fake "rare" Casino Watch sold in February for $533! 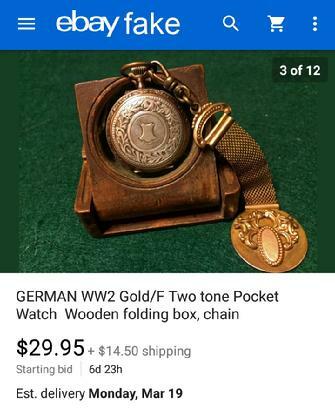 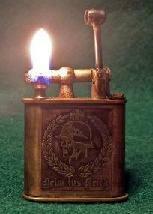 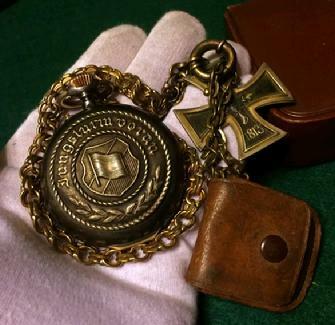 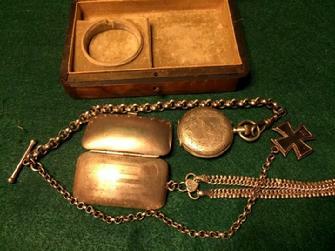 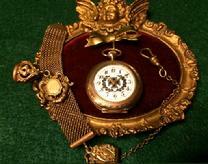 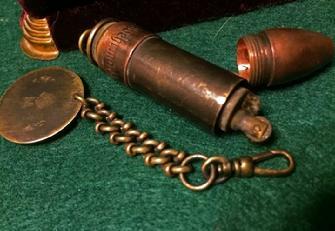 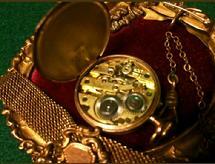 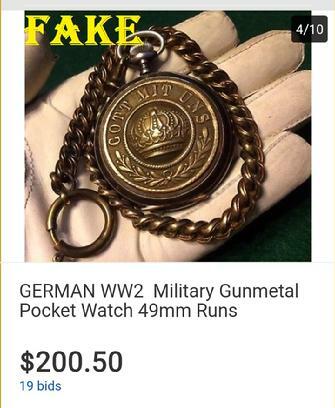 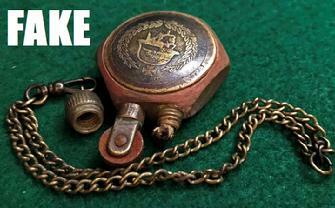 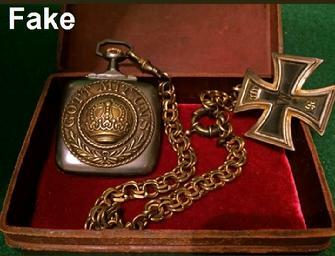 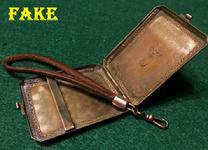 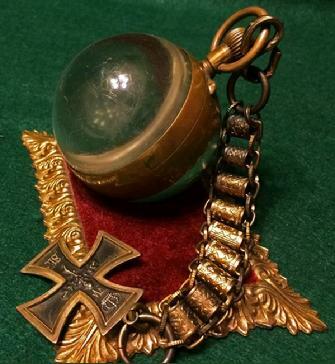 Can't you picture a Nazi SS Officer walking around with this piece of junk in his pocket to hold a couple of coins? 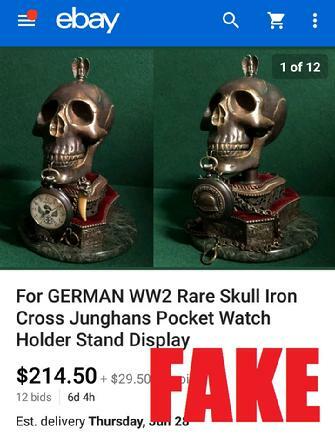 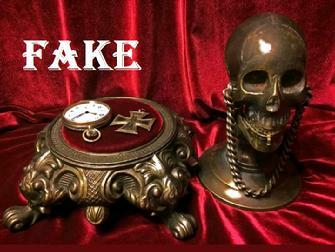 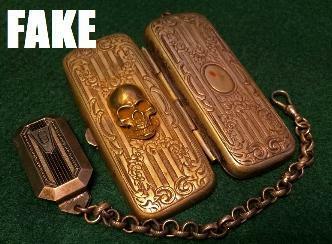 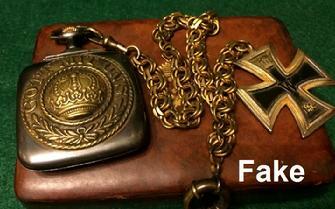 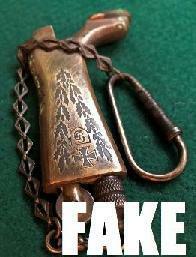 Why do all of their items looks so similar in style & design when they claim to buy these at European auctions? 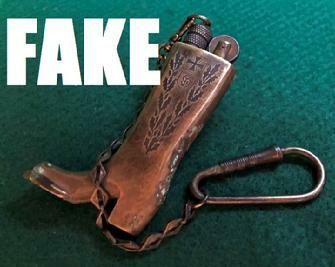 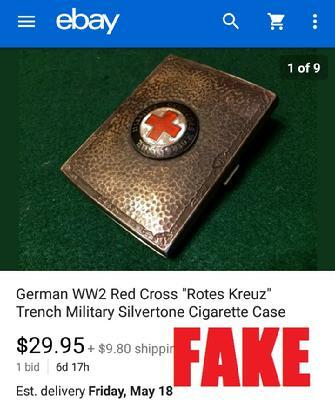 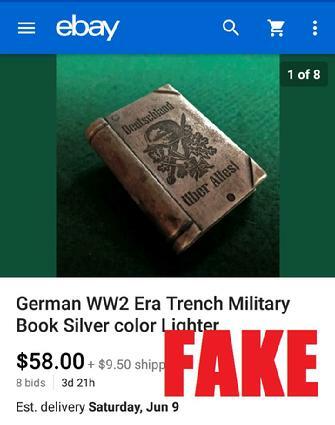 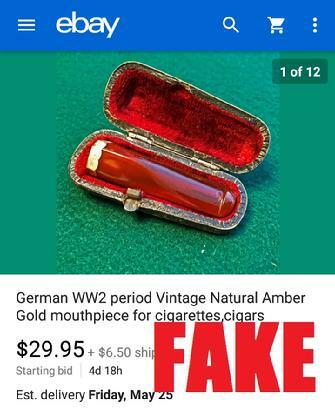 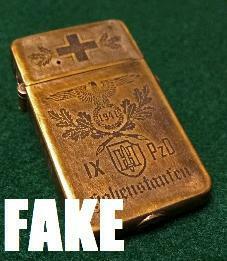 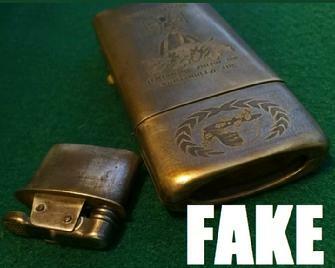 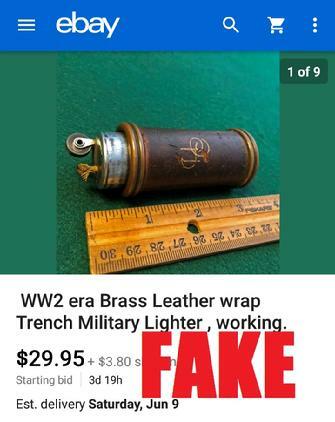 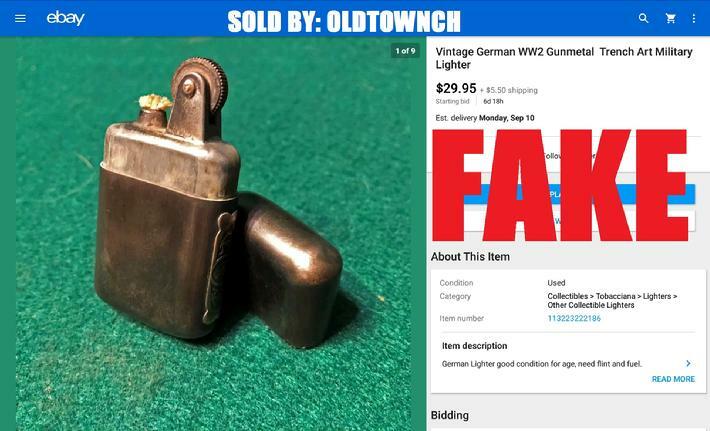 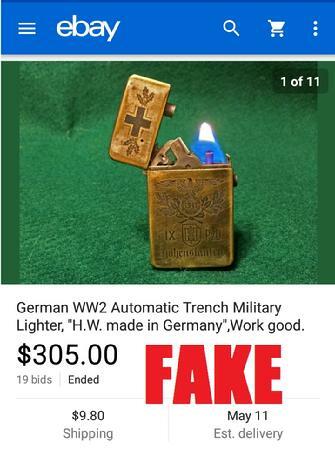 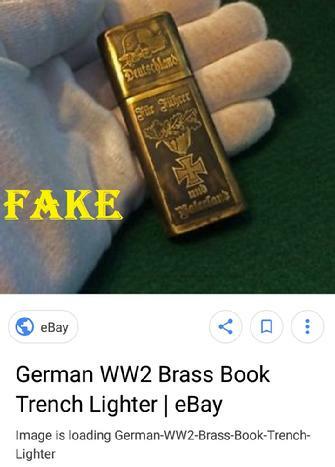 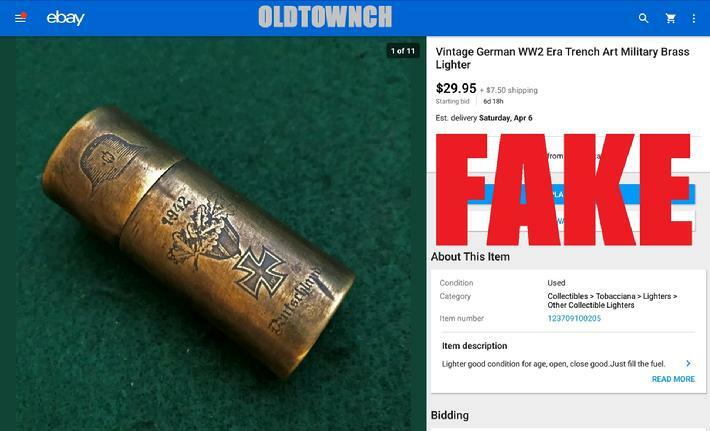 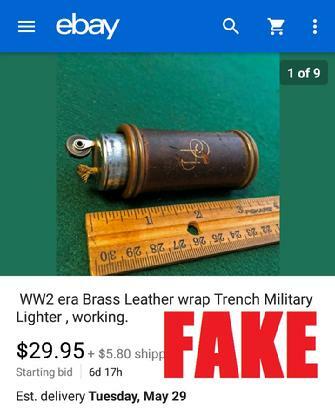 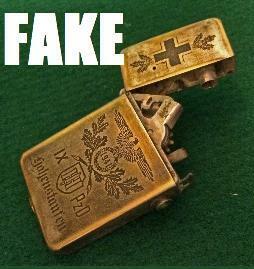 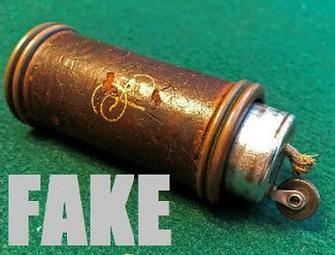 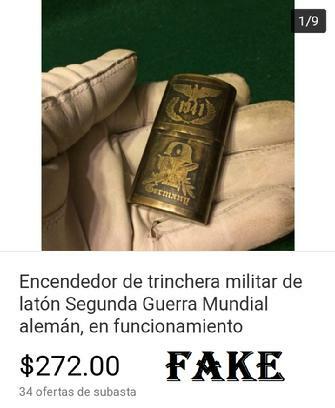 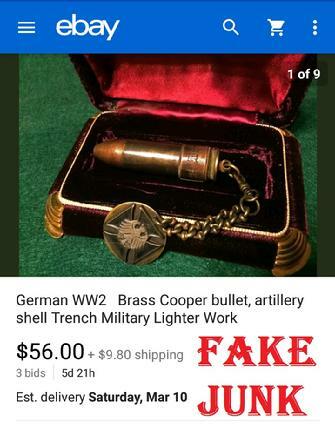 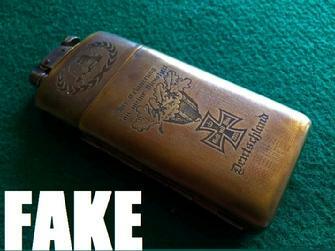 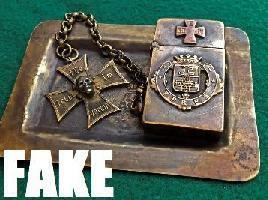 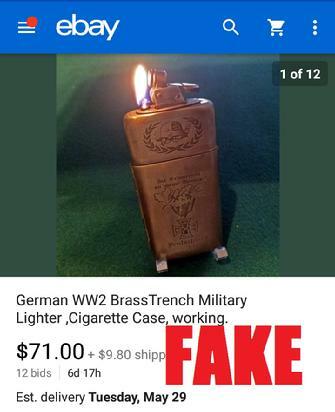 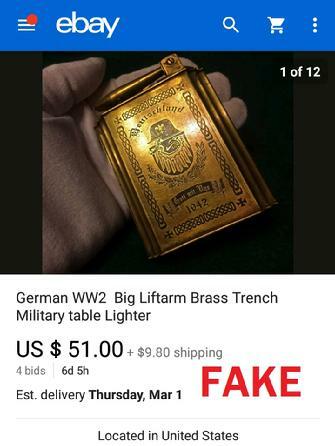 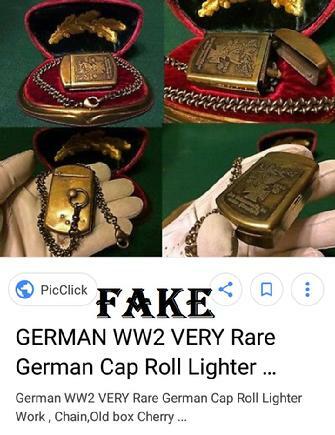 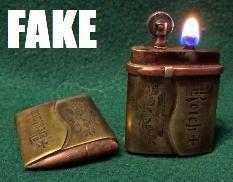 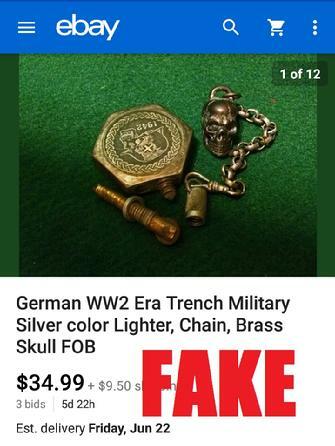 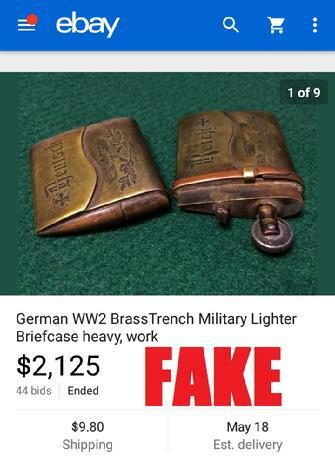 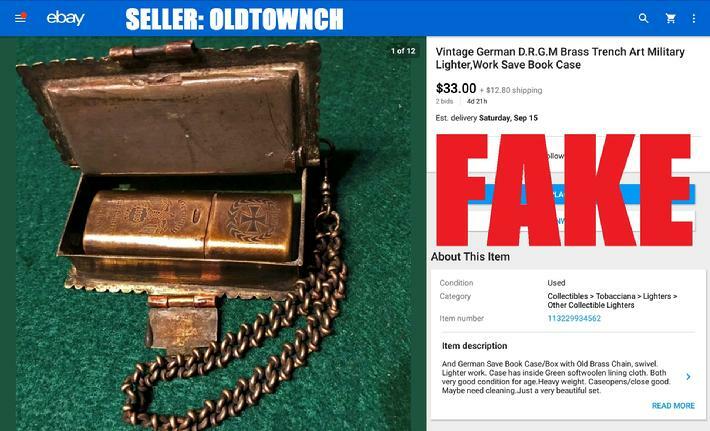 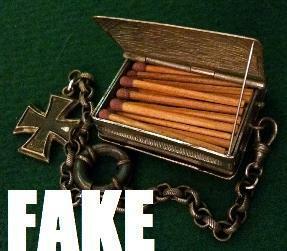 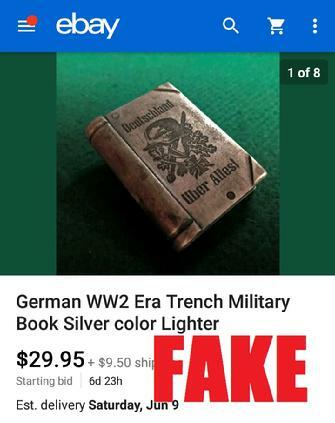 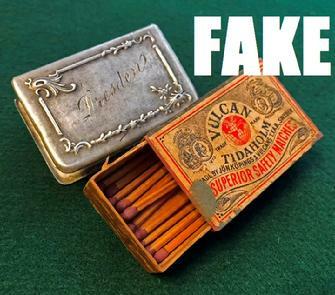 Fake Nazi Lighter Sells to Sucker For $305!! 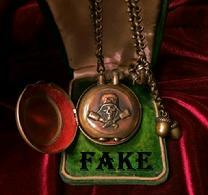 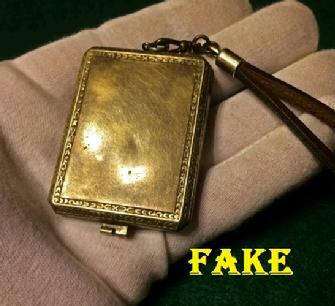 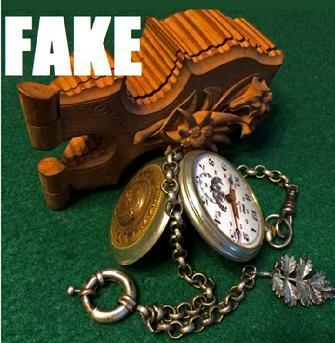 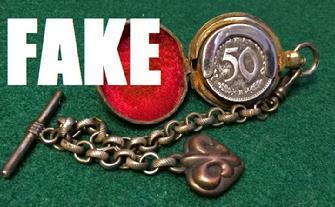 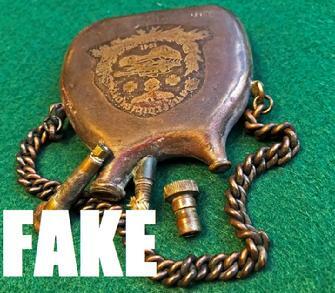 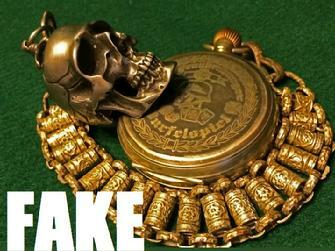 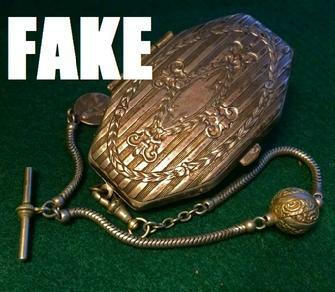 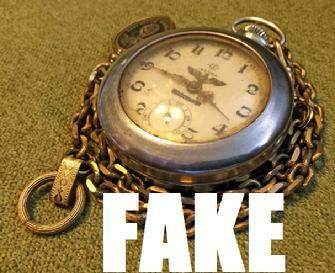 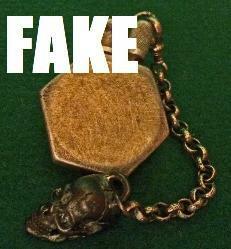 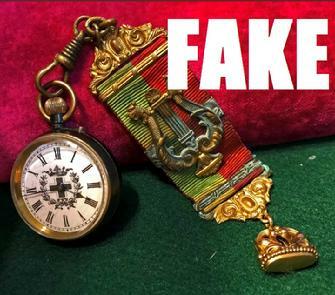 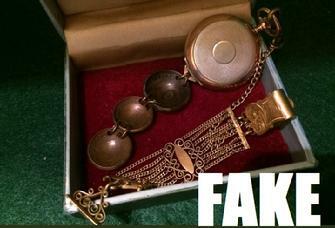 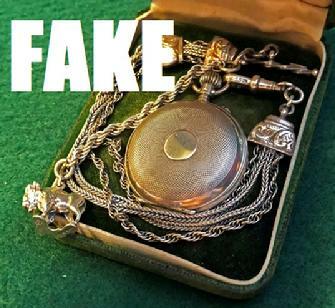 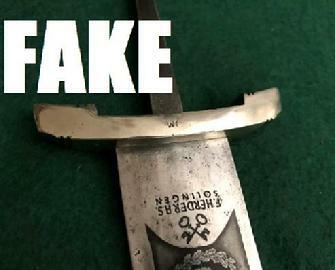 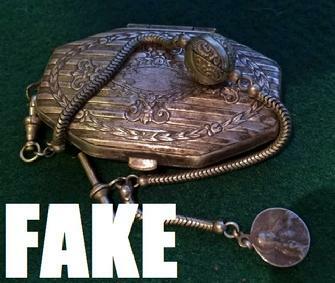 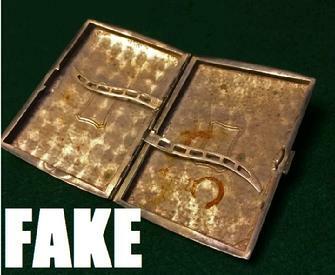 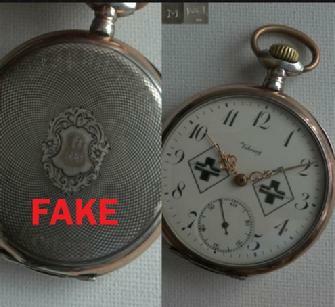 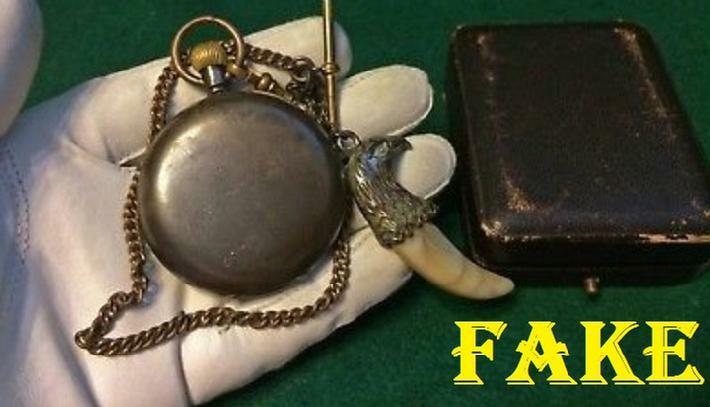 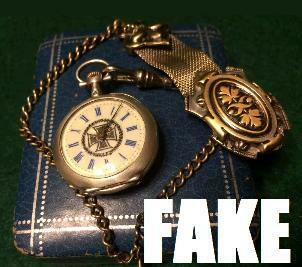 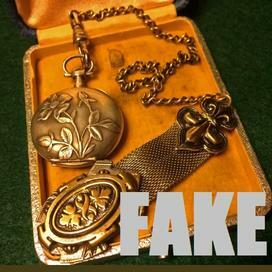 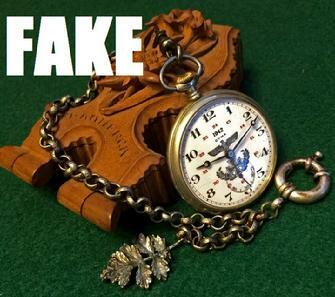 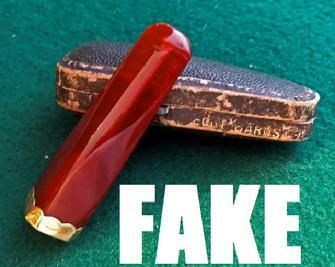 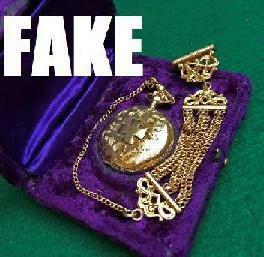 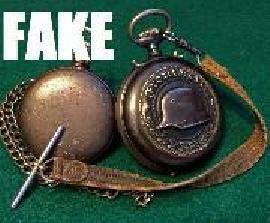 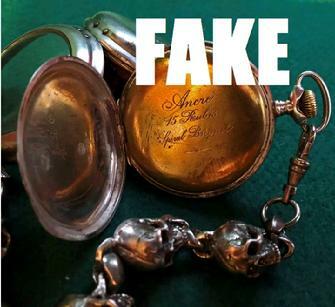 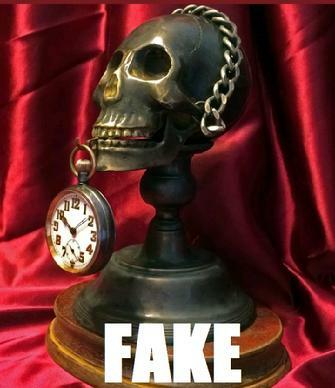 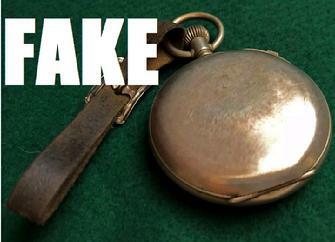 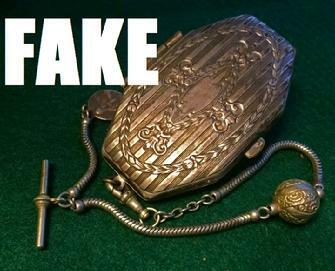 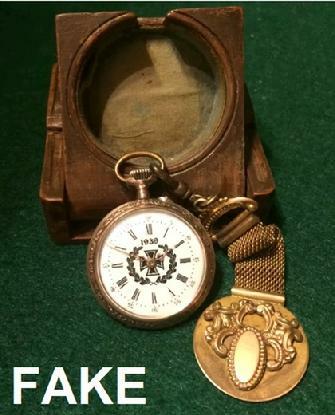 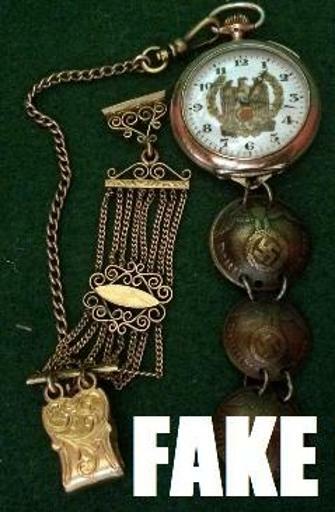 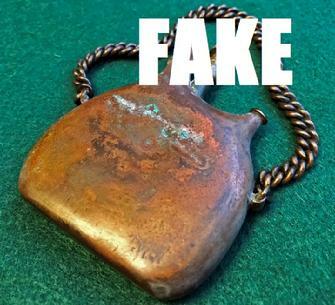 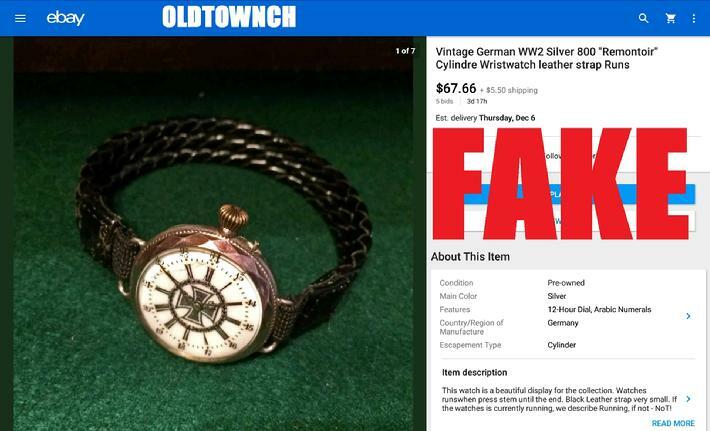 How Much Can You Make Selling Fakes on ebay? 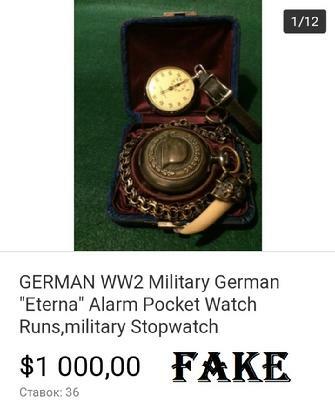 HUNDREDS OF THOUSANDS OF DOLLARS!